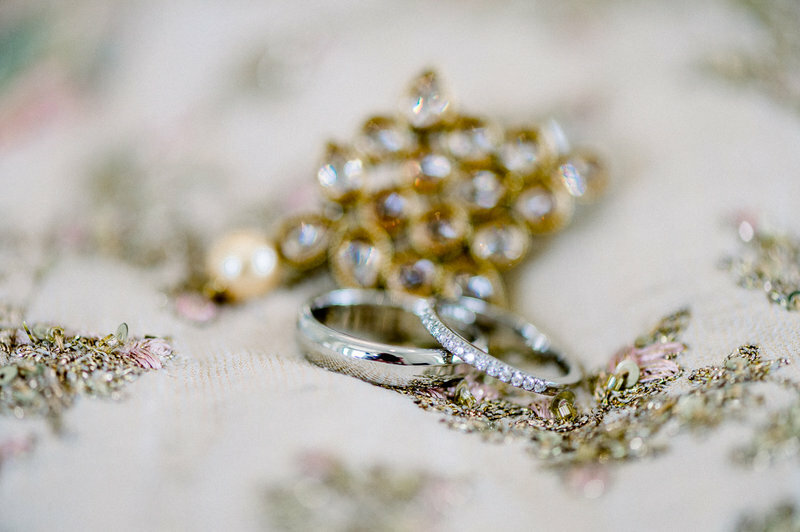 i will always pick you"
Luxurious, poetic, soft, elegant and truly romantic fine art photography for your prestigious wedding with bespoke products and services to meet the uniqueness of your event. 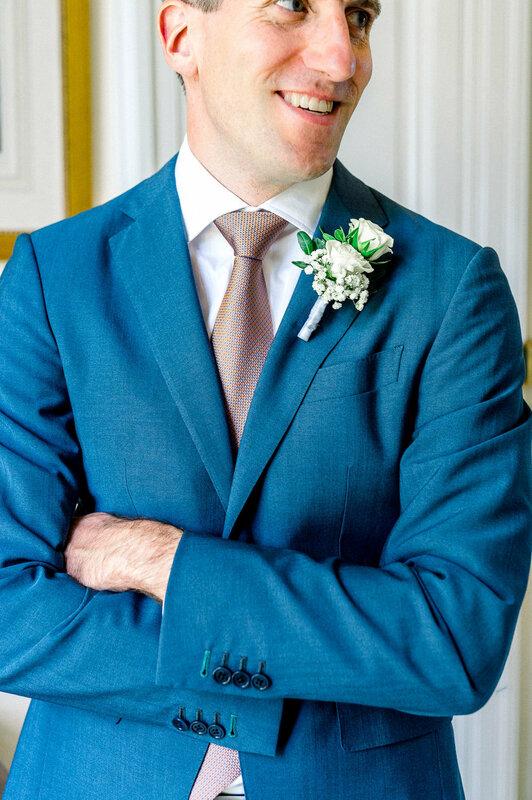 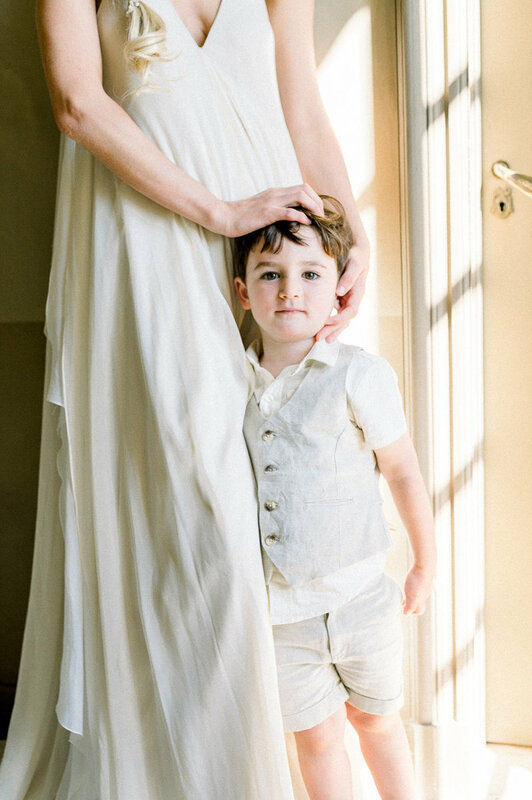 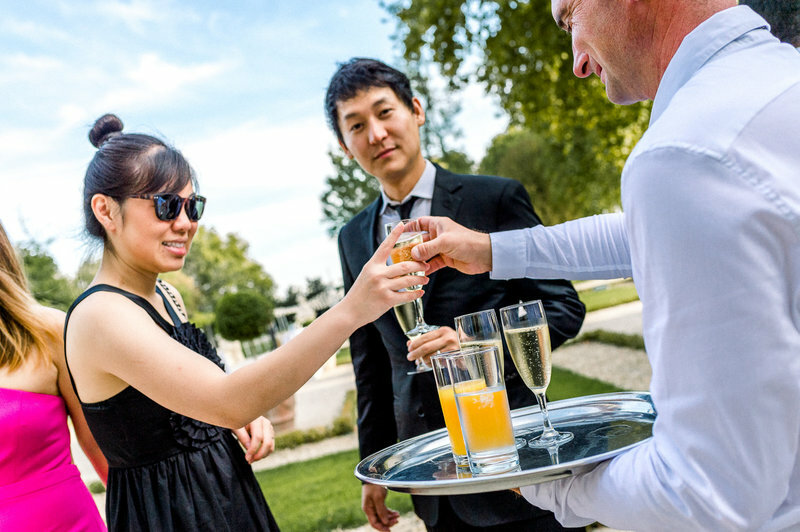 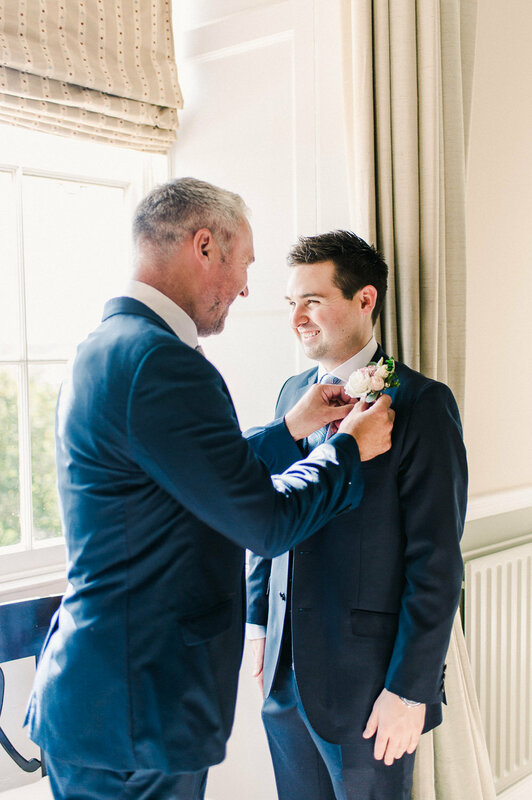 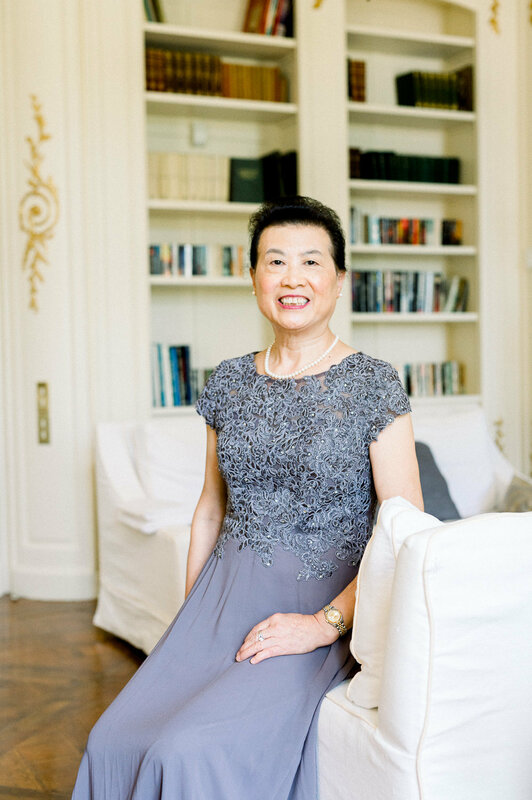 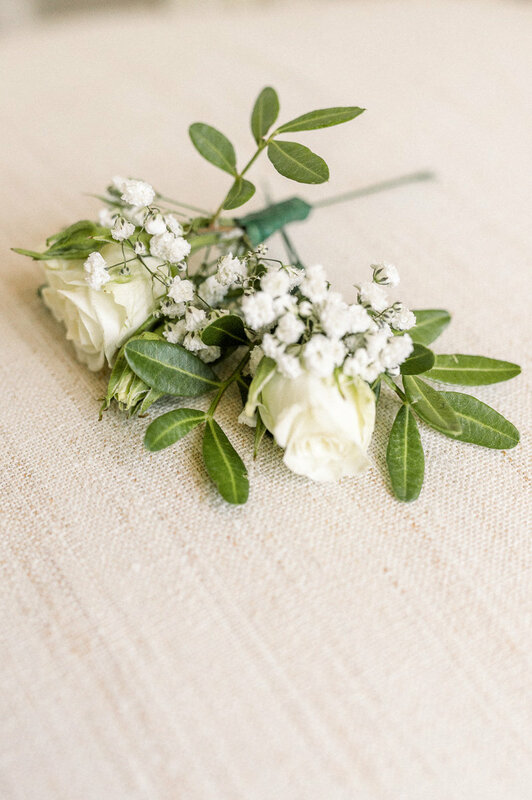 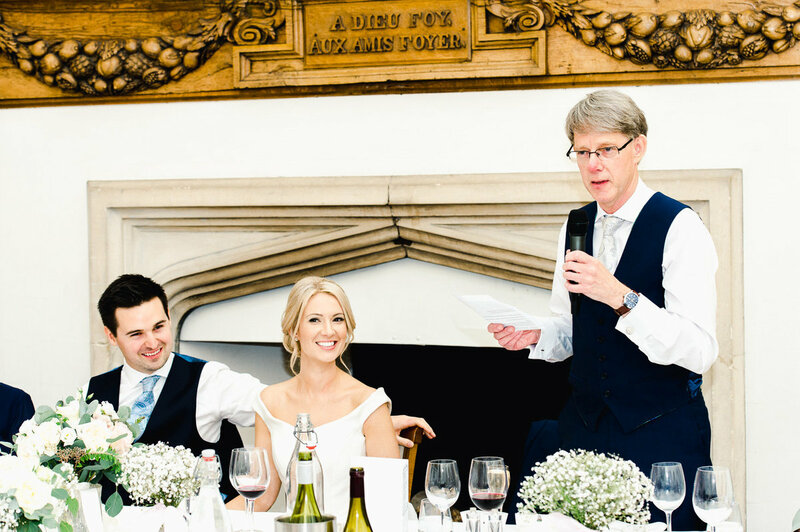 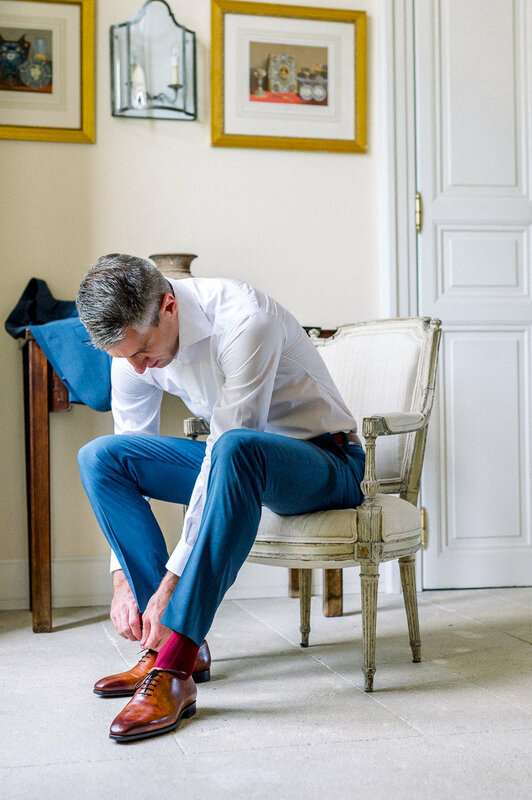 Of dual English/French nationality and fully bilingual, I cover weddings throughout the U.K. and France and around the world. 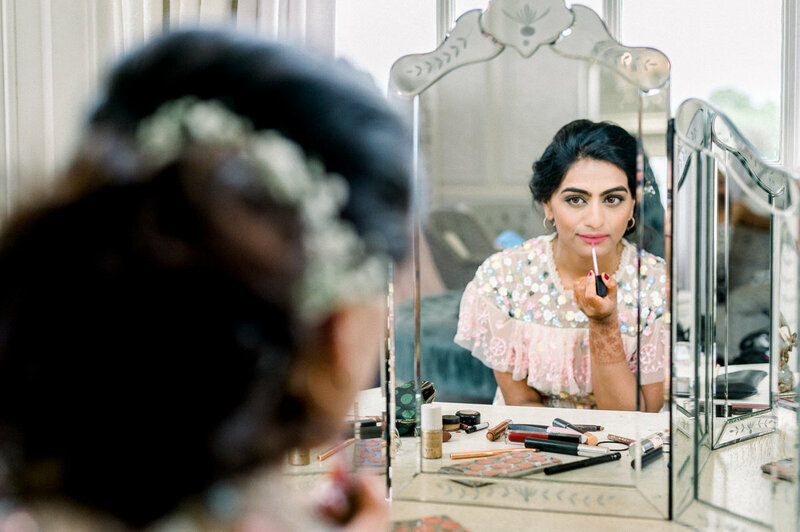 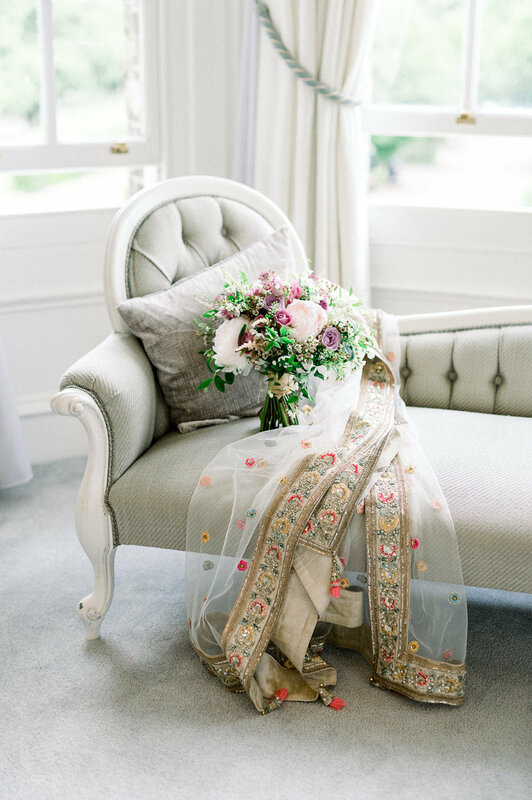 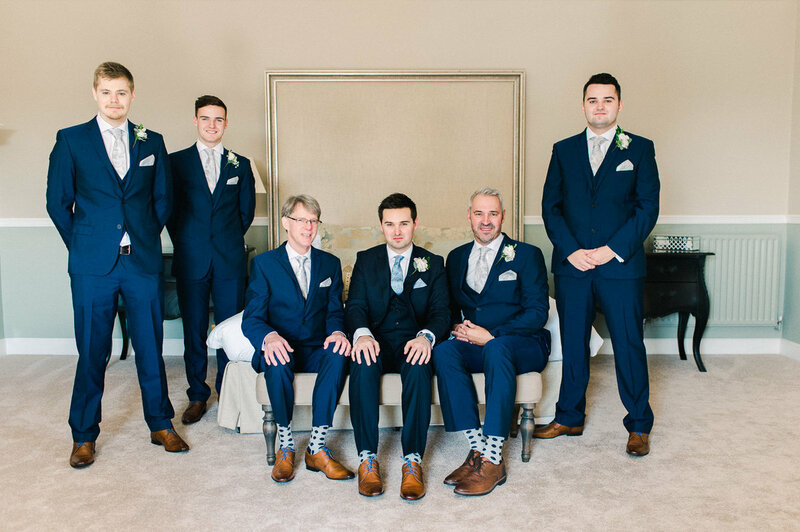 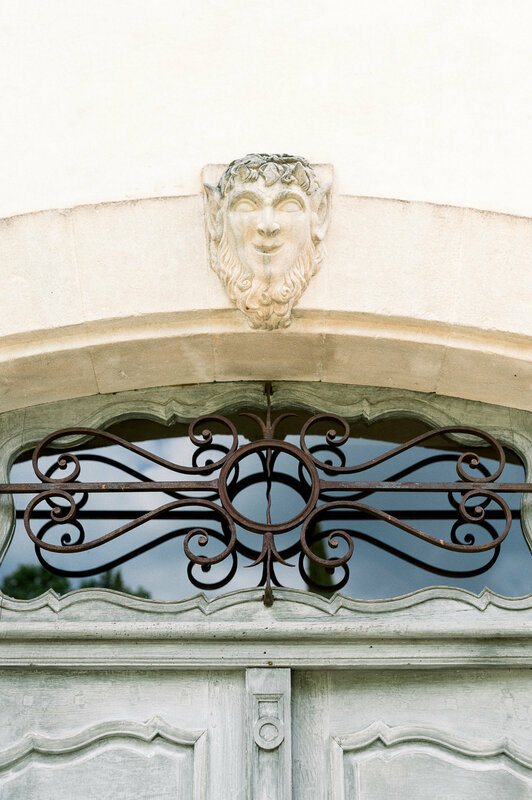 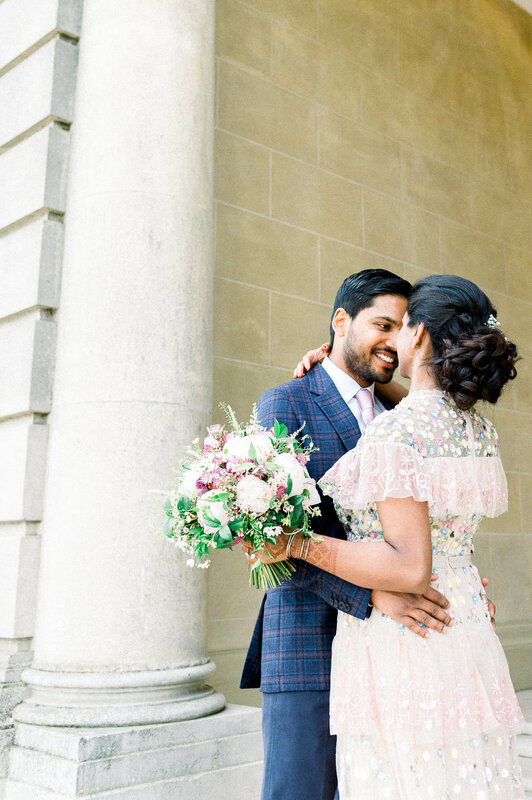 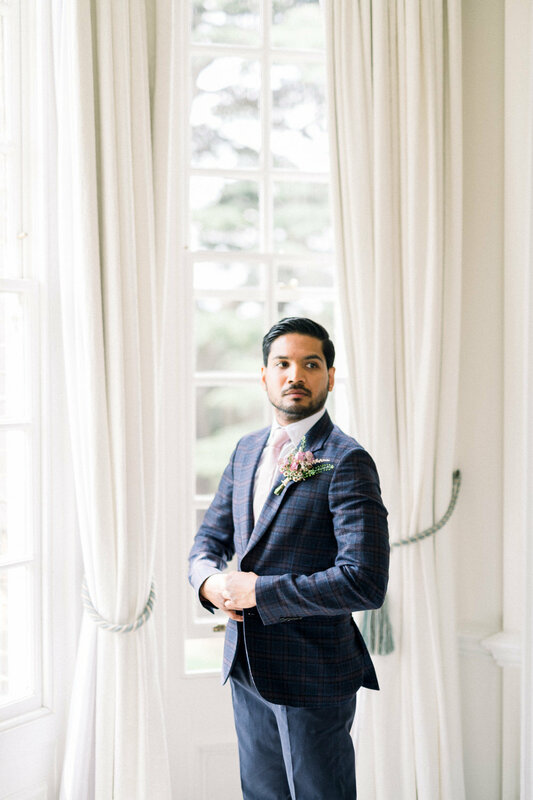 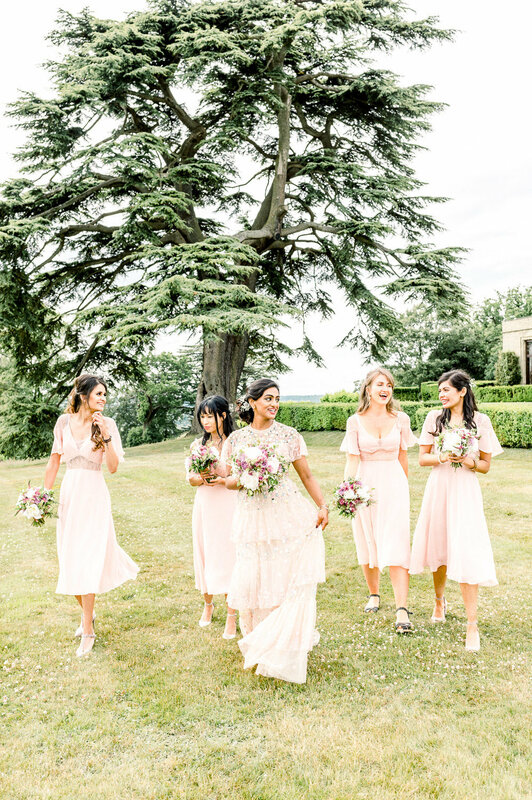 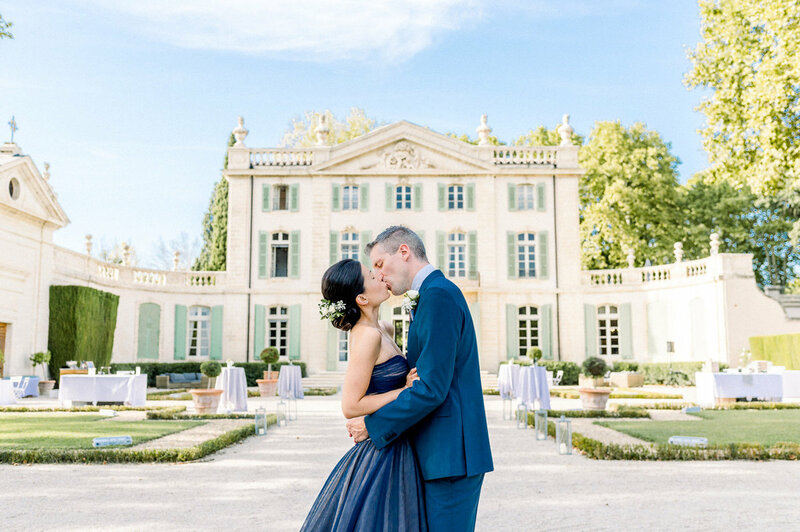 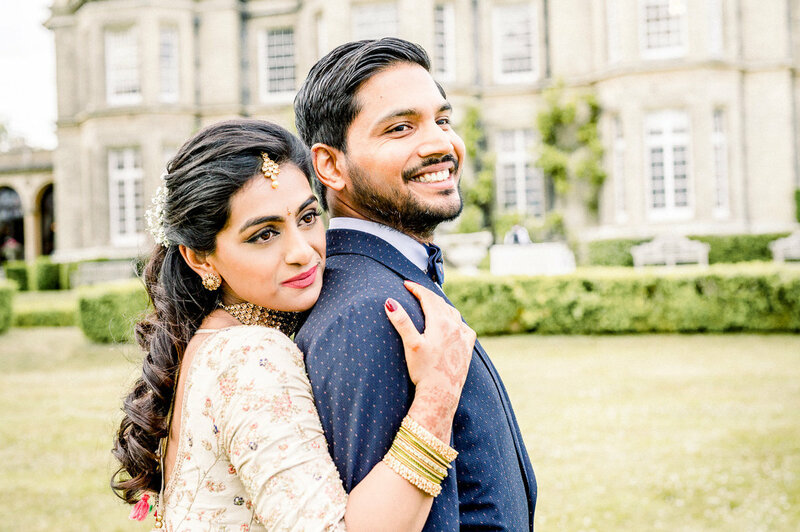 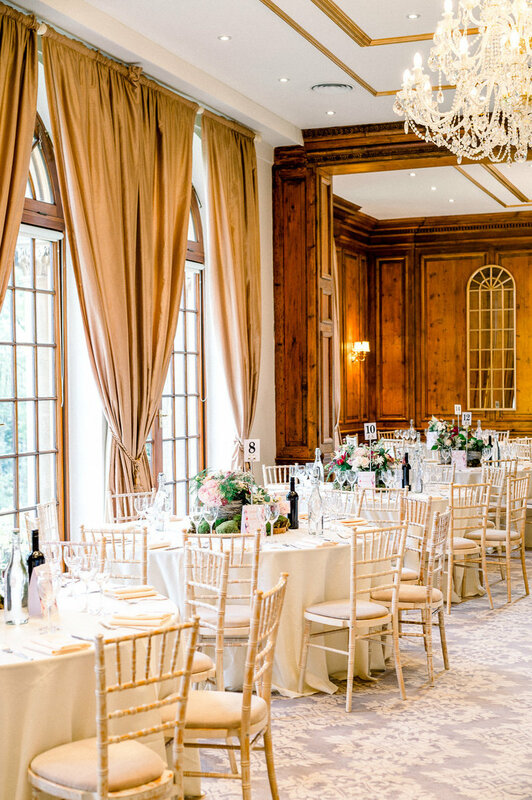 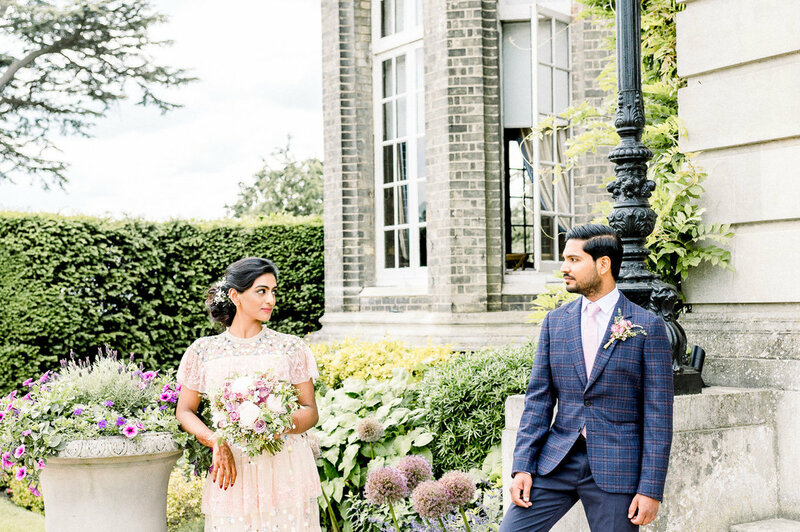 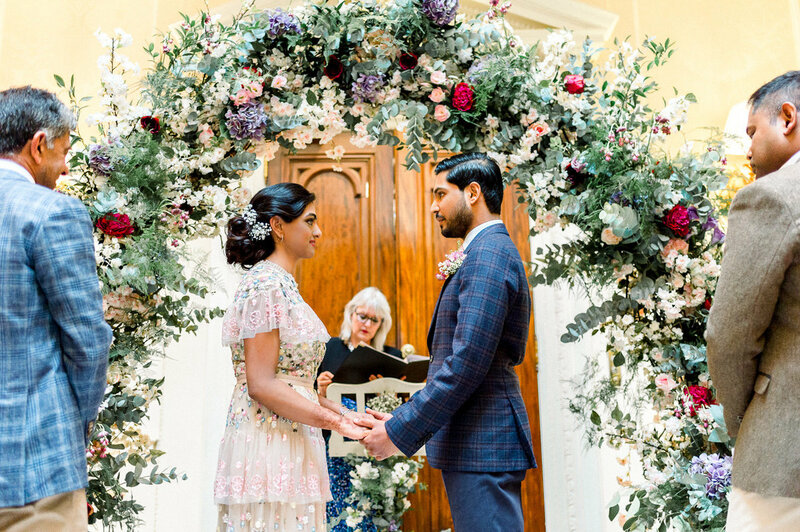 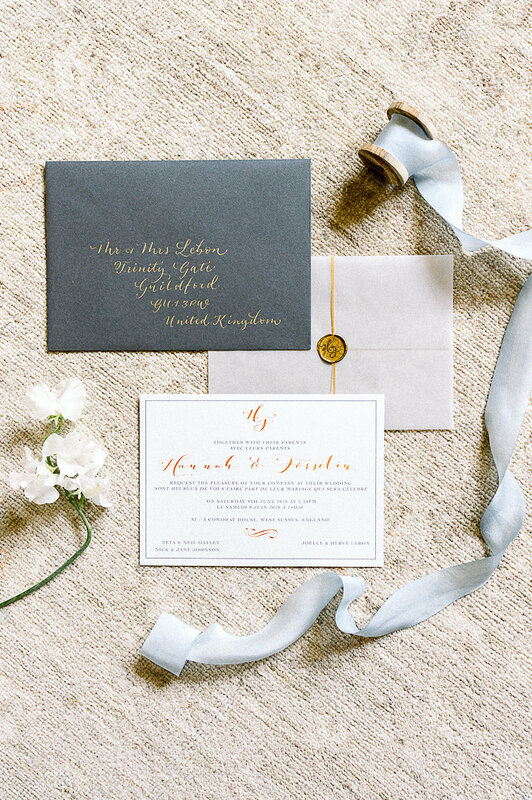 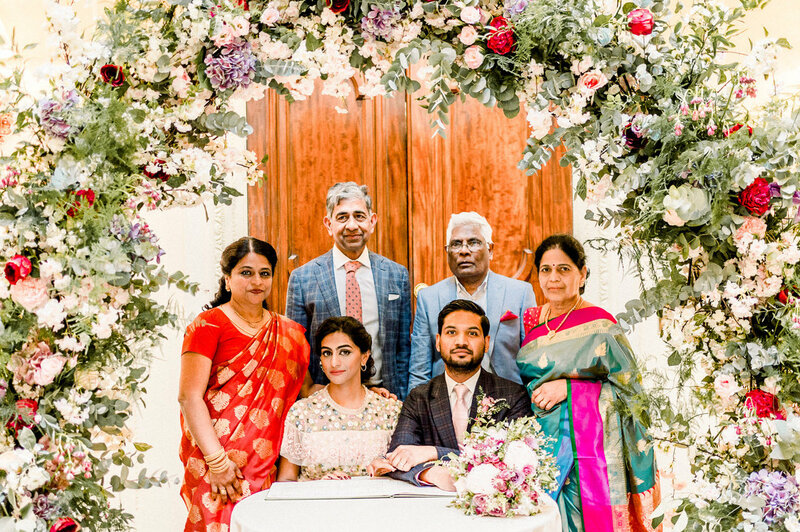 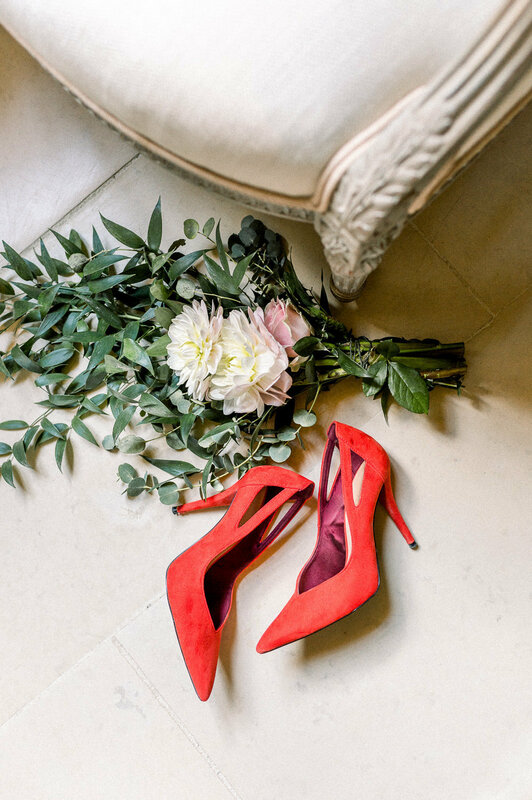 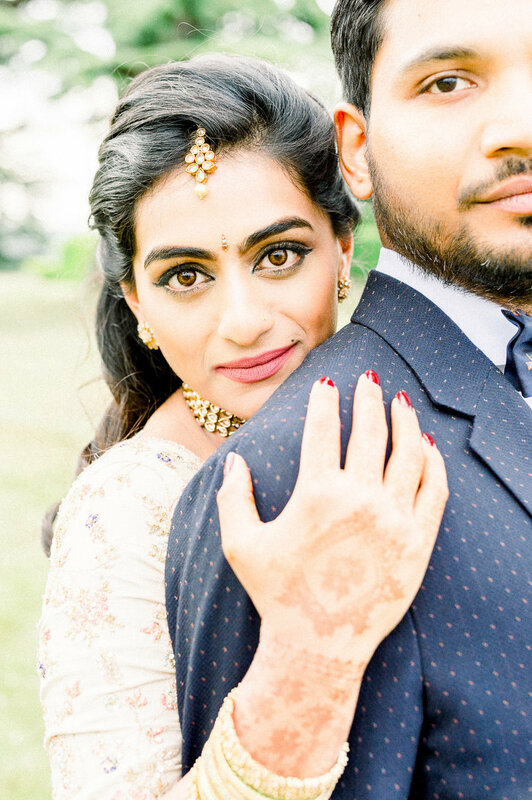 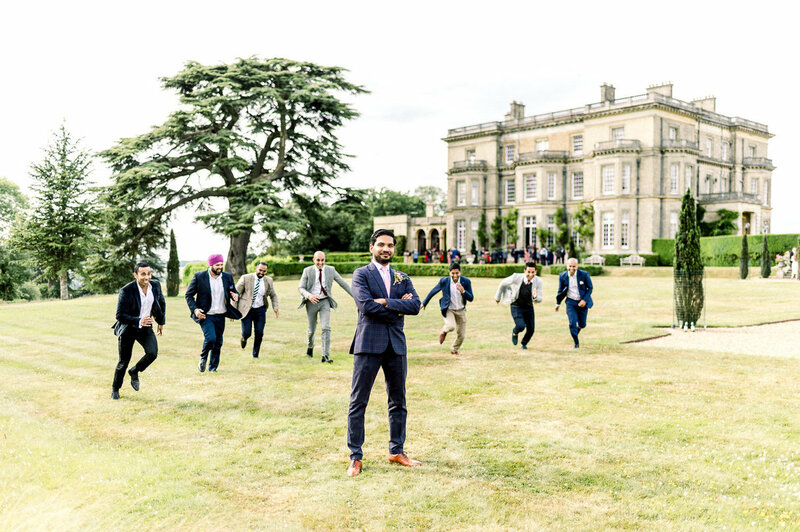 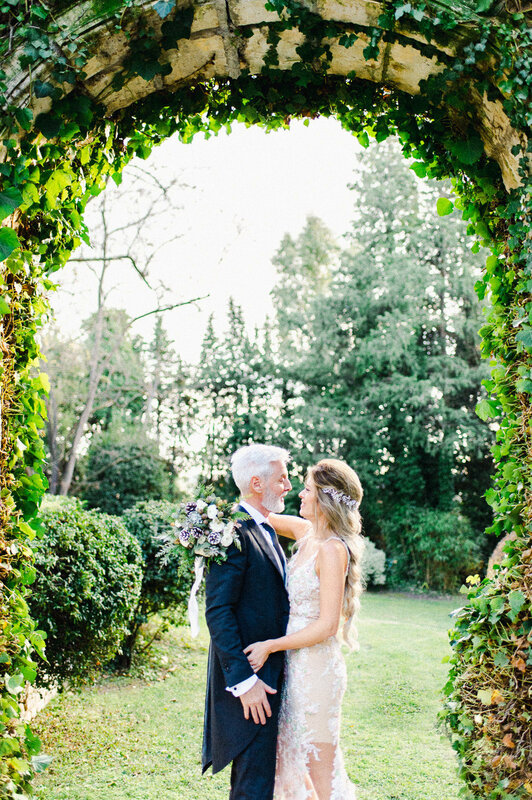 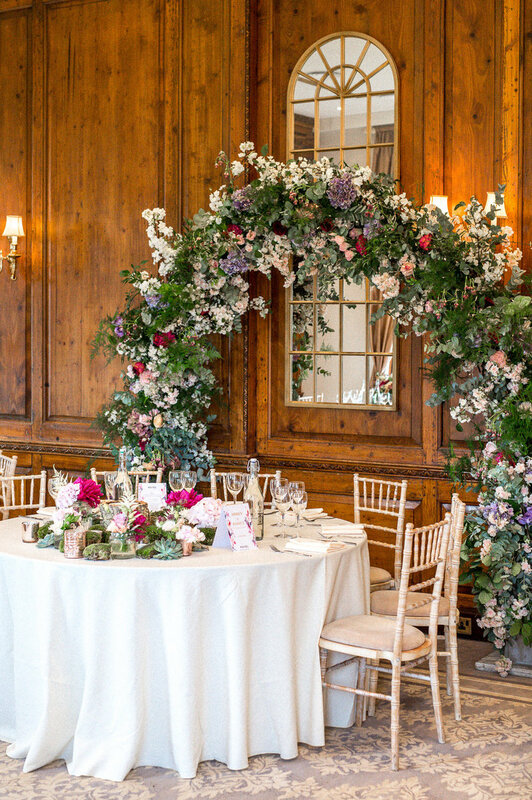 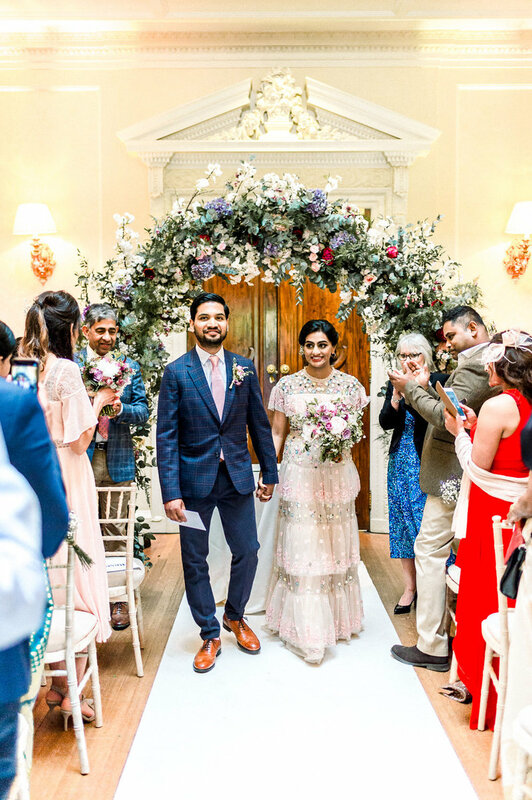 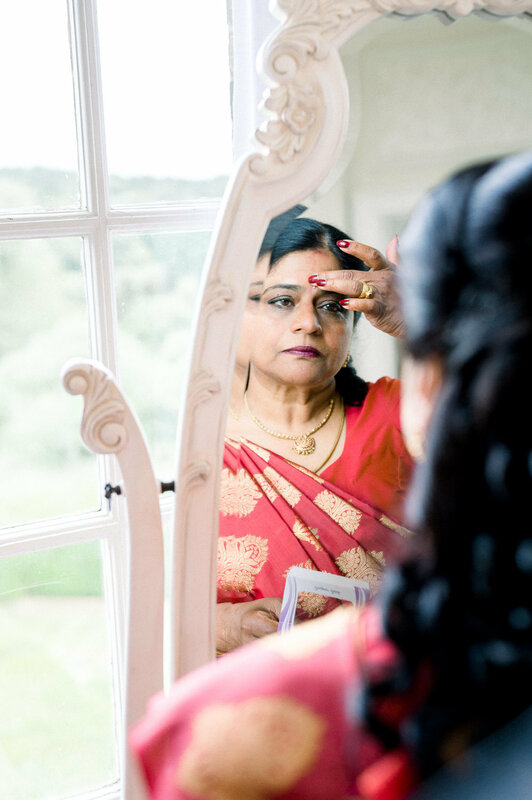 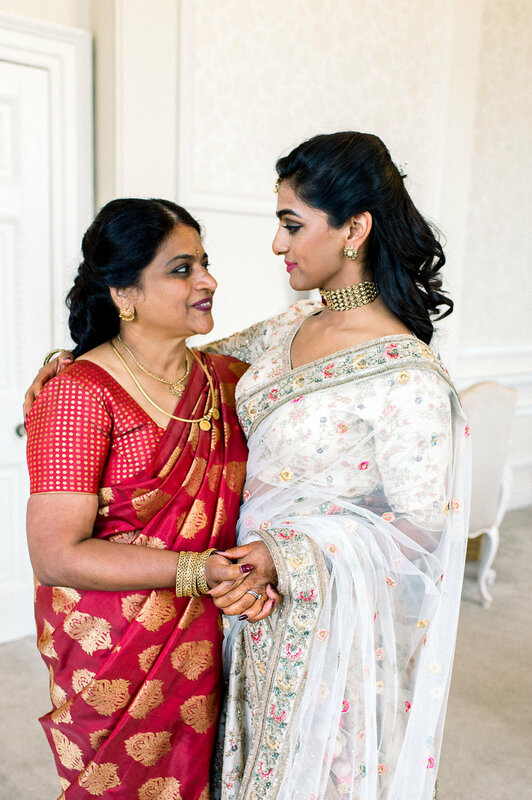 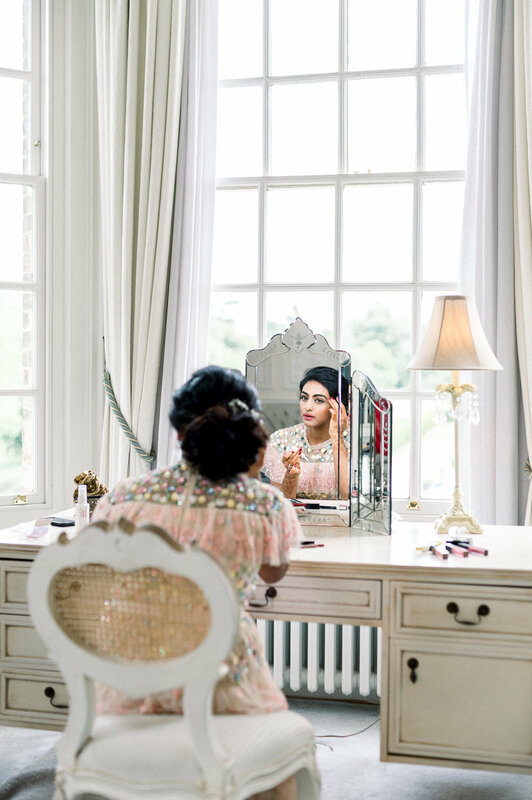 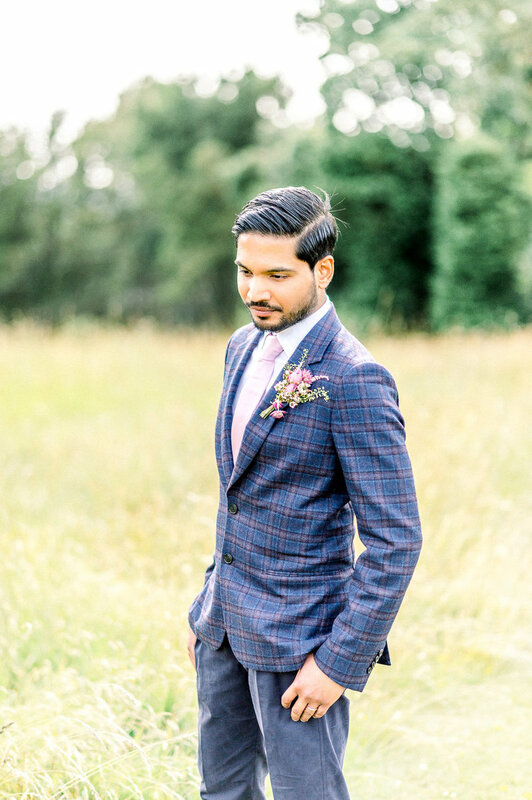 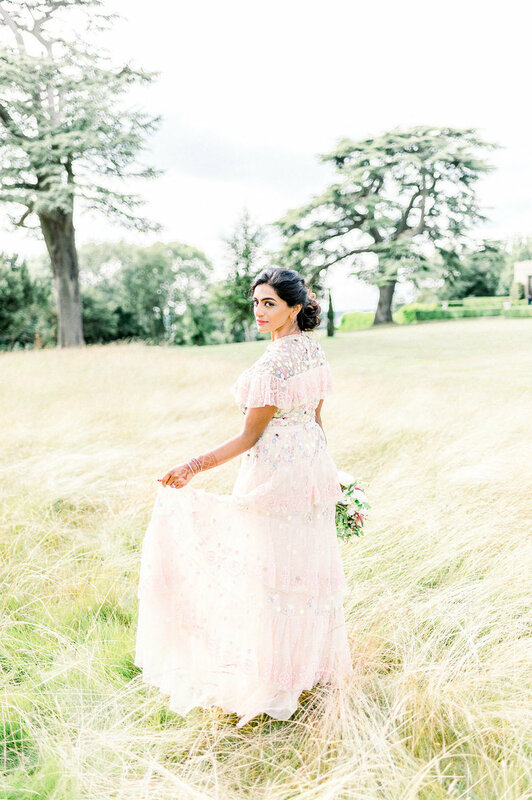 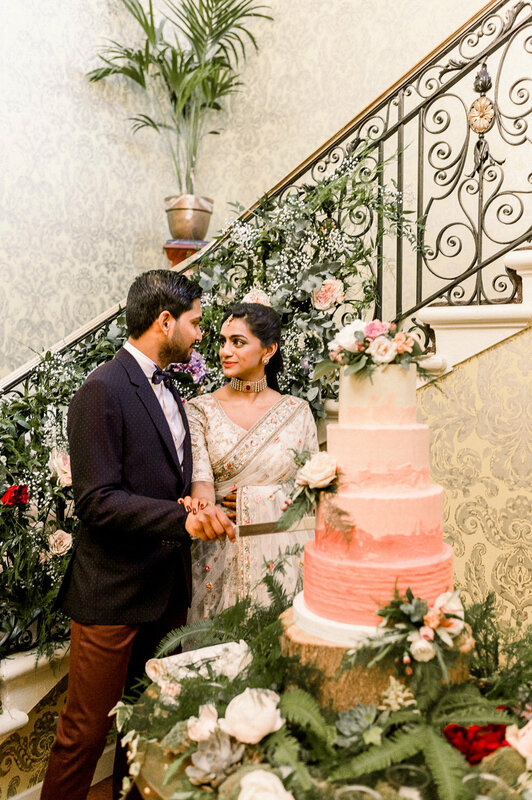 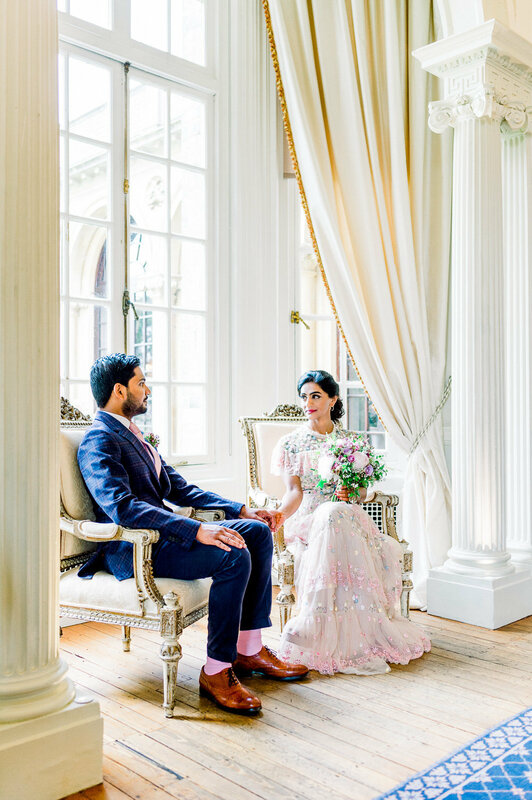 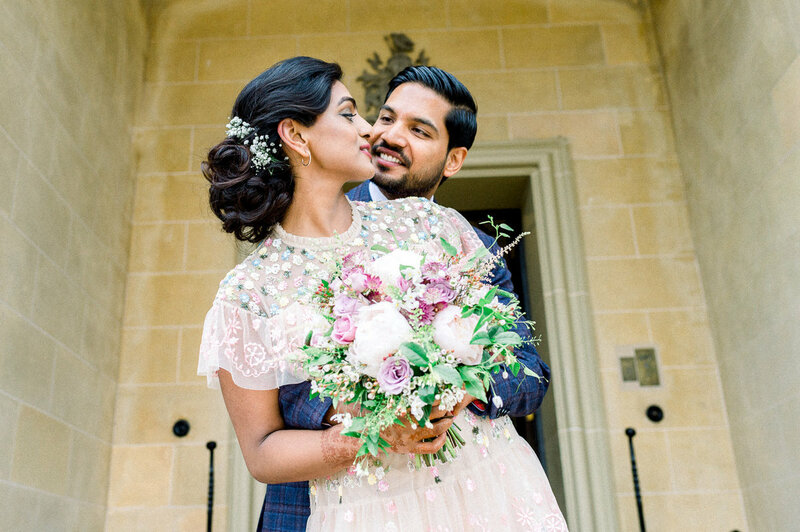 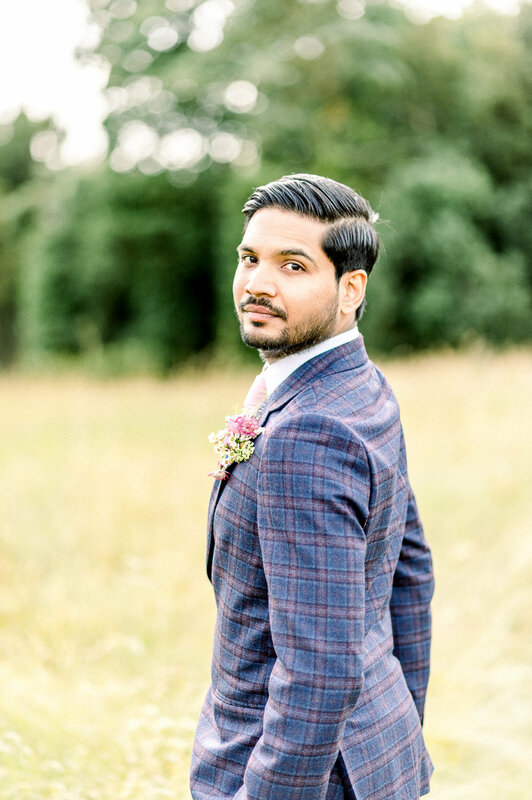 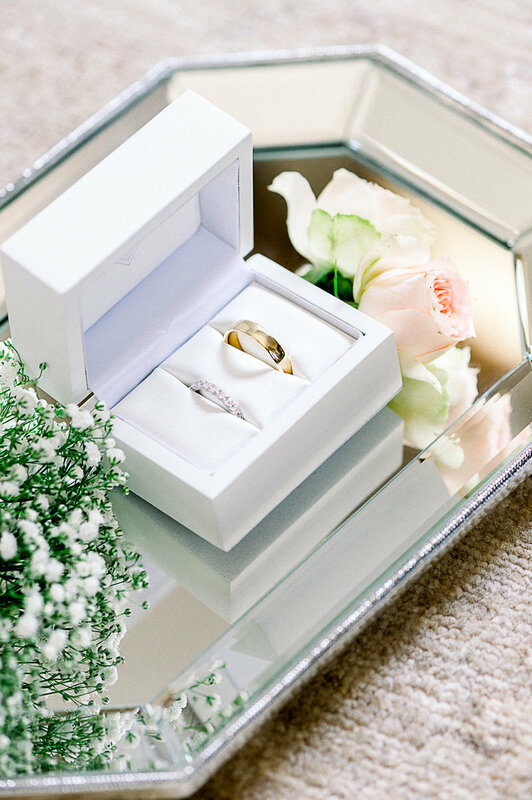 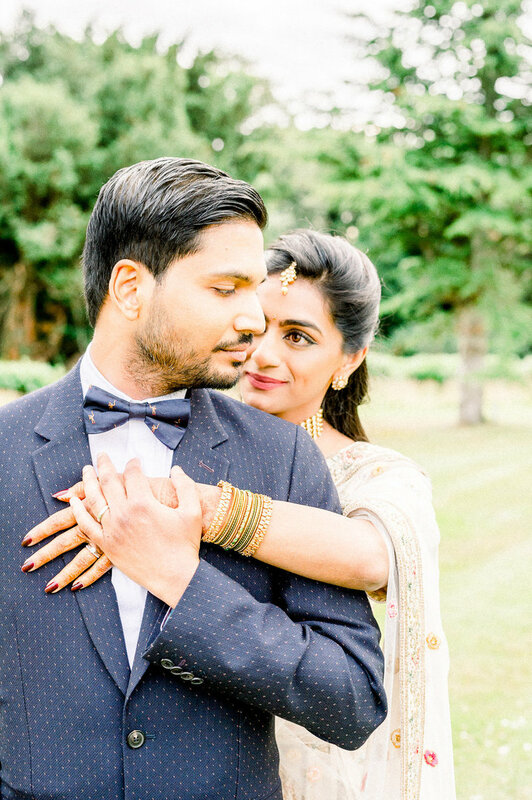 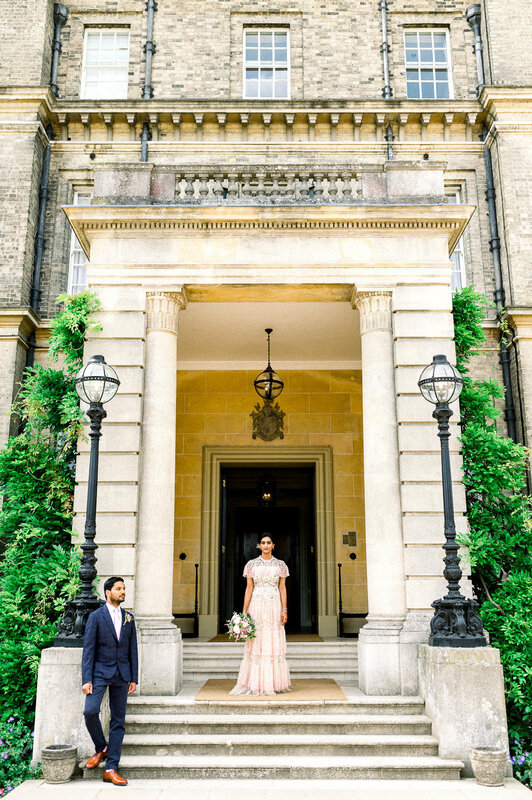 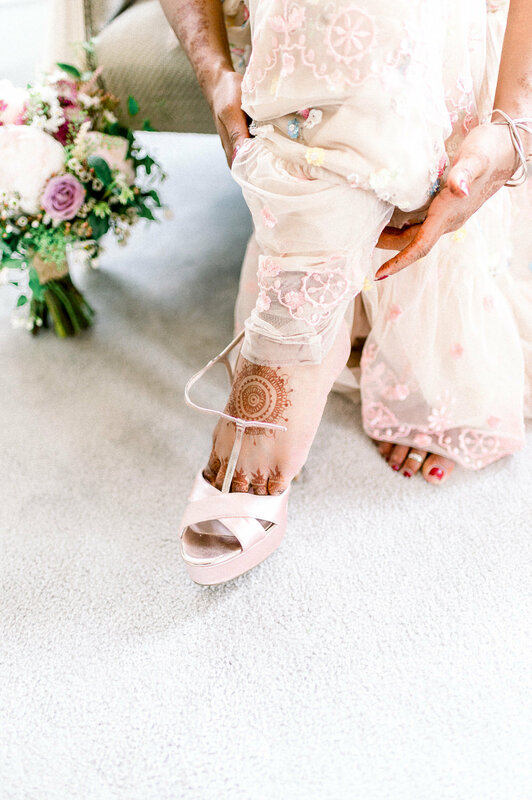 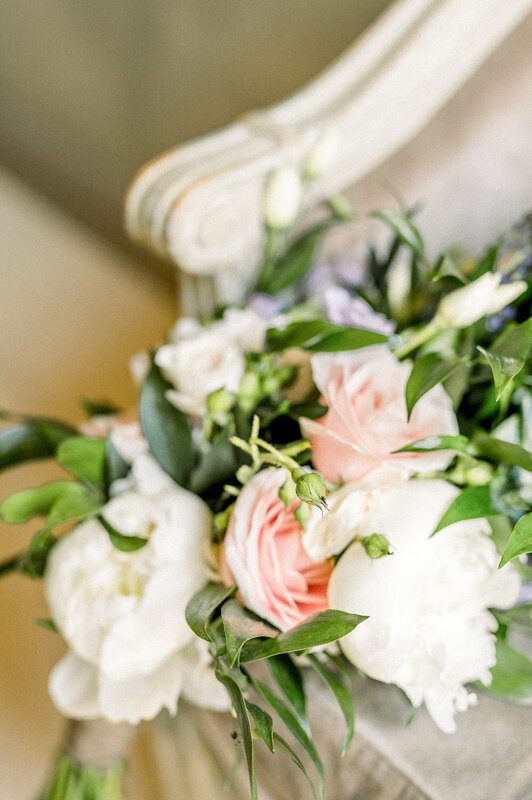 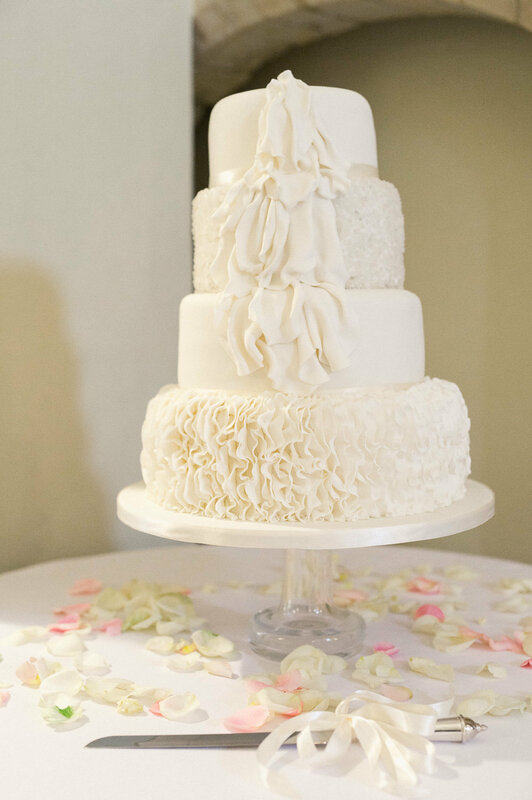 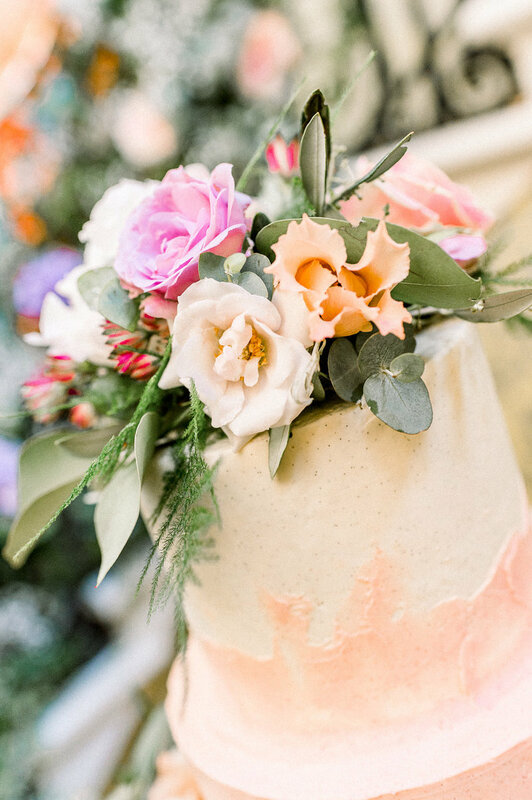 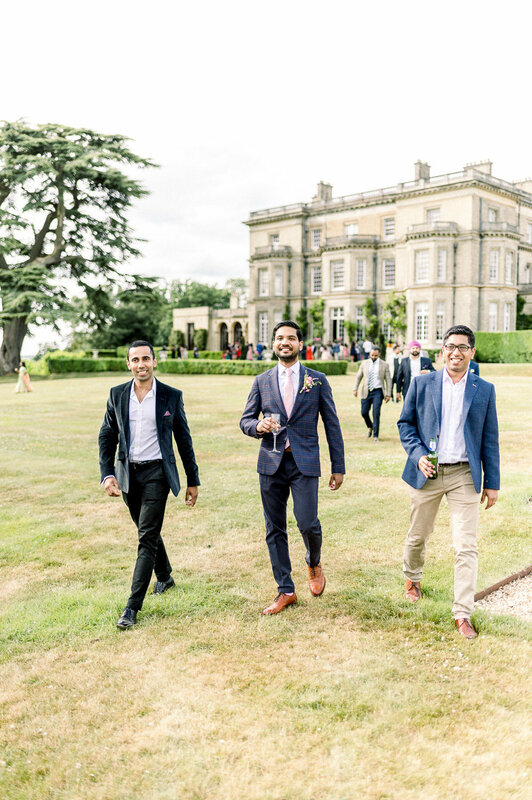 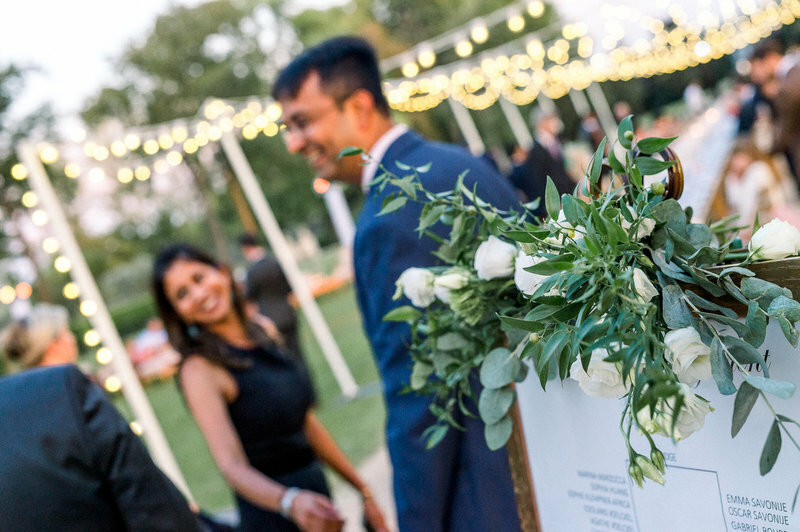 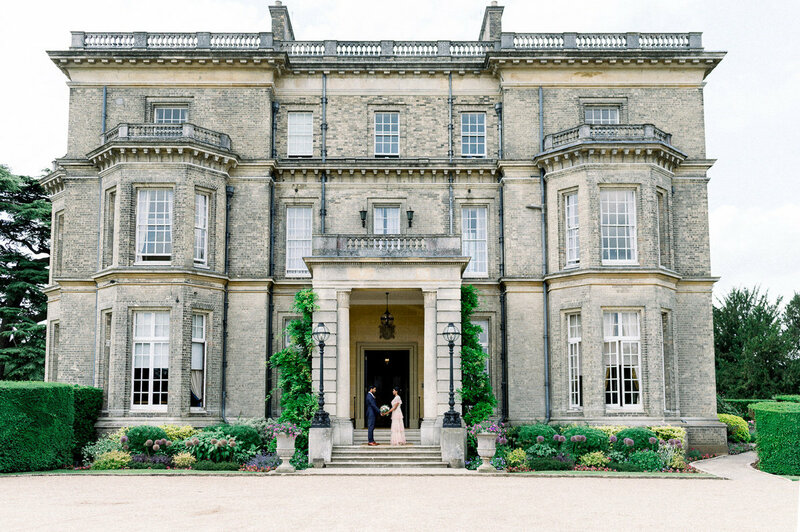 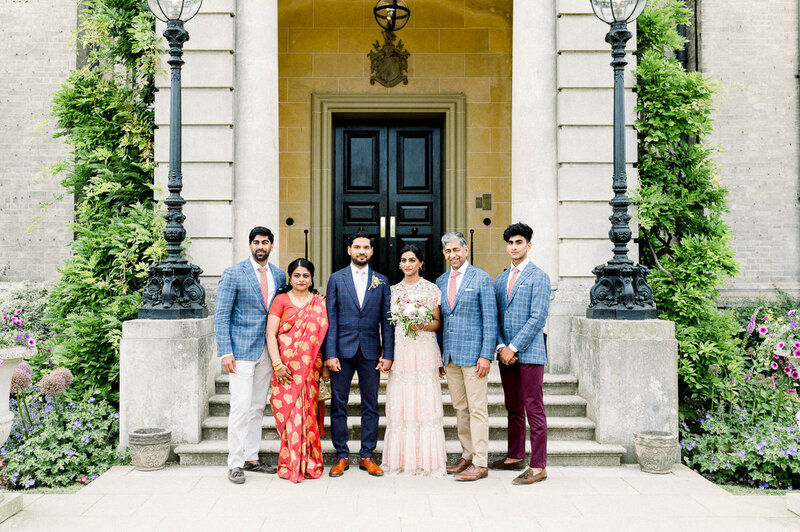 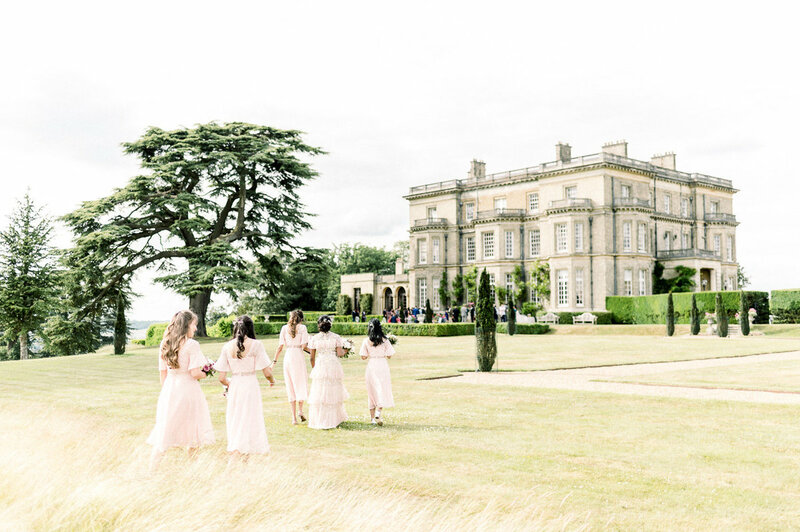 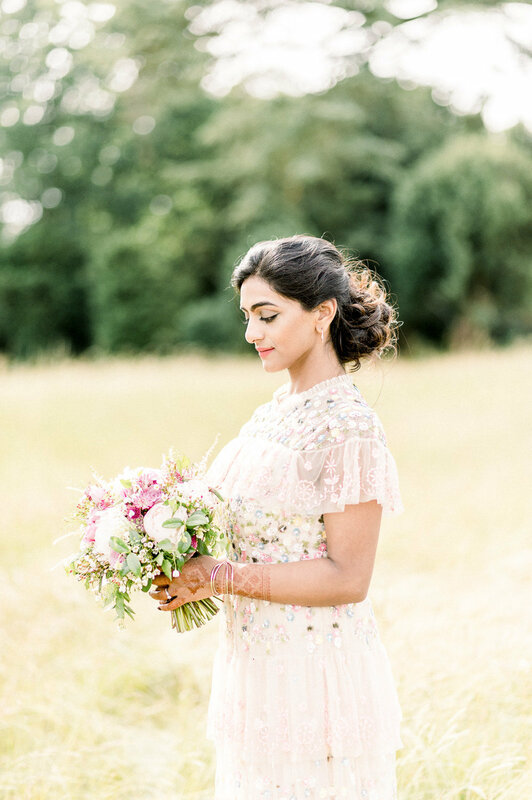 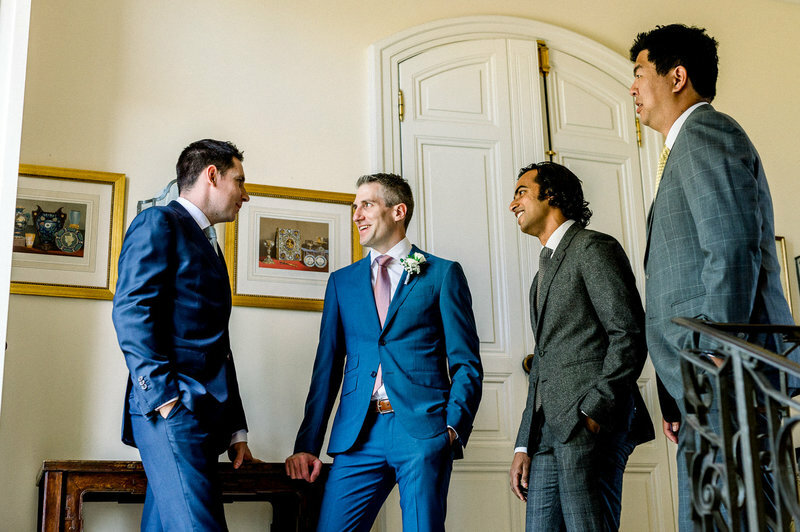 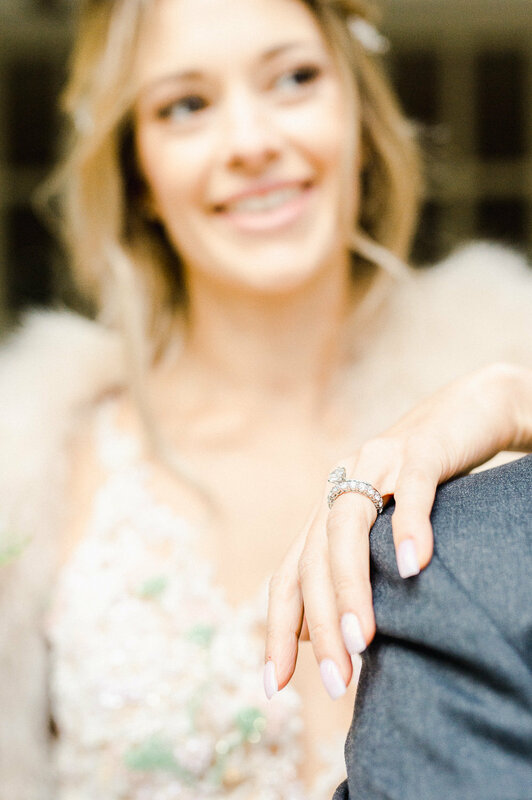 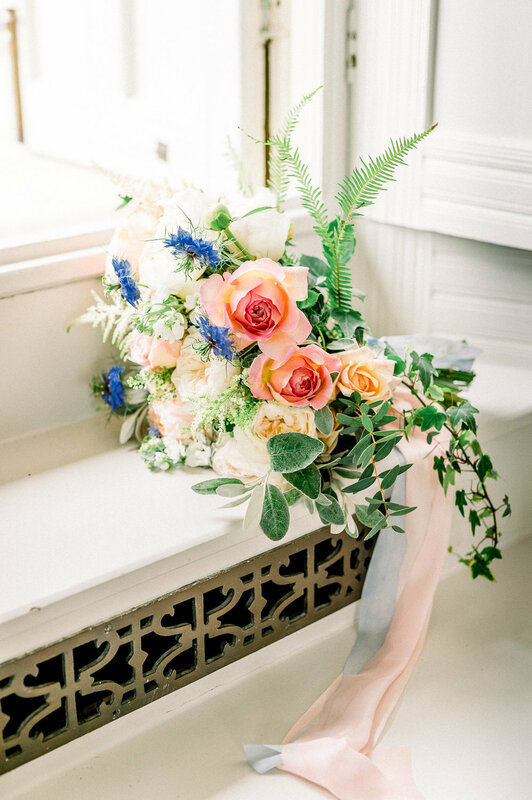 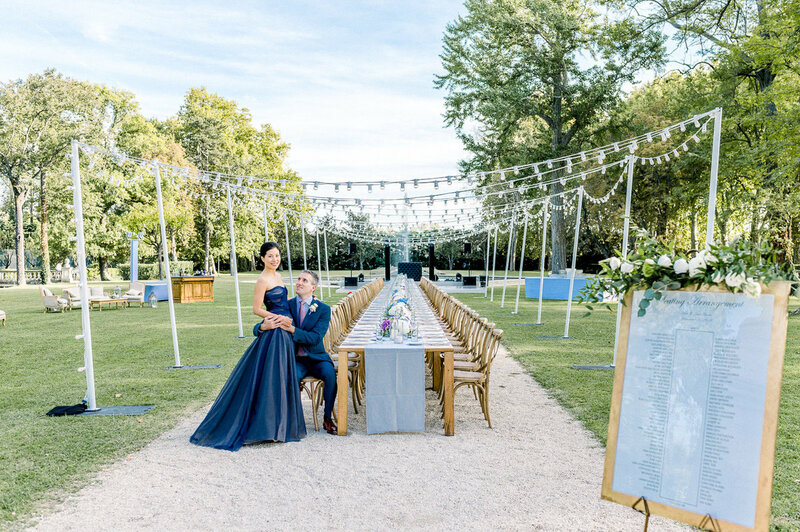 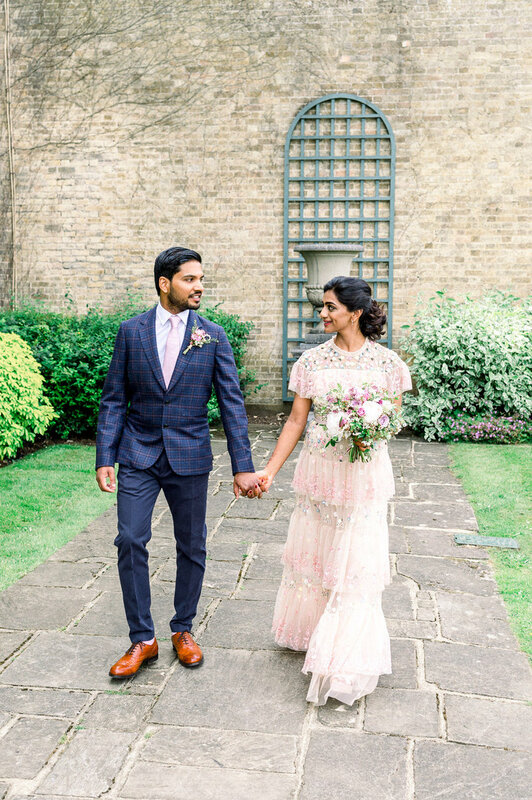 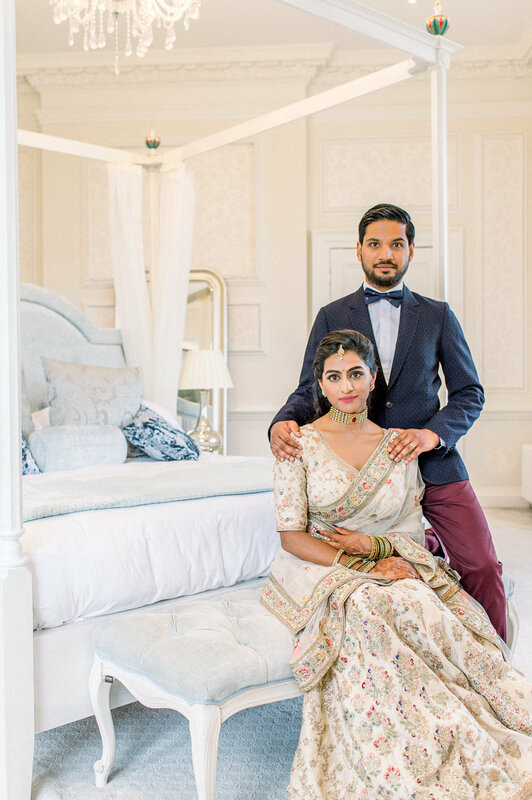 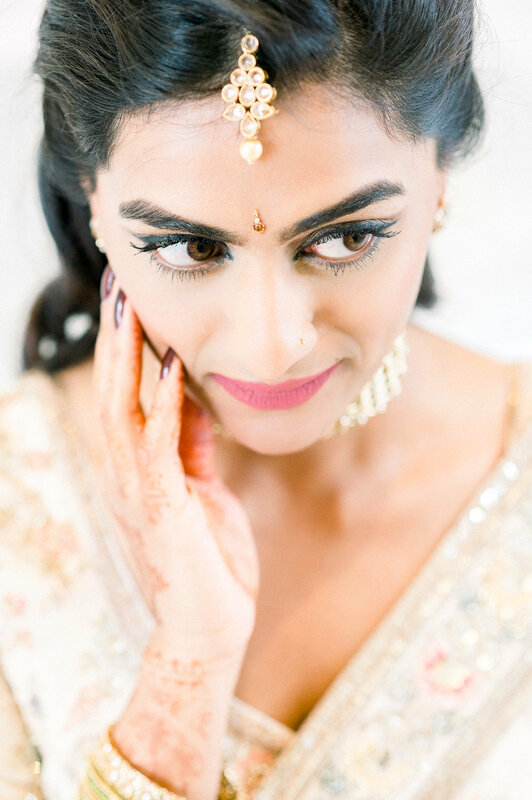 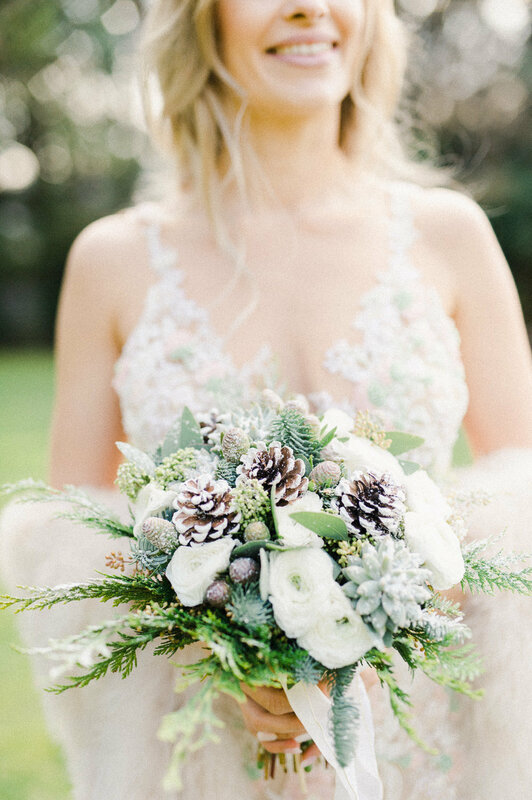 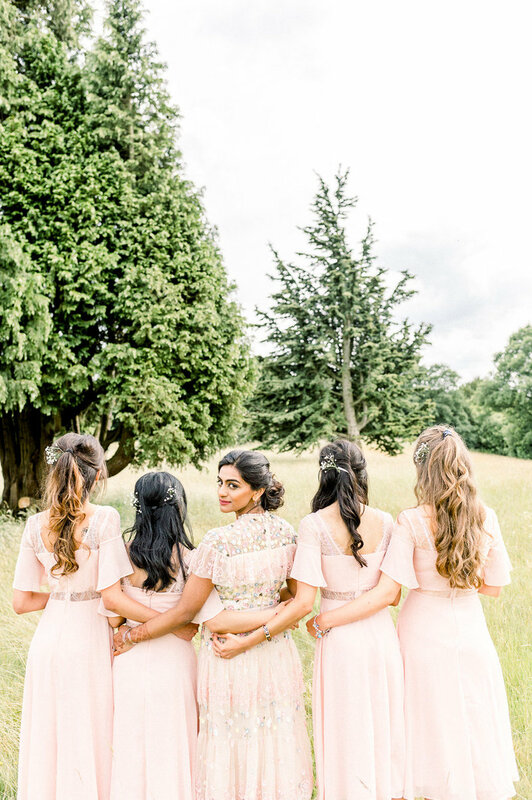 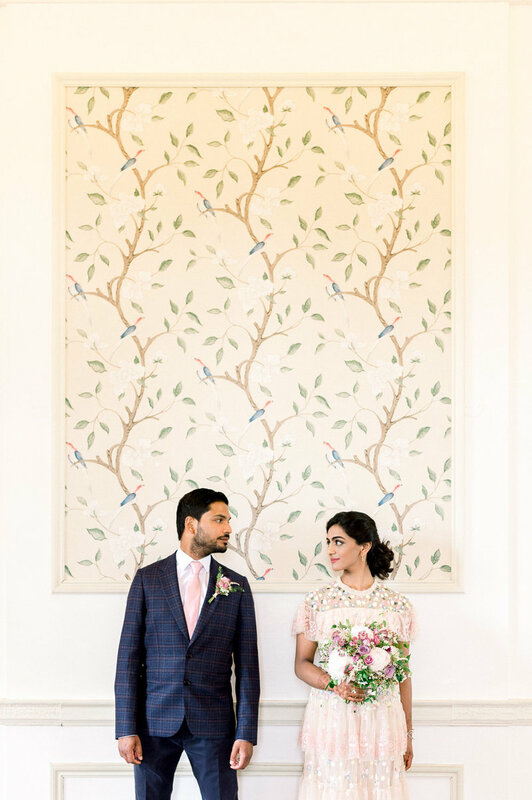 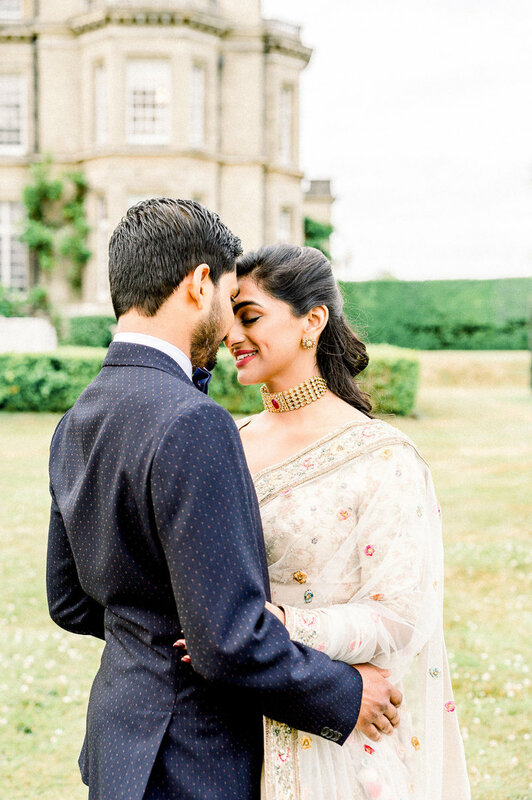 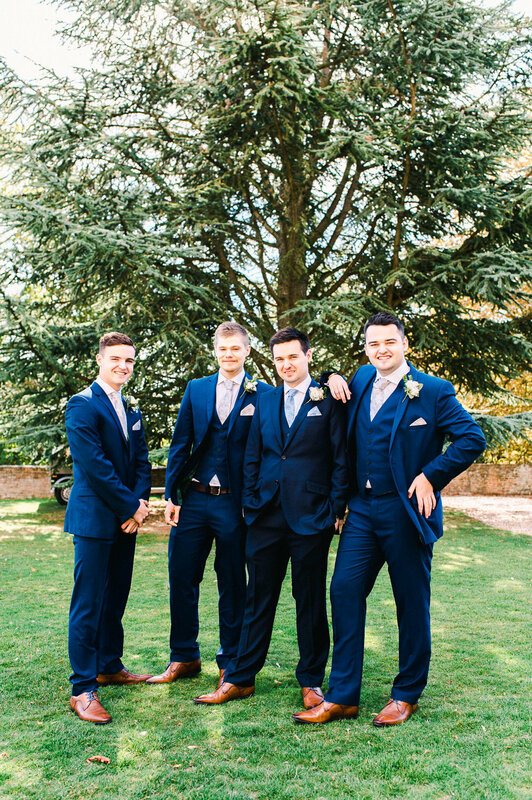 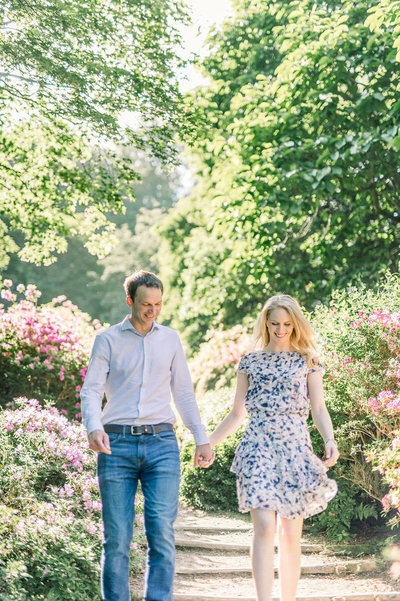 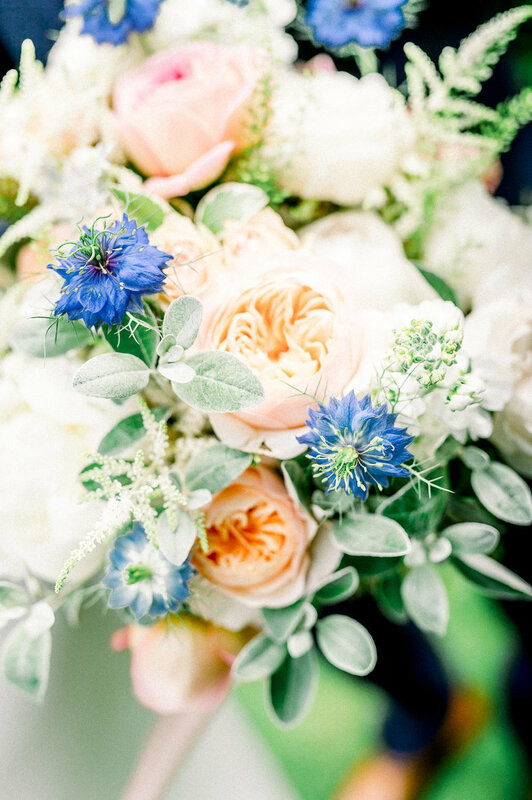 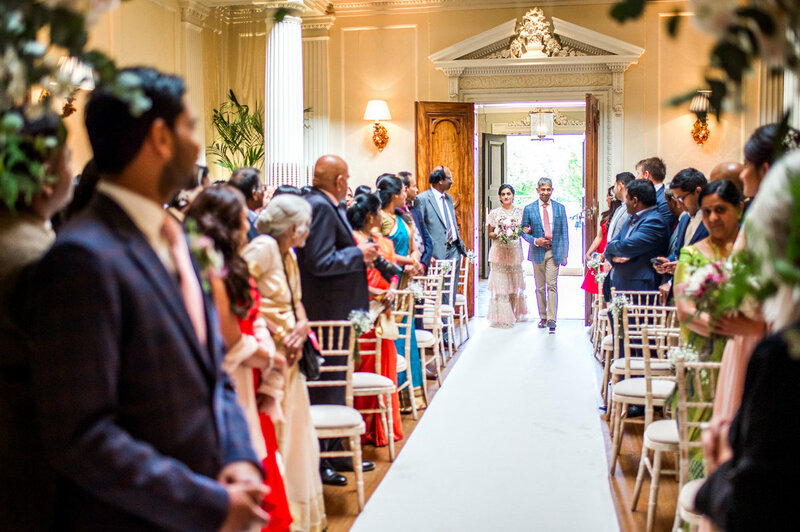 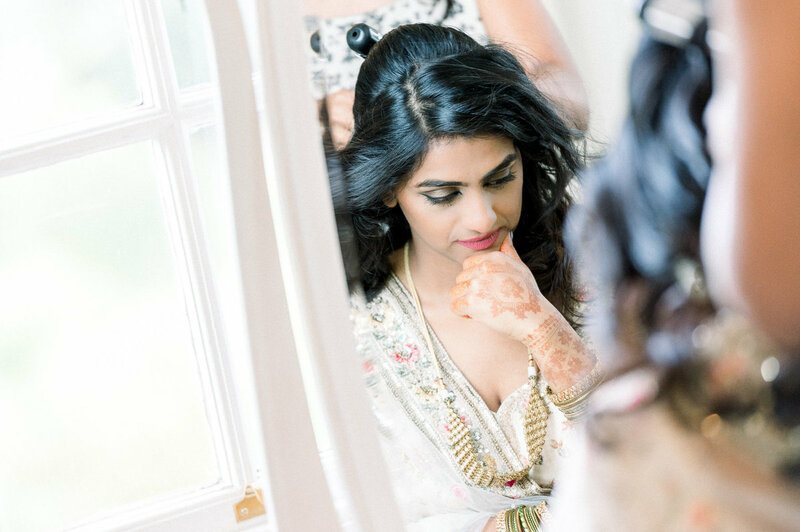 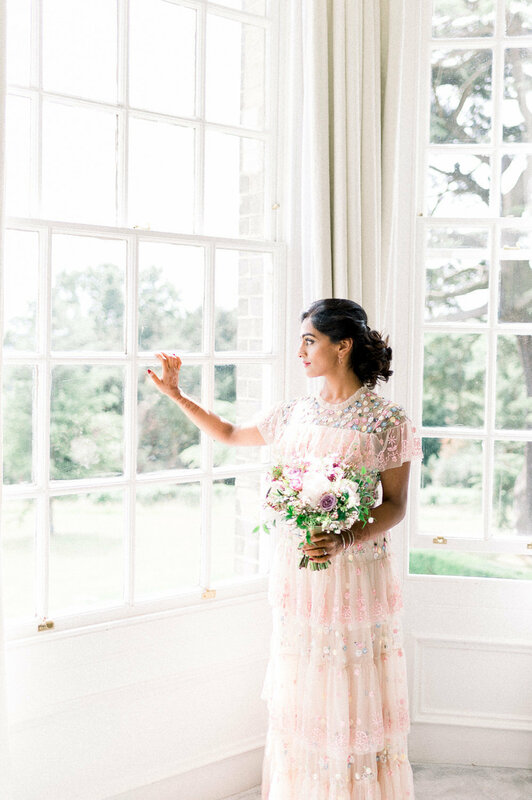 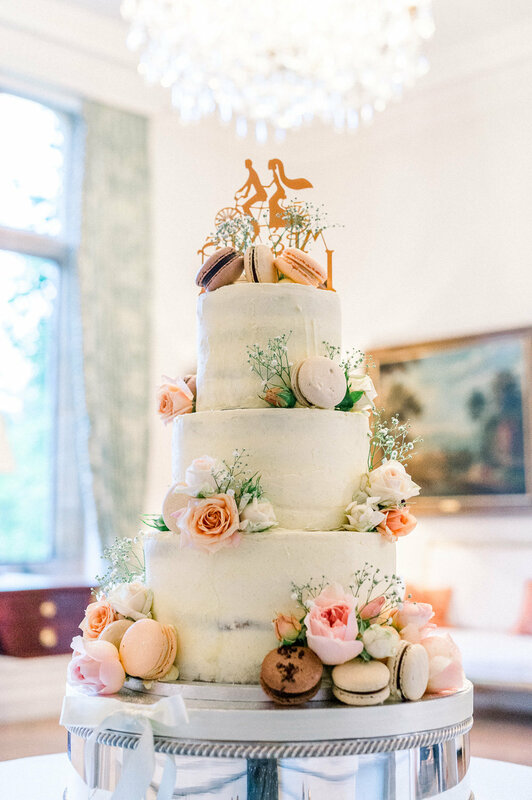 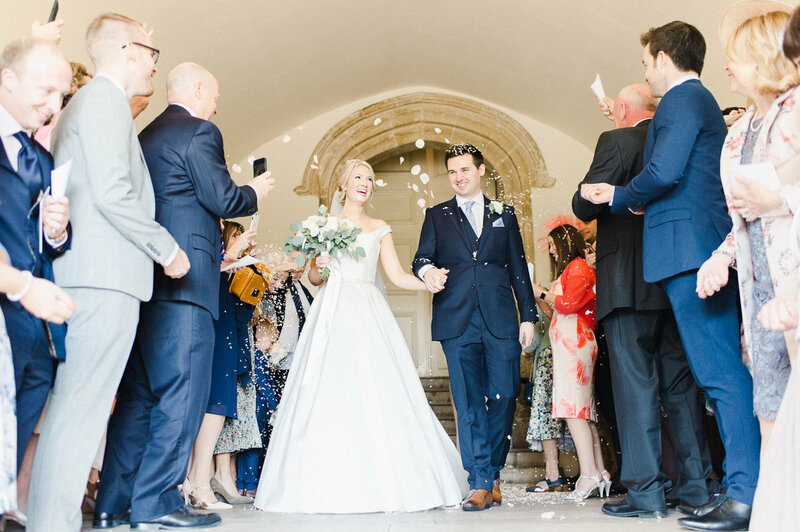 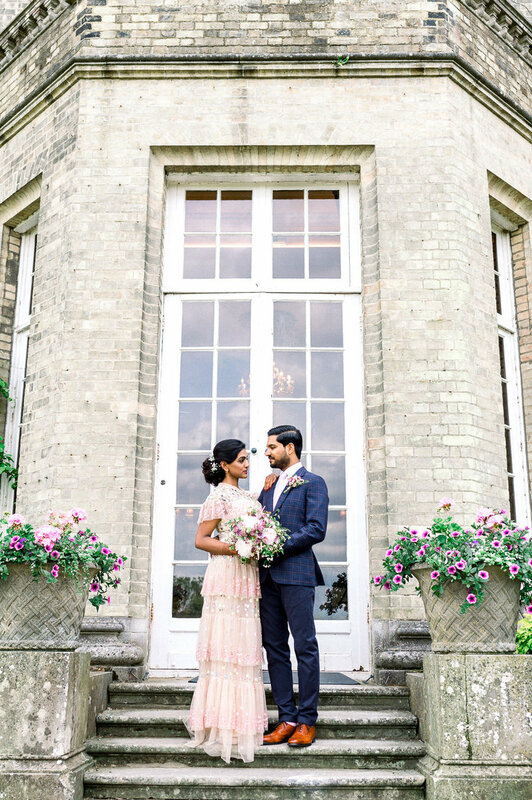 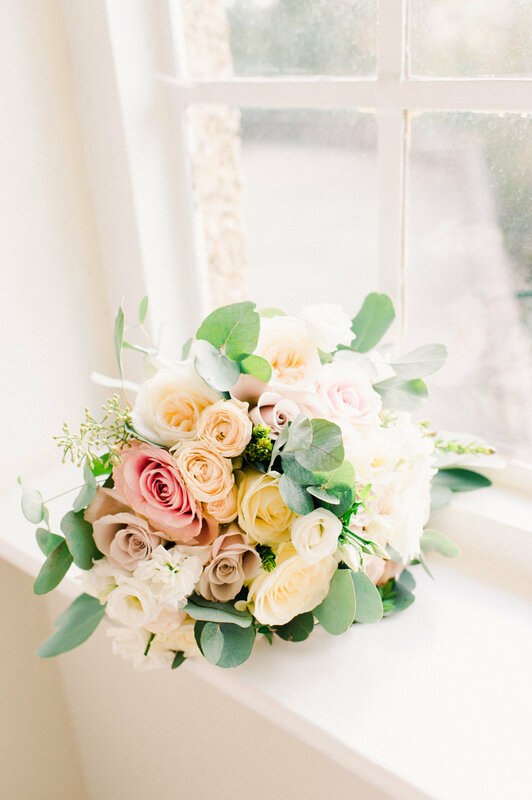 Abbey and Rahul celebrated their dream summer wedding at Hedsor House in Buckinghamshire, one of the UK's most exclusive and ultra-luxe locations perched high above the Thames and set within acres of picturesque, historic parkland and Grade II listed gardens. 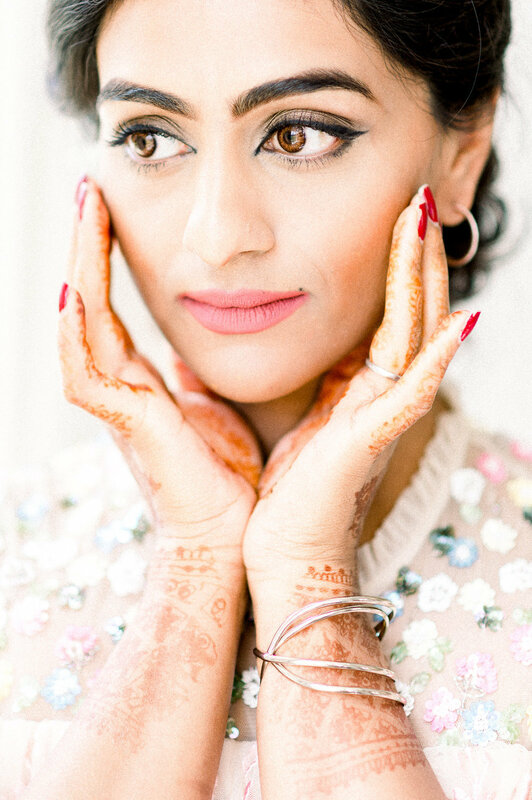 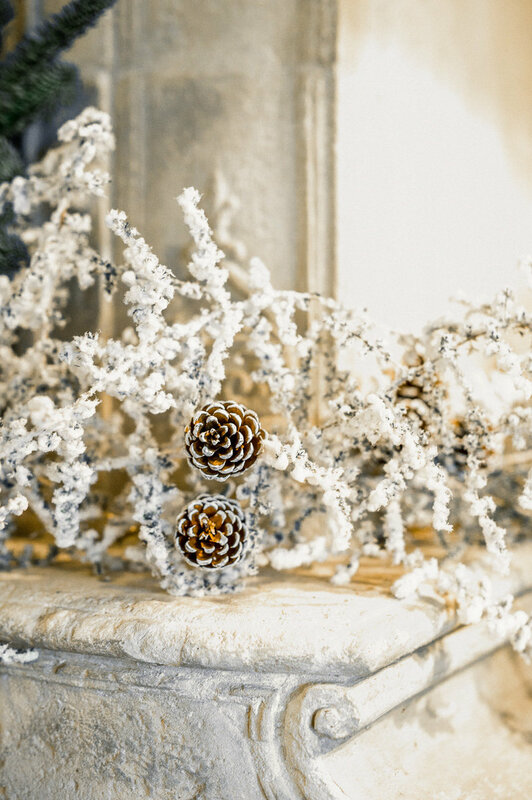 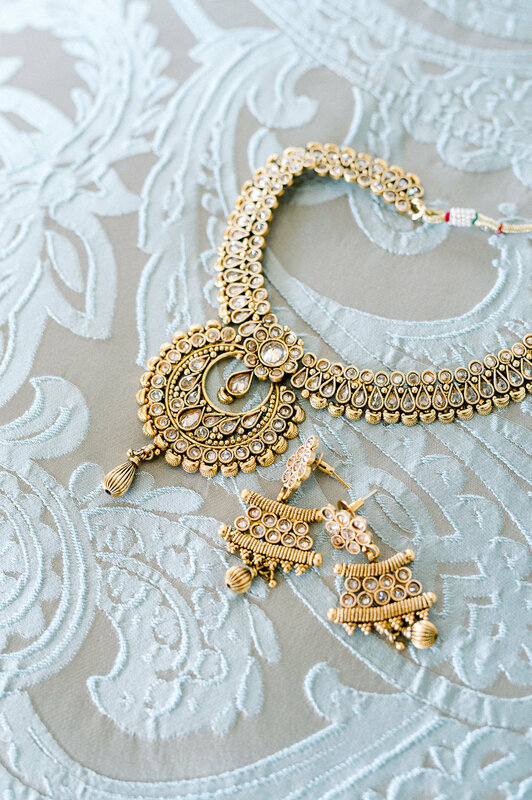 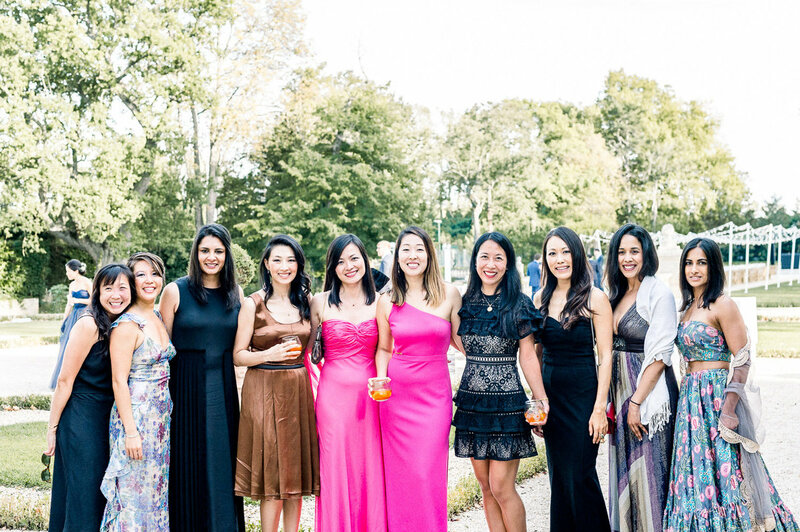 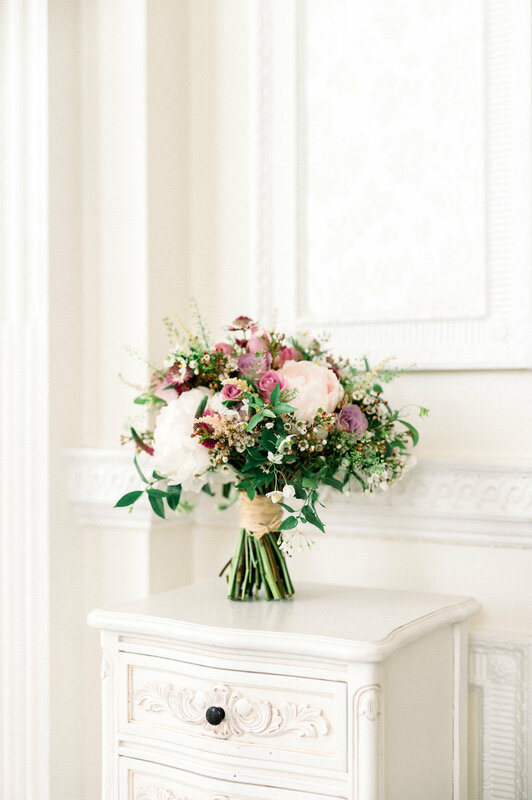 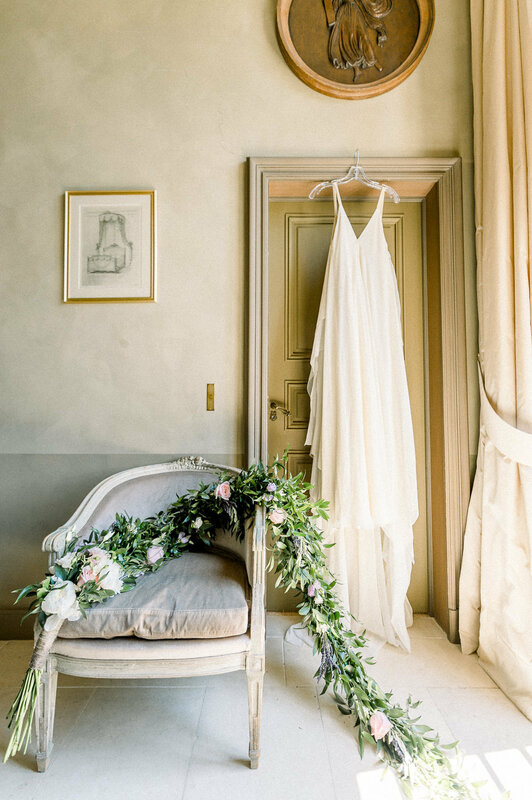 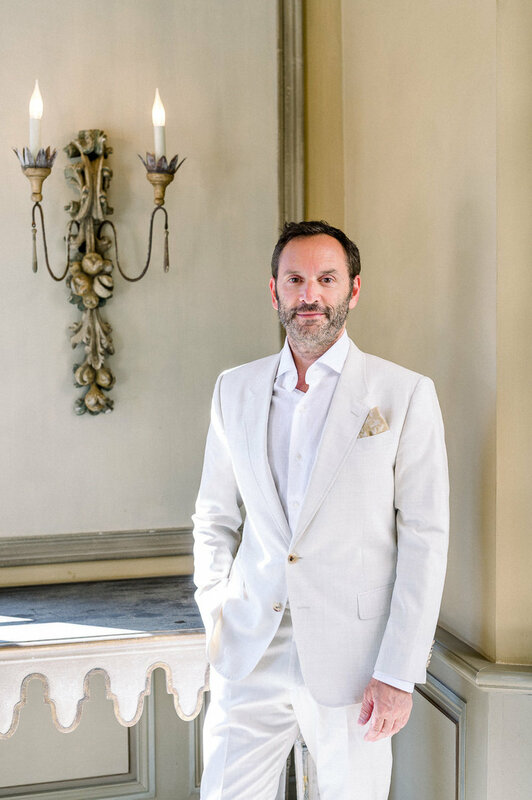 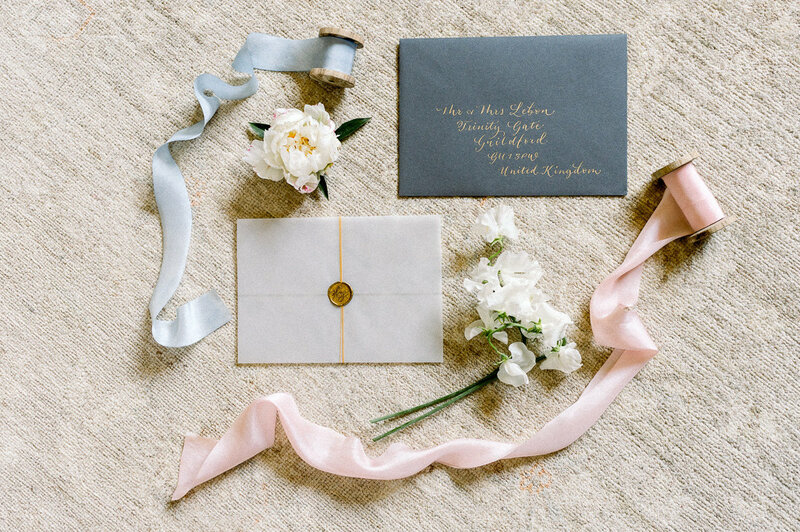 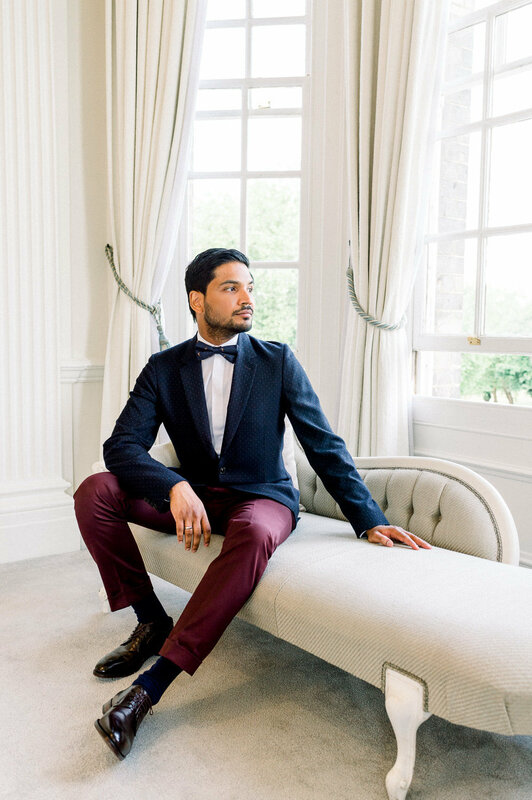 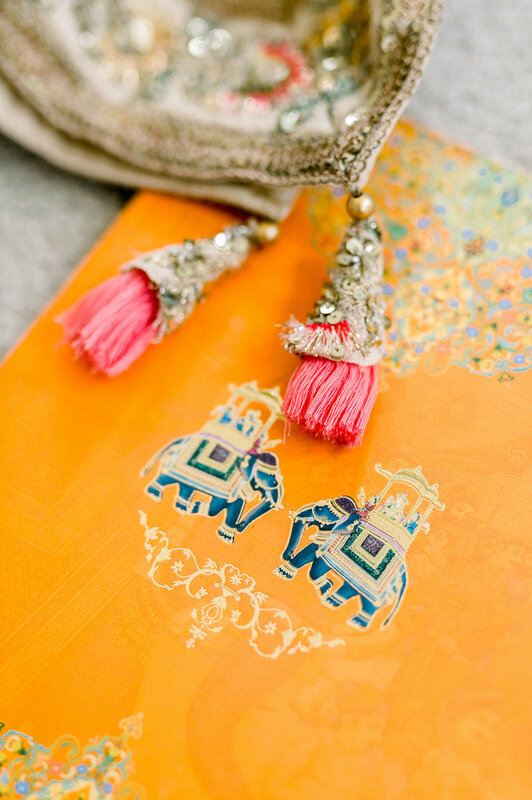 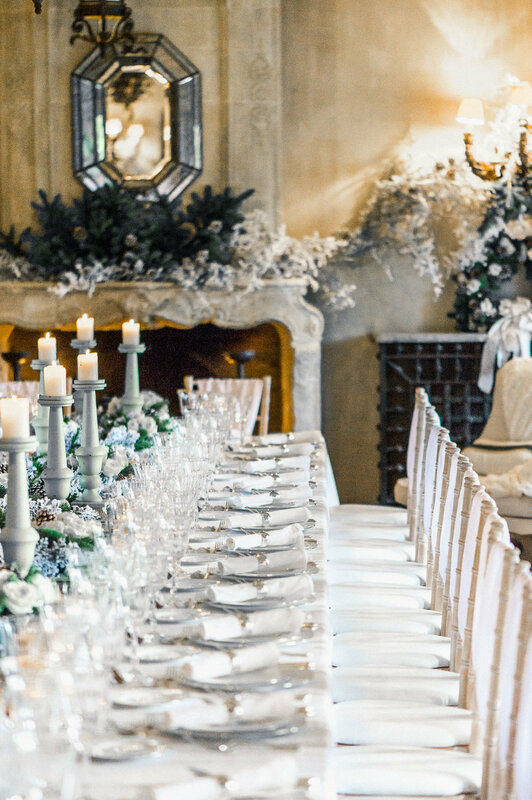 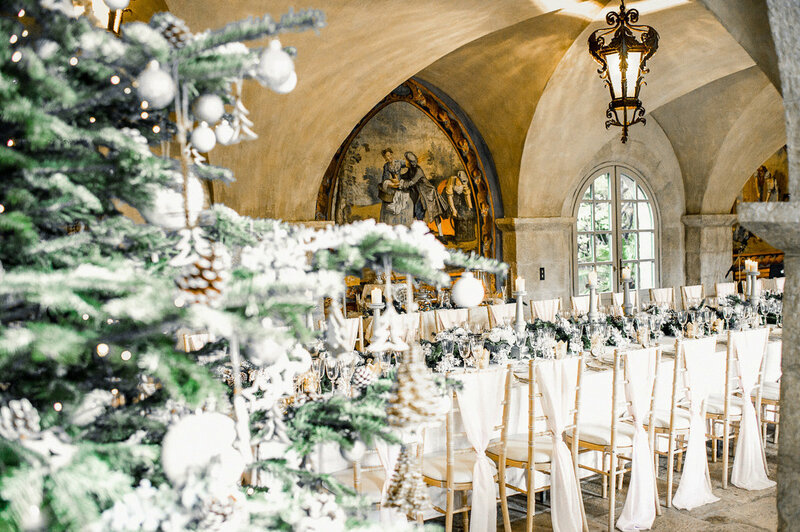 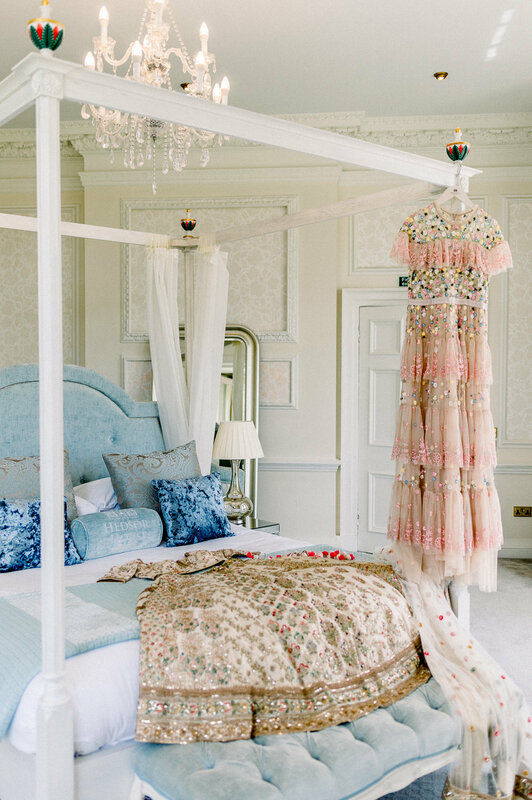 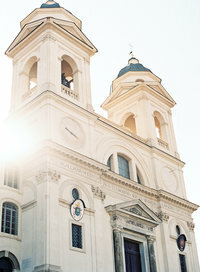 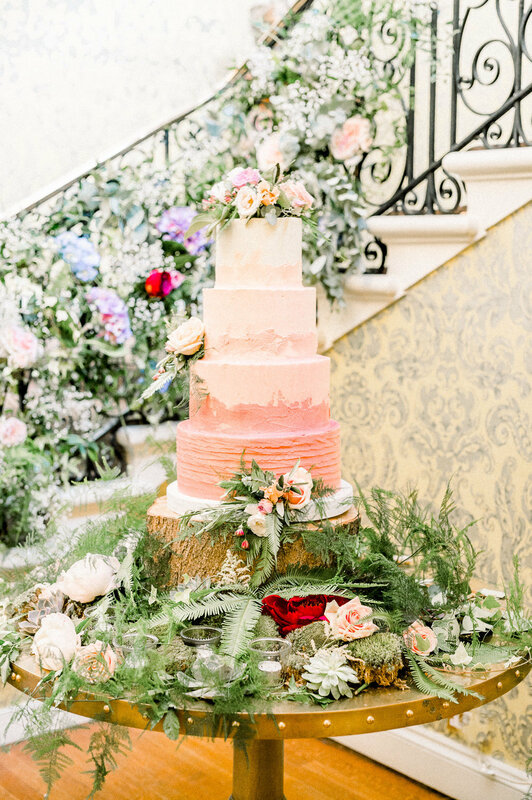 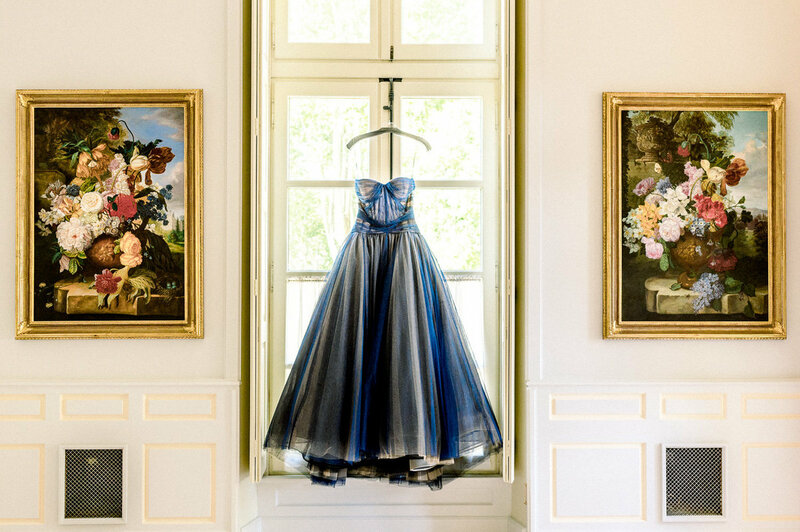 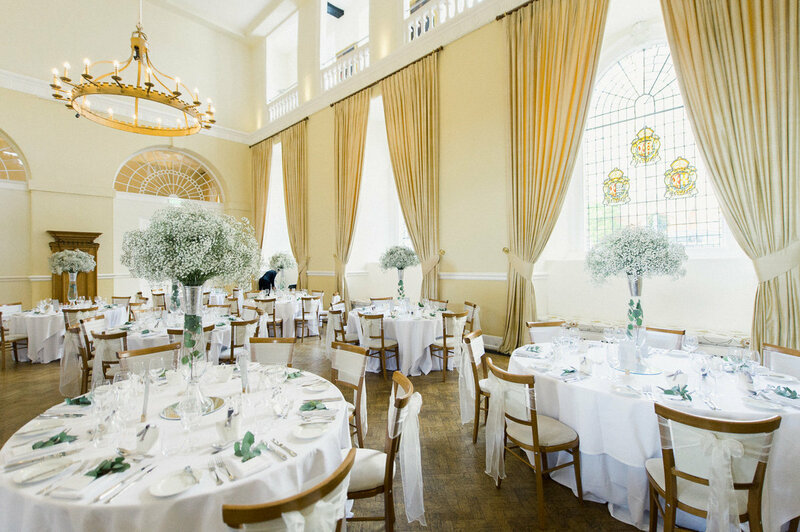 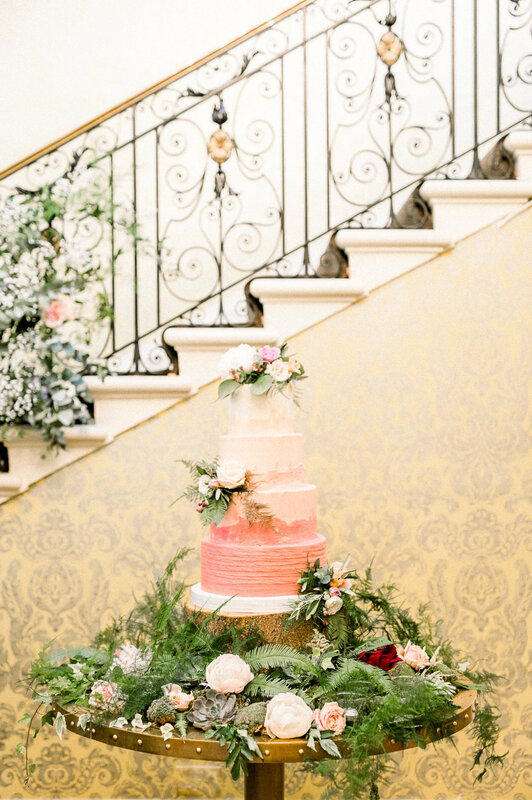 There's something so very inspiring about the cultural fusion of a quintessential Georgian stately home's opulent interiors and gorgeous flower decorations with the energy, colour and excitement generated by an array of beautiful, eye-catching traditional outfits and jewellery that makes for a magical wedding day concoction and a photographers' delight. 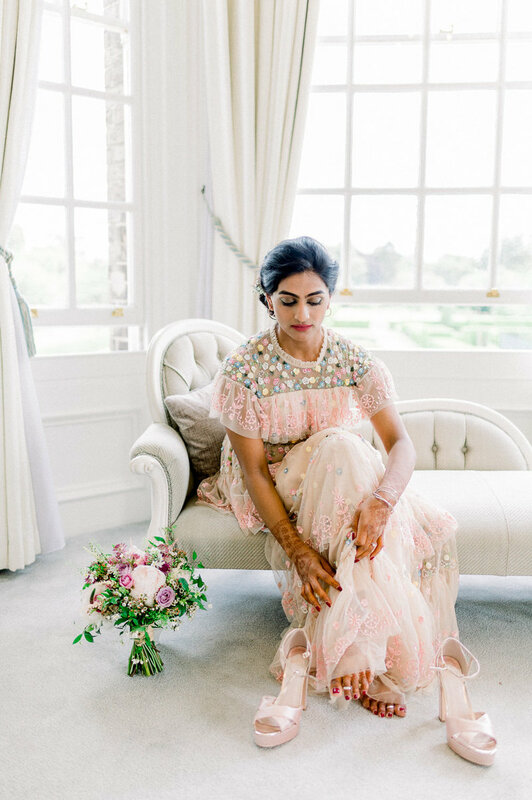 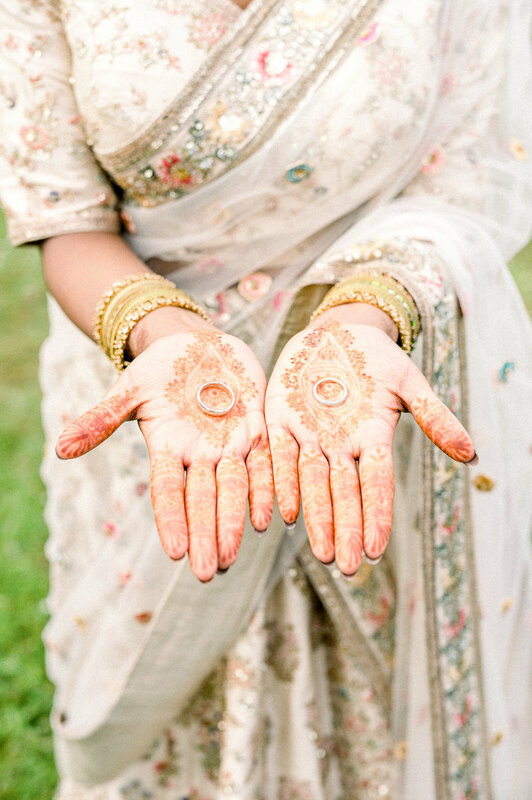 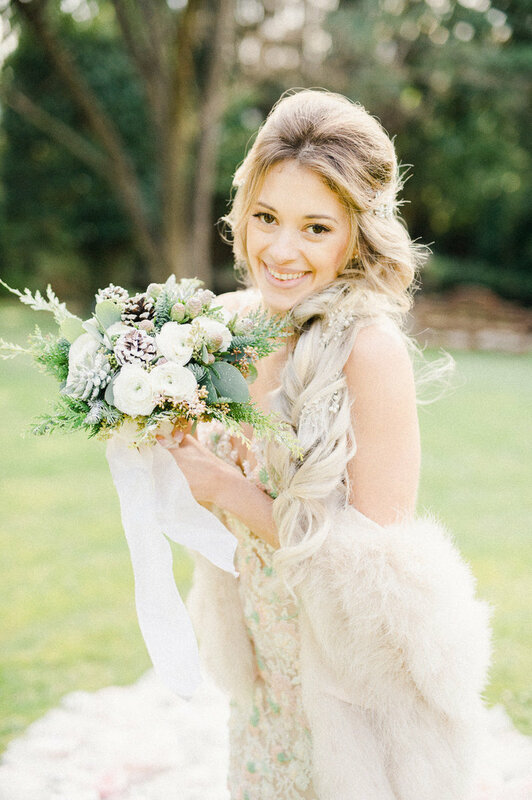 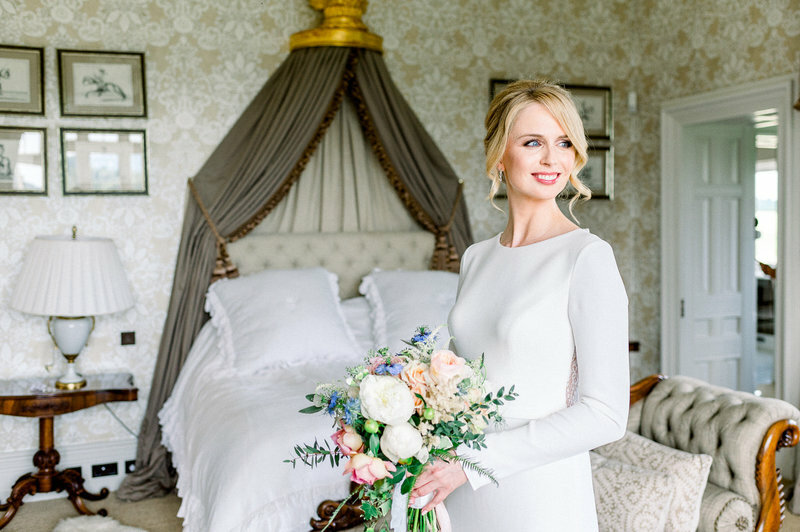 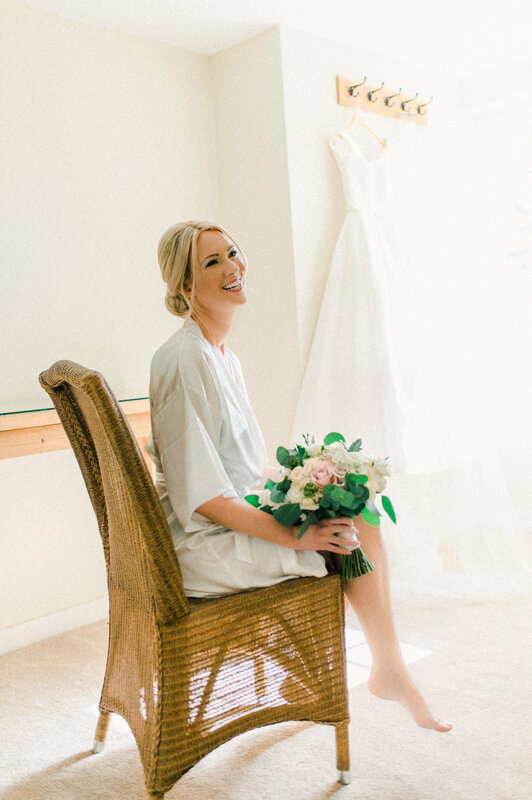 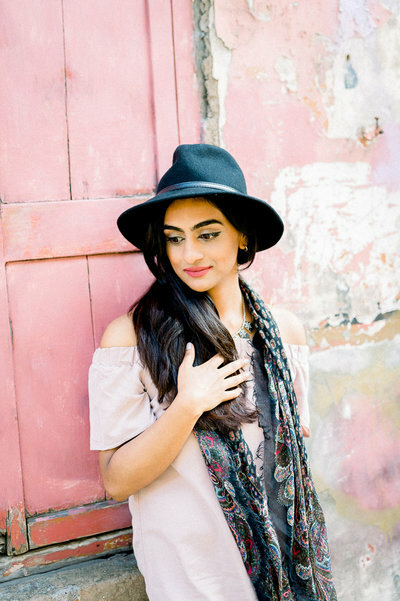 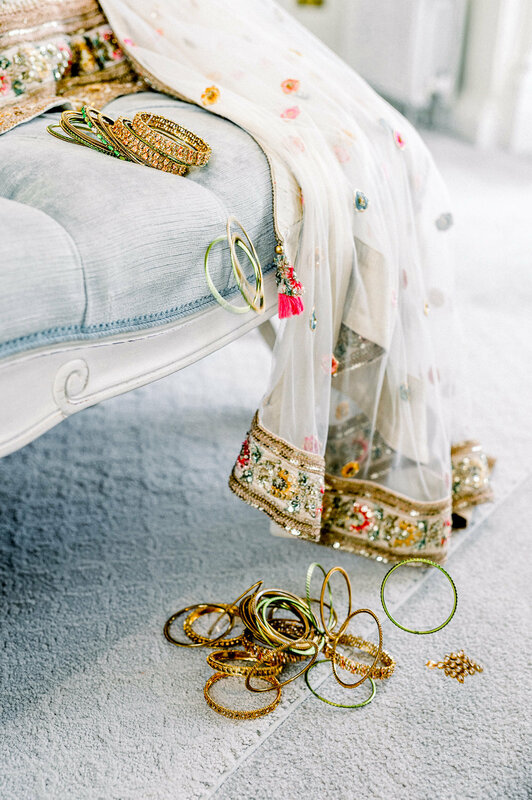 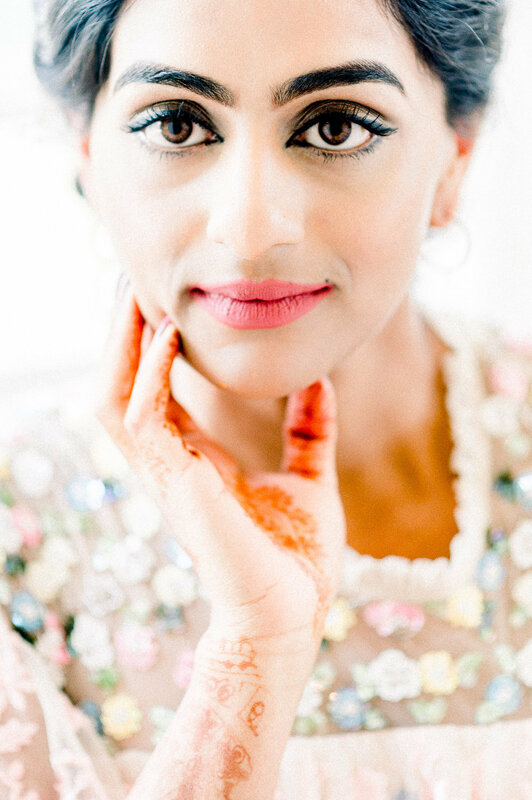 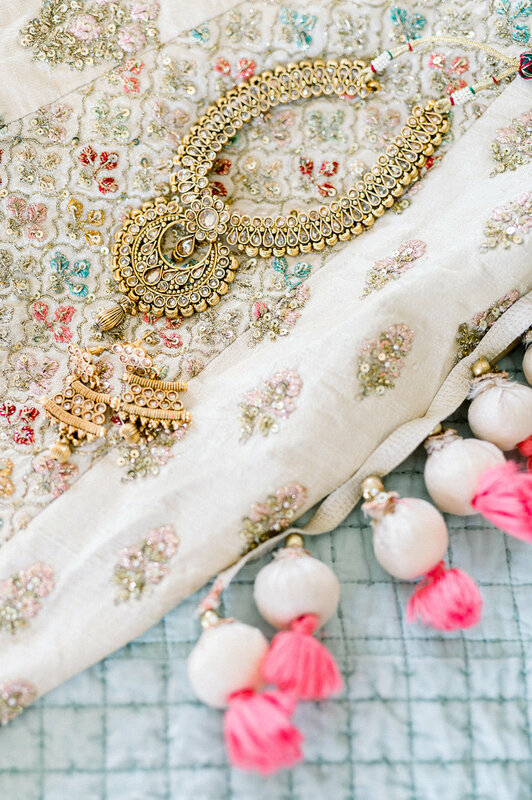 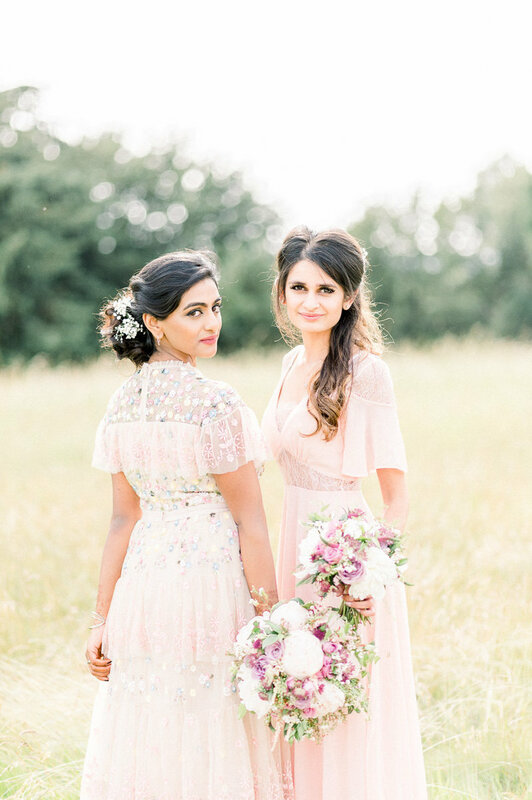 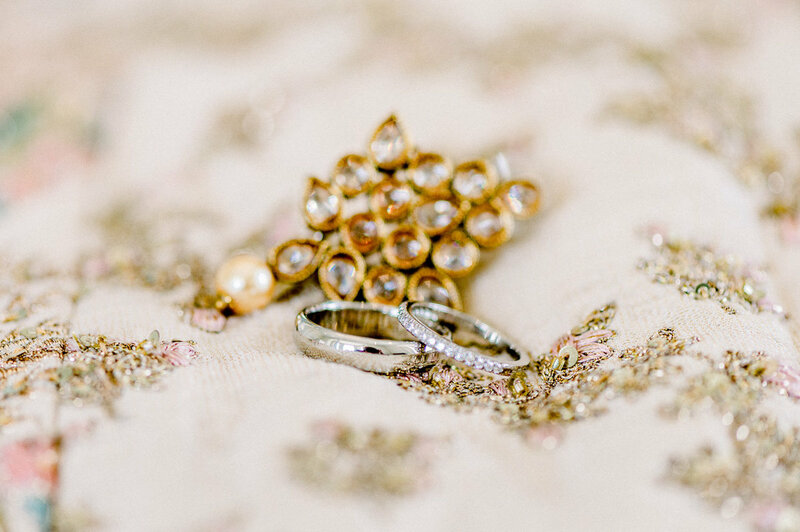 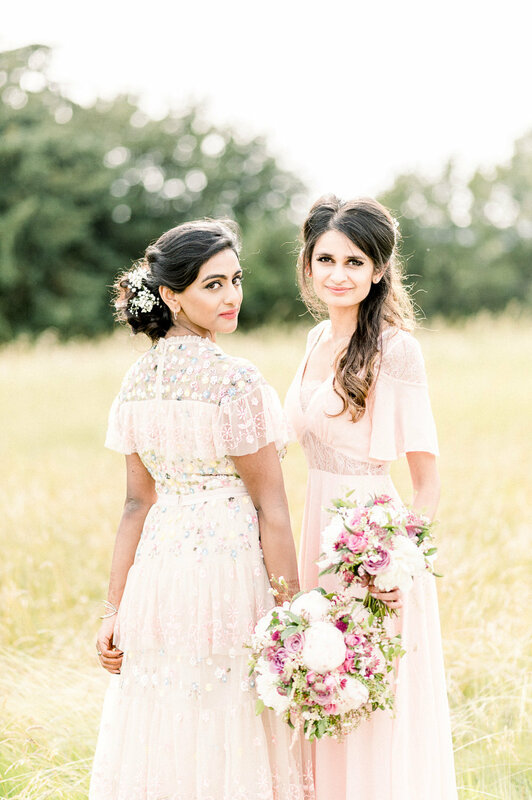 I love the beautifully soft and romantic look of Abbey's wedding outfits and the light, flowing fabrics and ornate design details of her gowns which mix the elegance and artistry of Indian bridal fashion with a modern Western twist. 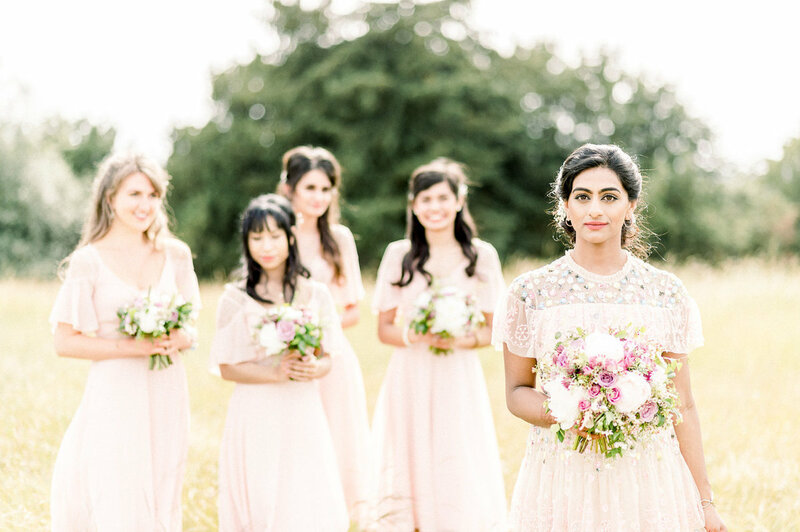 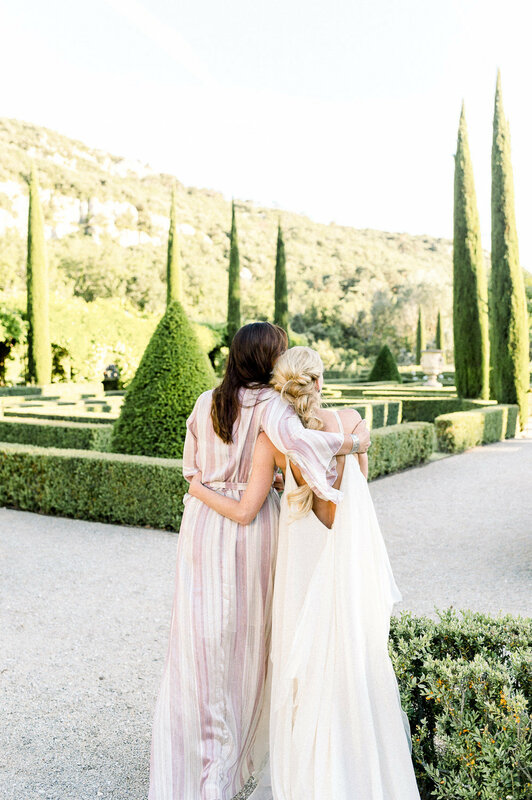 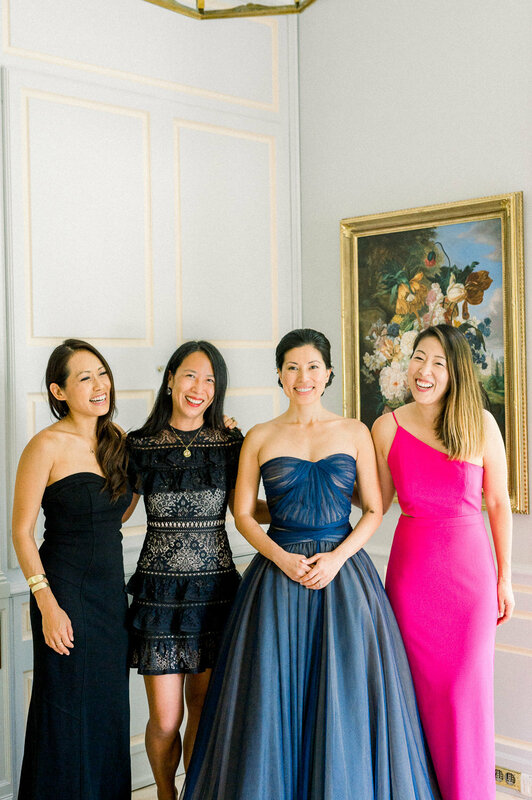 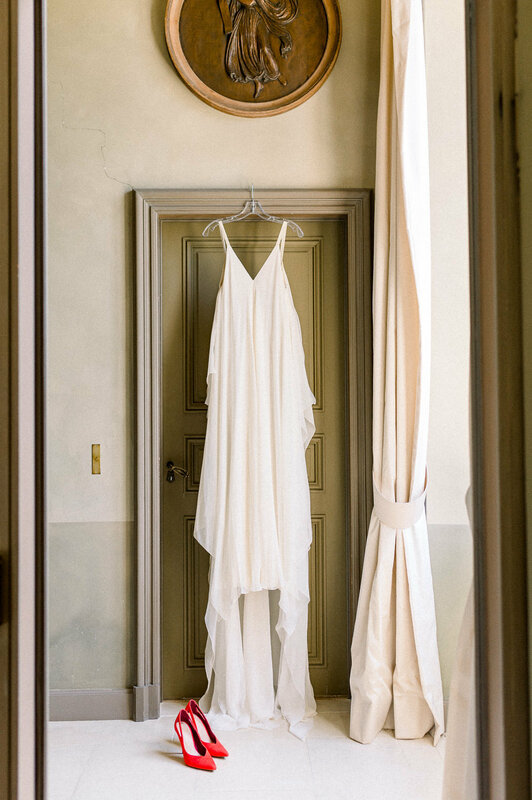 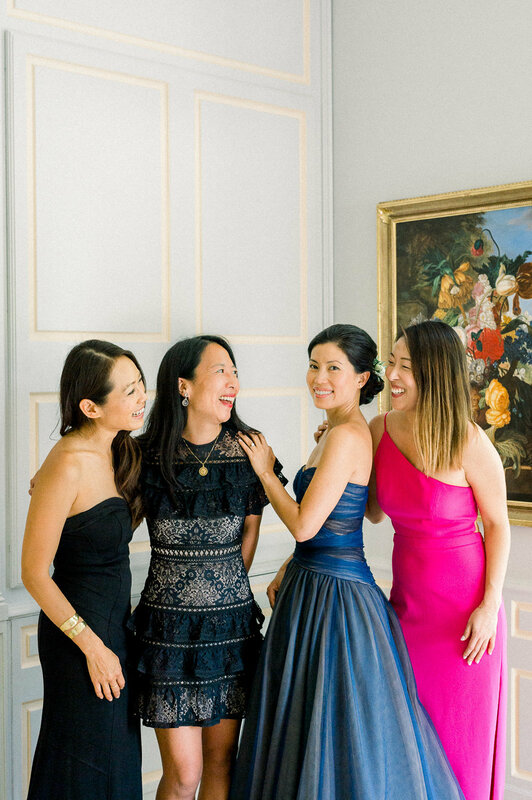 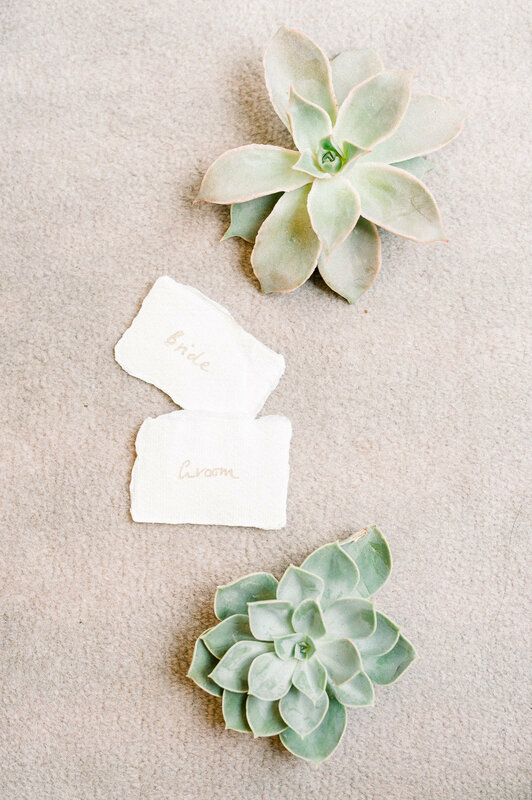 I'd say there'd even a little touch of vintage too in the delicate flow of the bridesmaids' dresses. 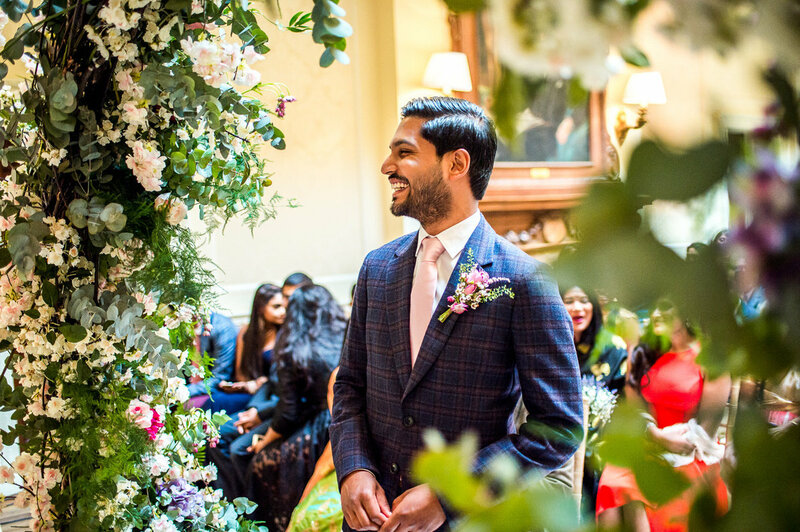 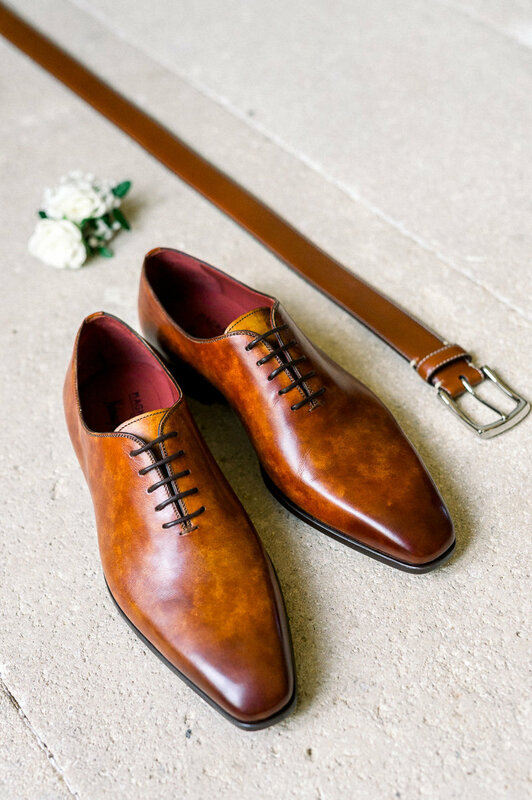 Walking down the aisle in style is not just reserved for the bride of course and Rahul would certainly win the Best Dressed Groom in my books with his dapper good looks, impeccable sense of fashion and love of exquisite tailoring. 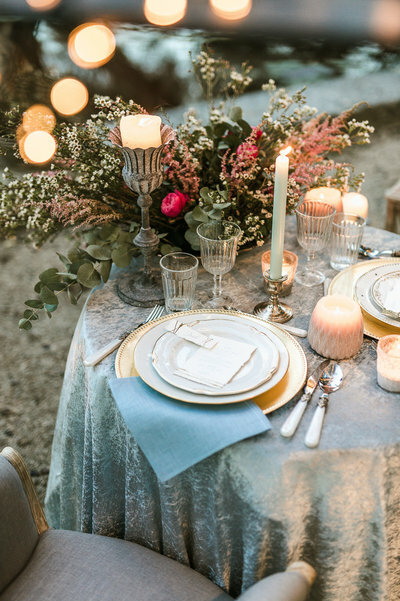 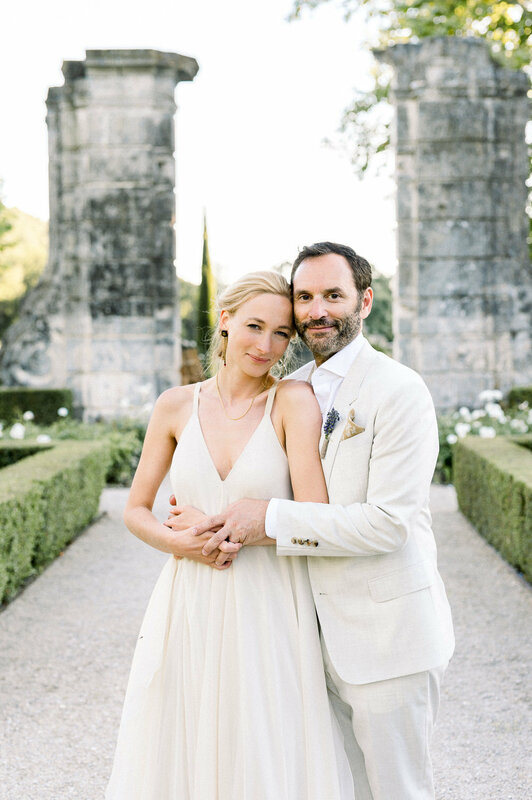 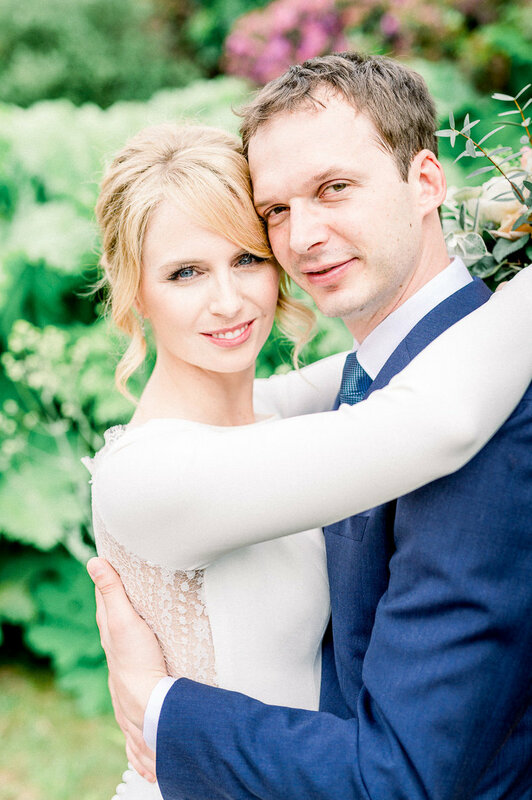 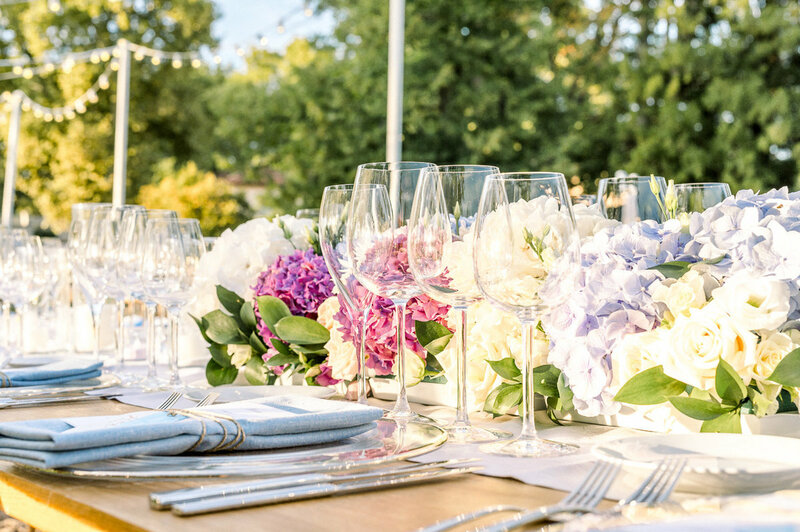 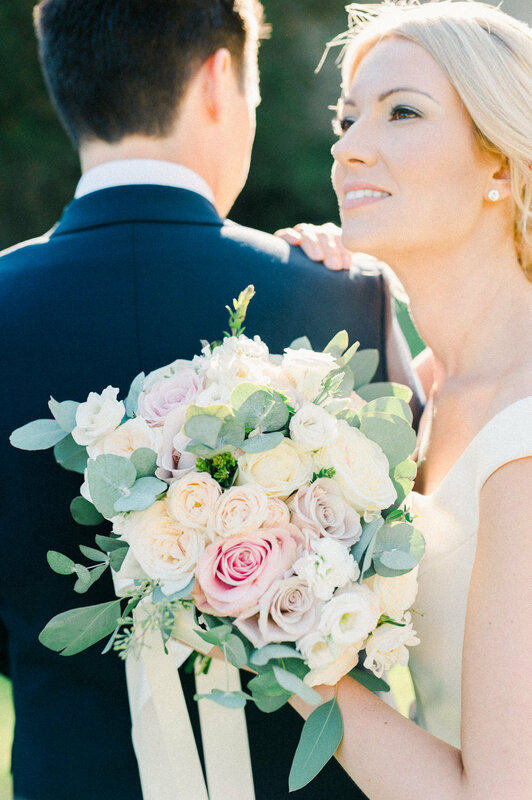 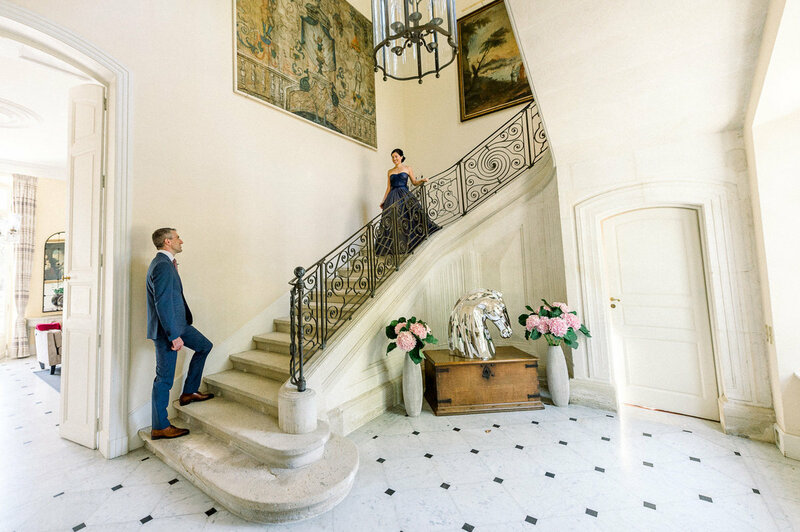 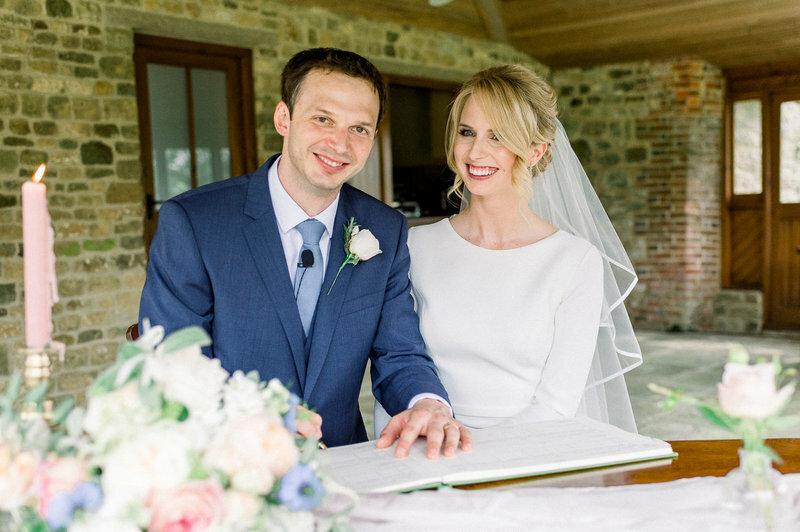 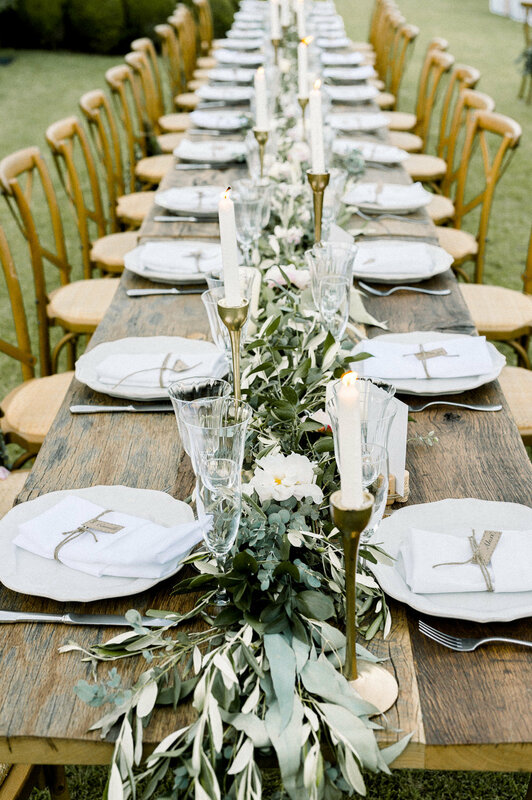 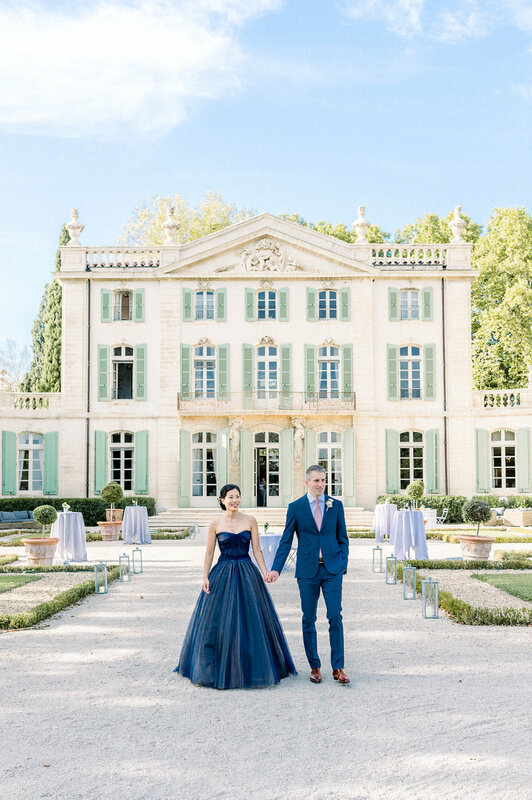 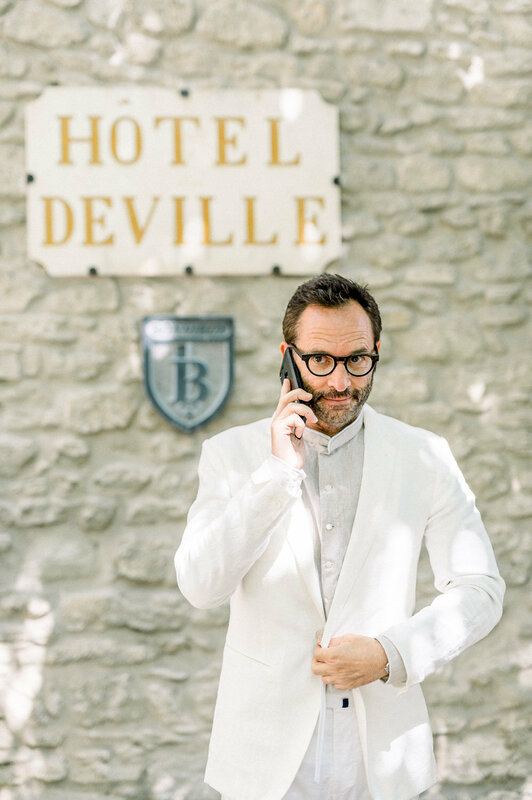 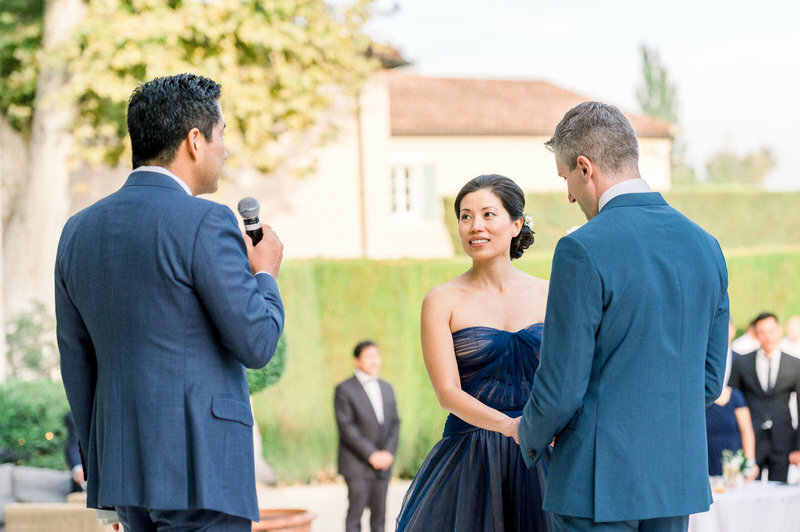 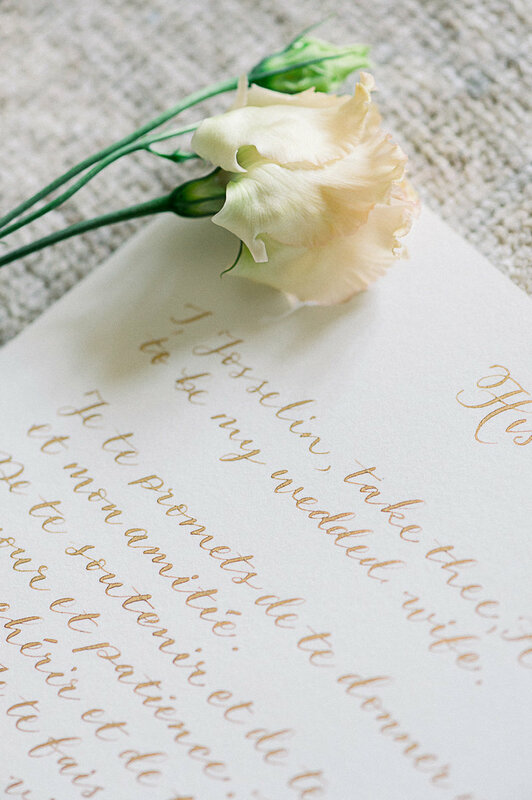 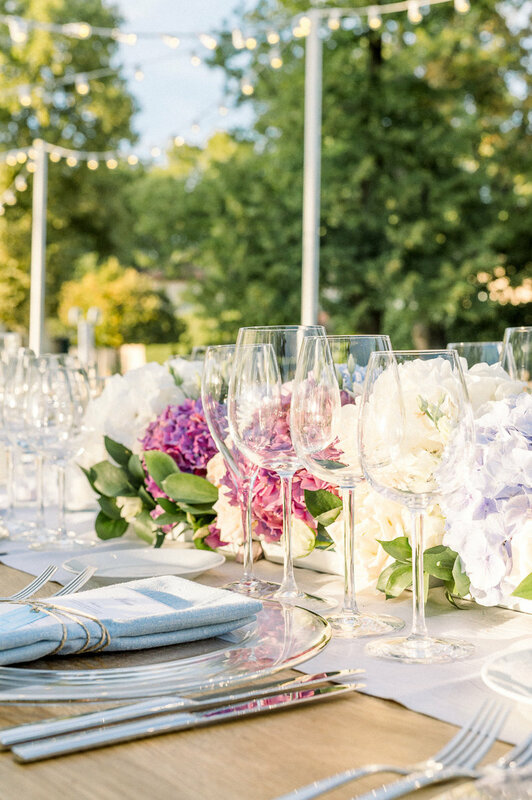 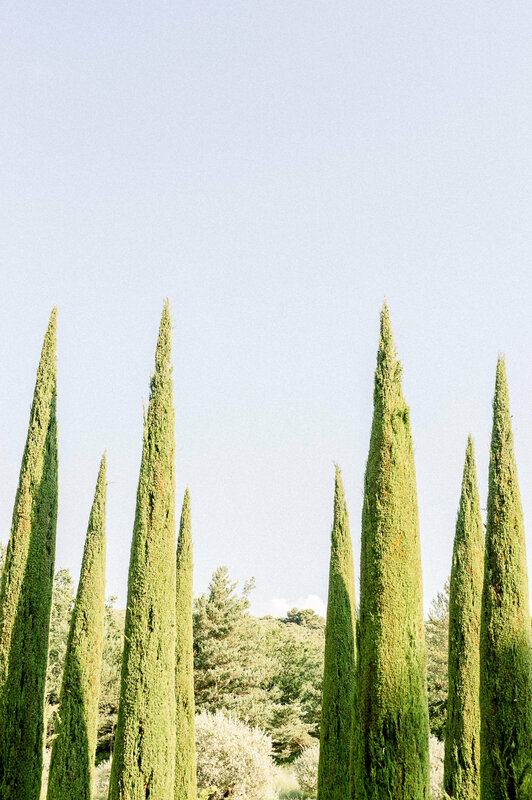 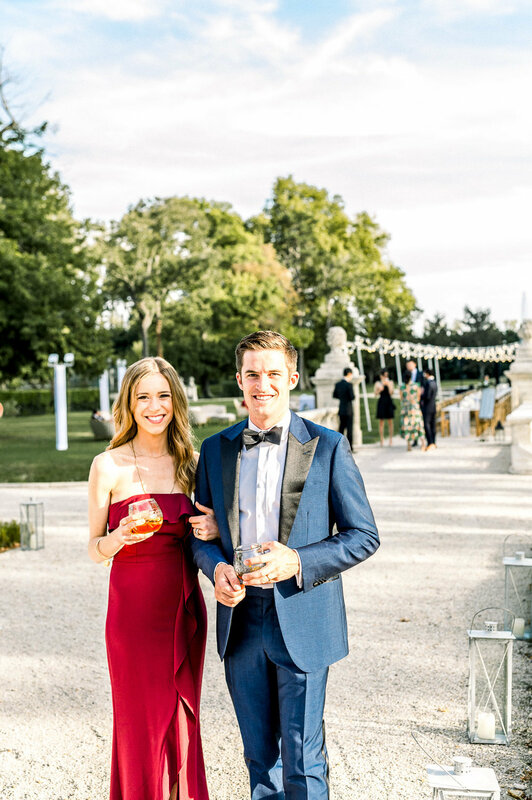 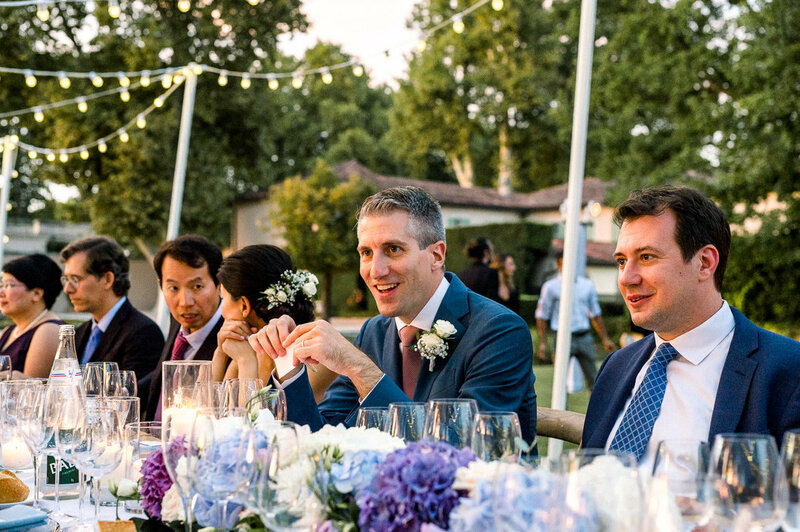 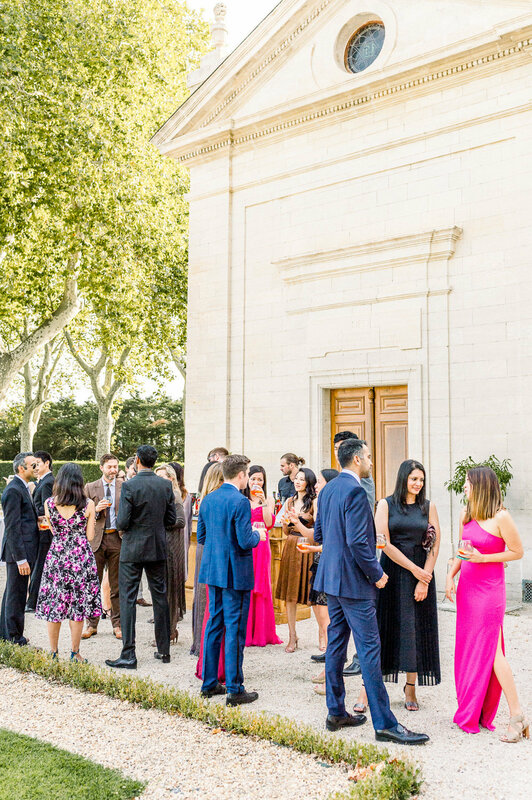 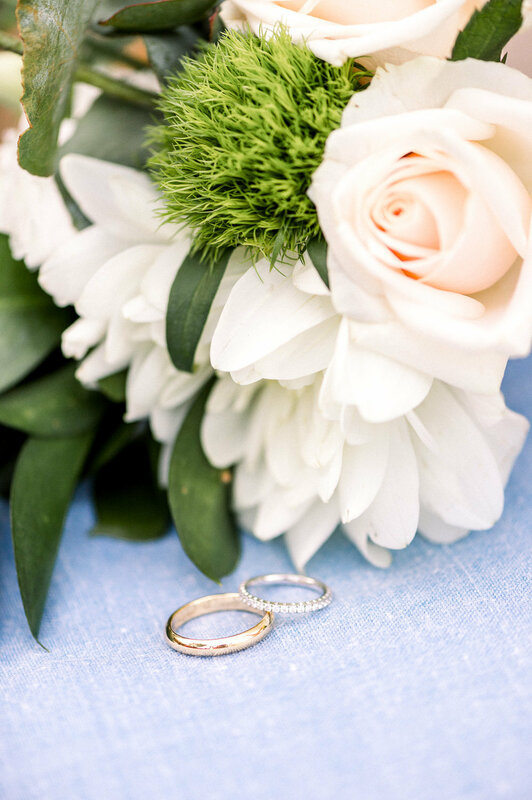 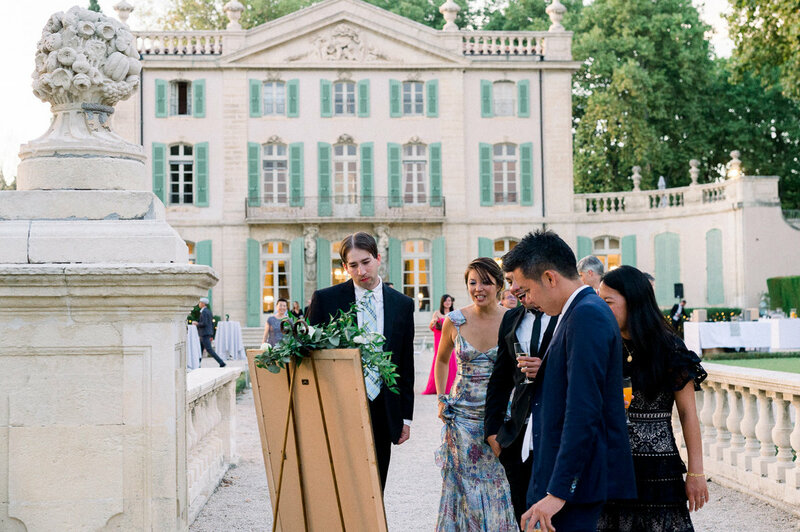 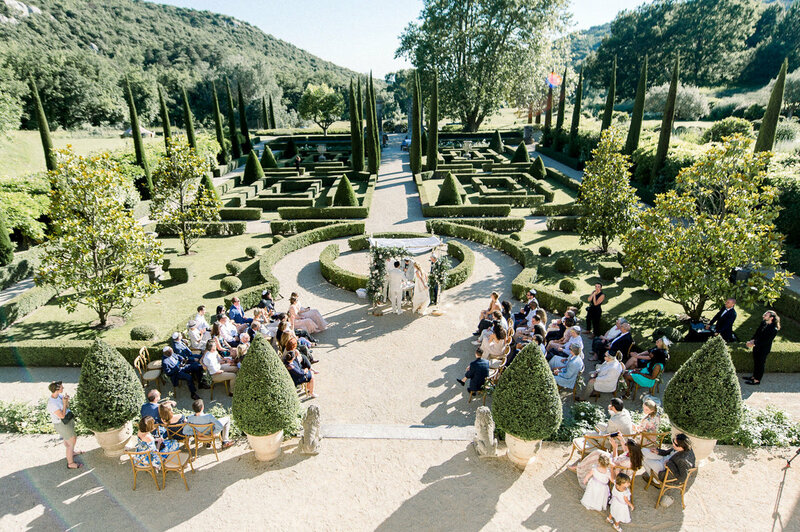 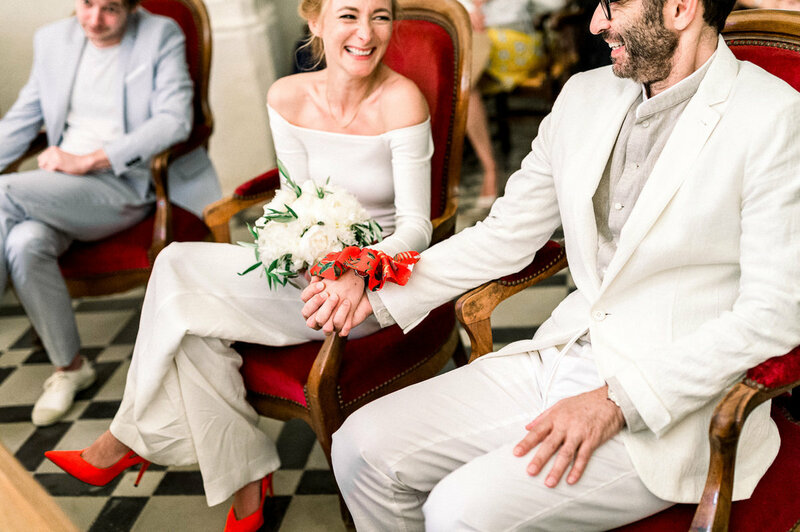 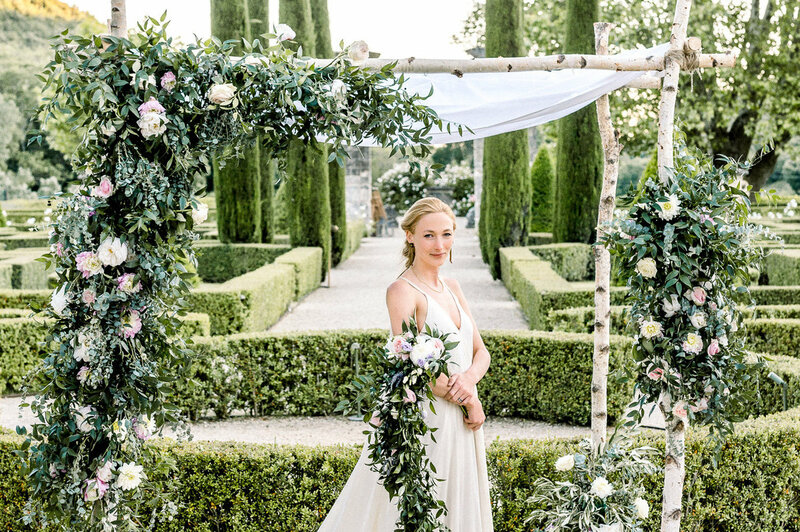 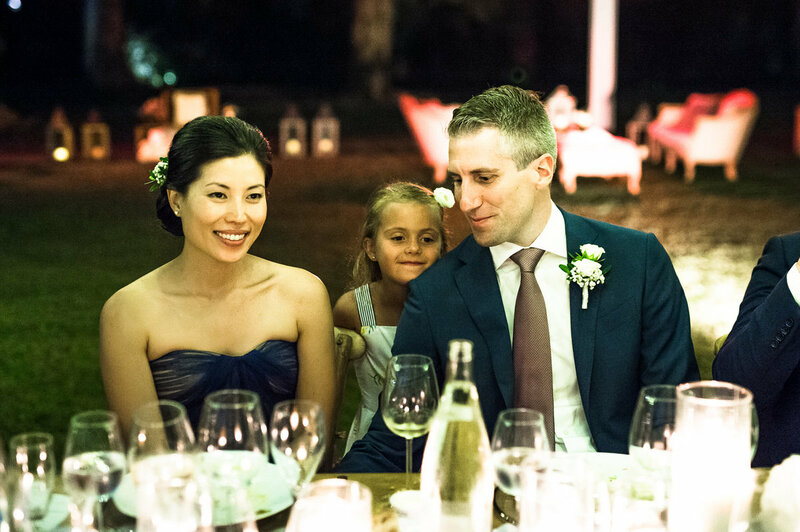 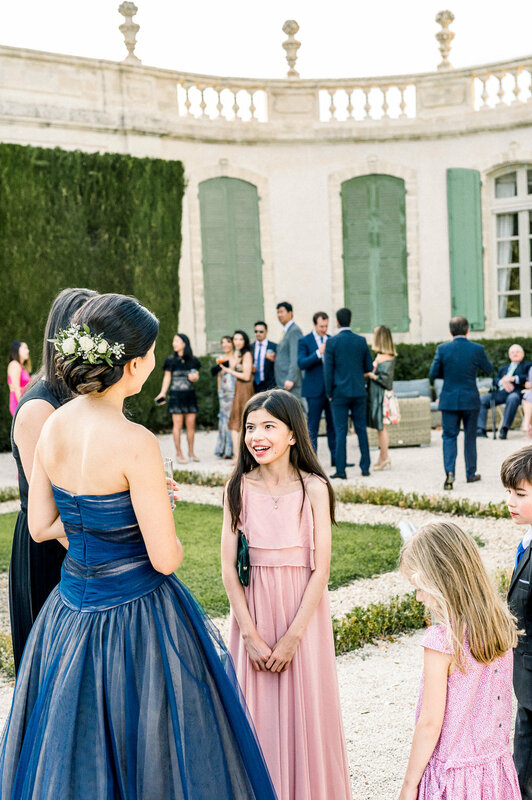 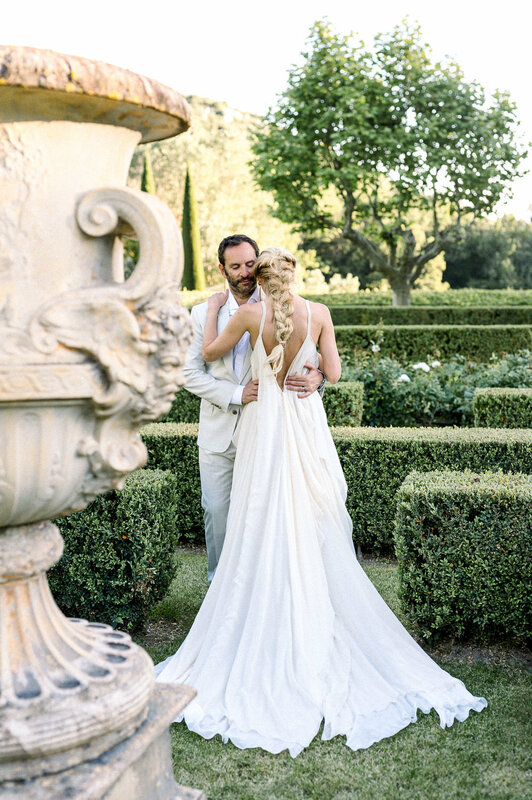 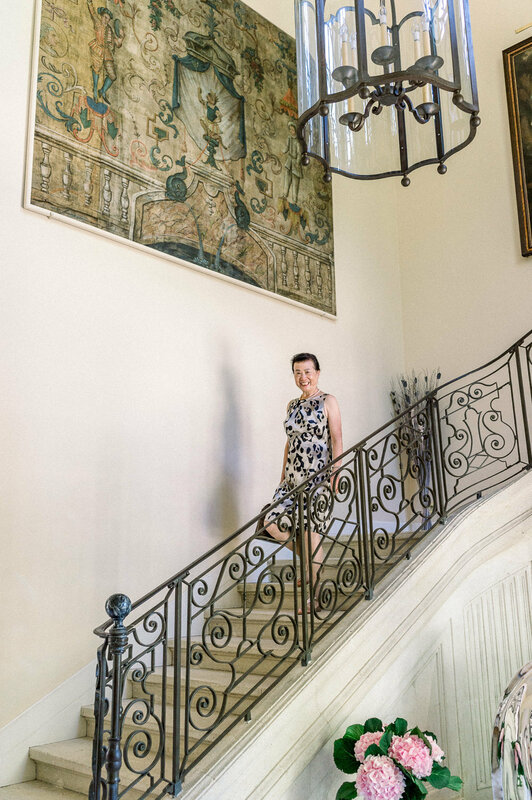 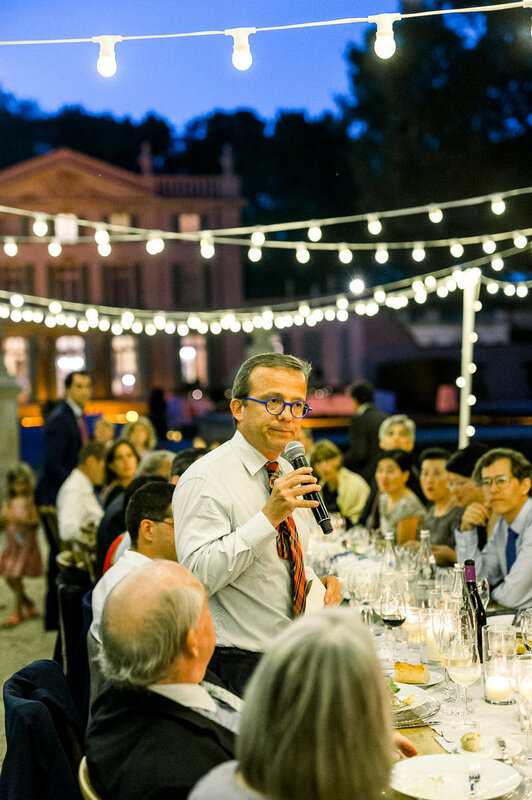 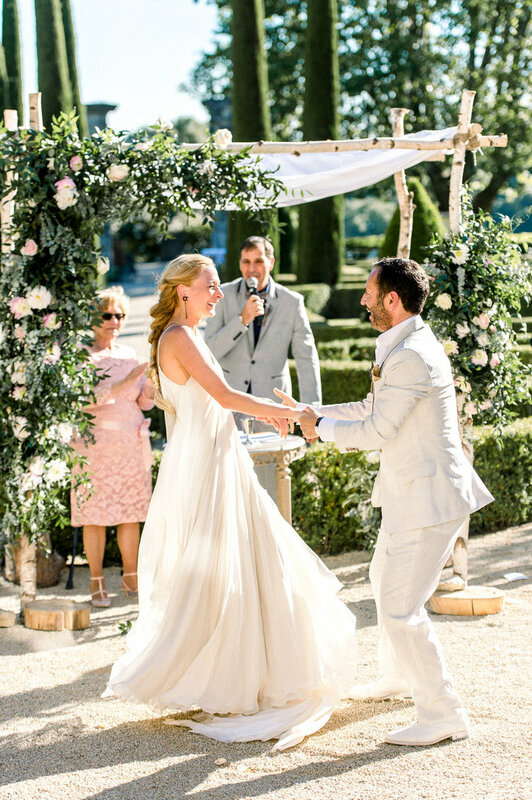 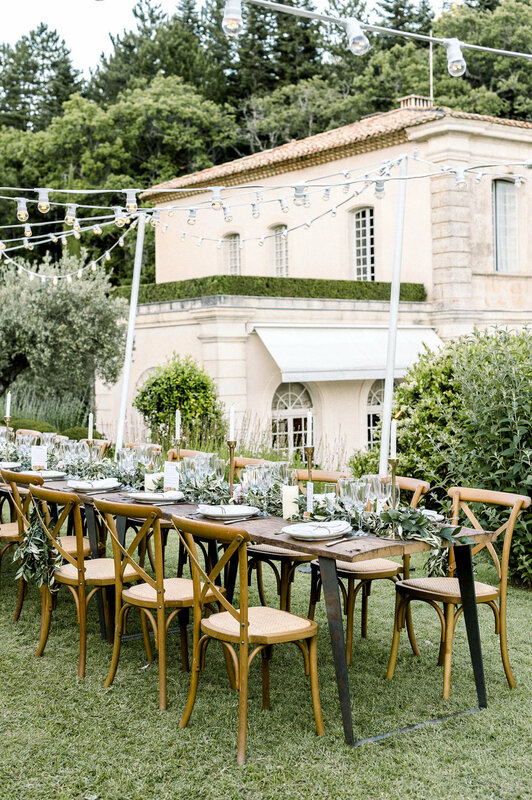 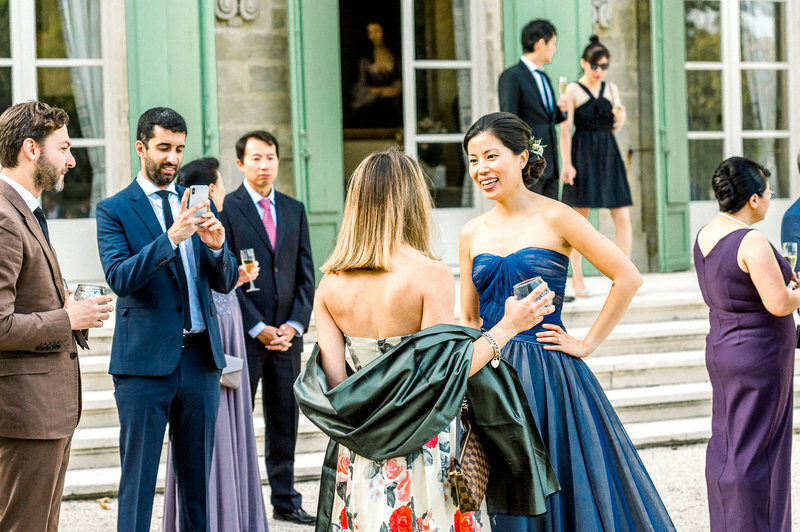 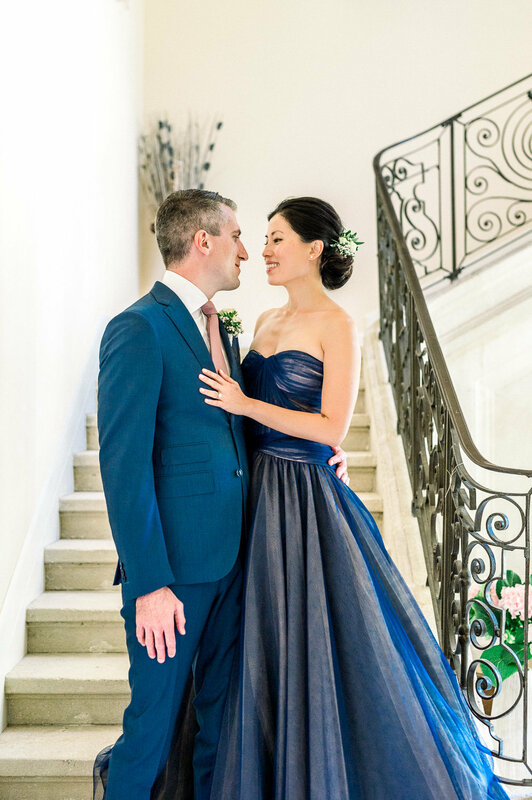 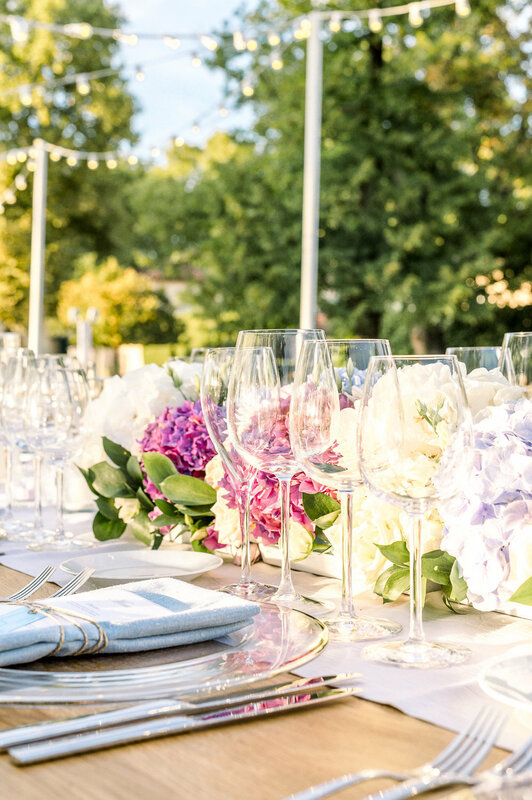 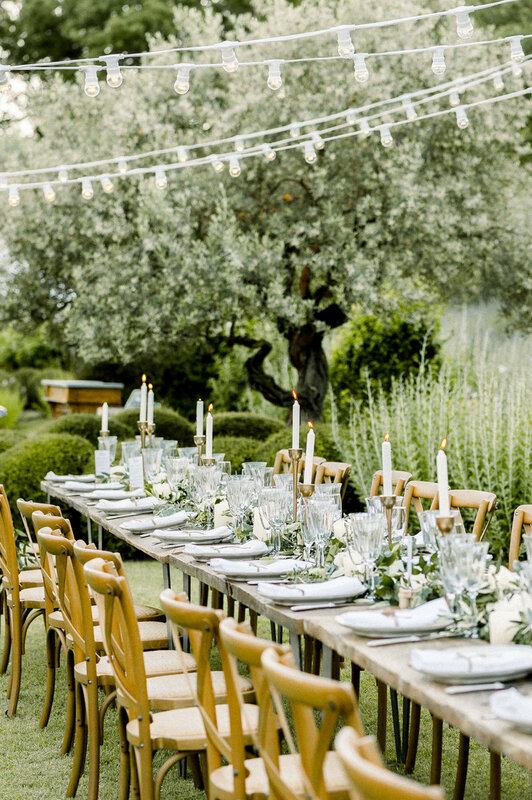 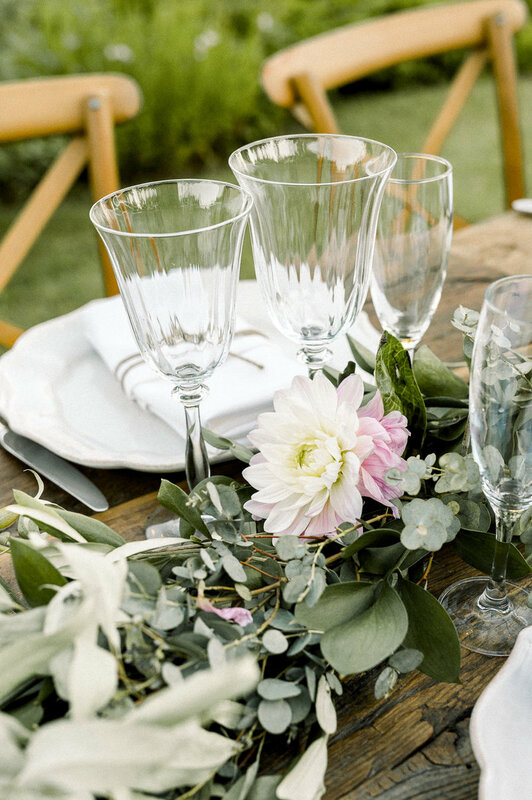 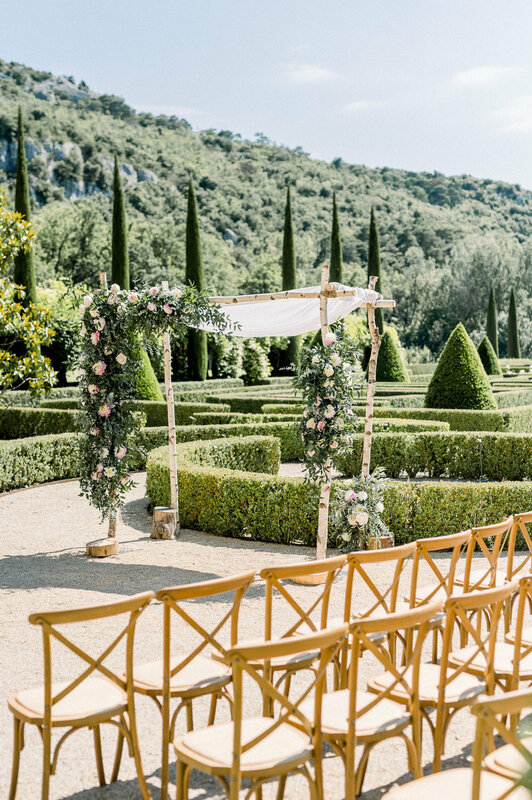 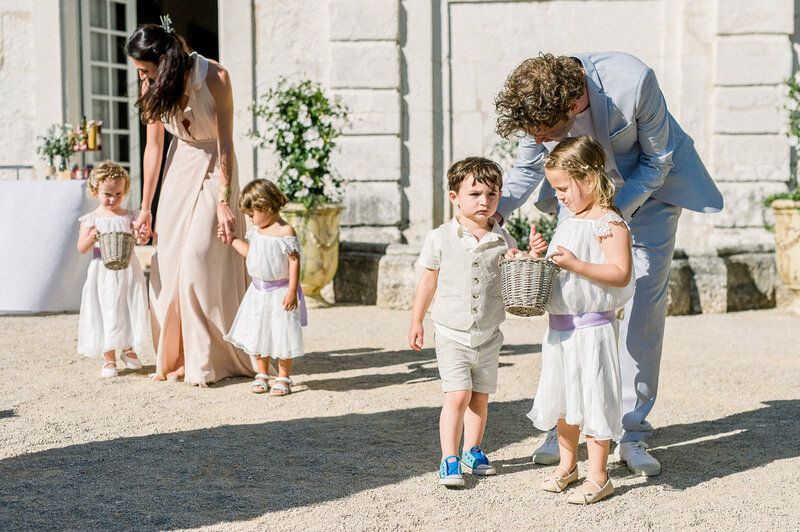 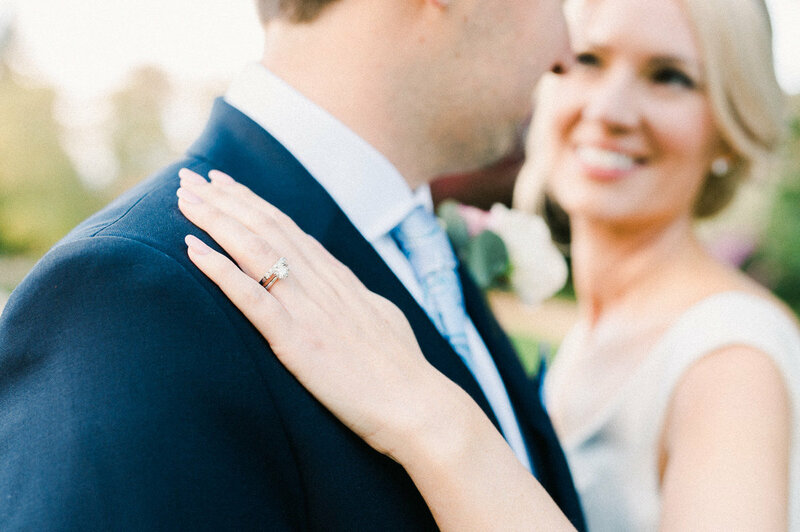 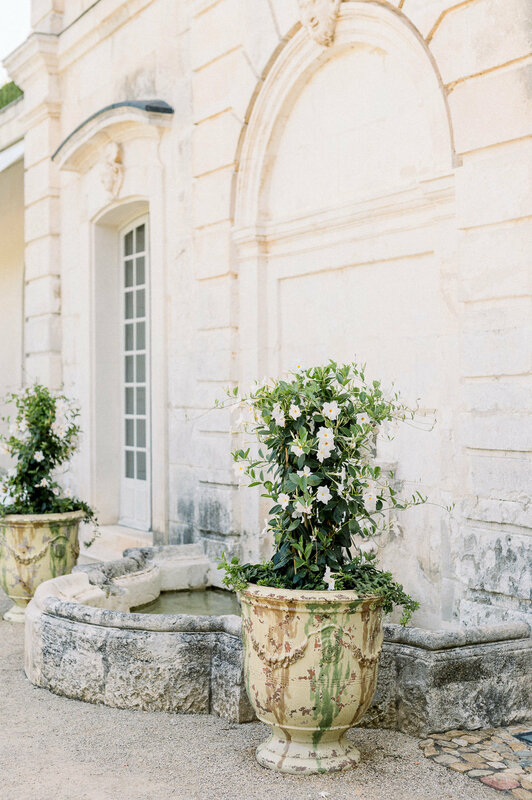 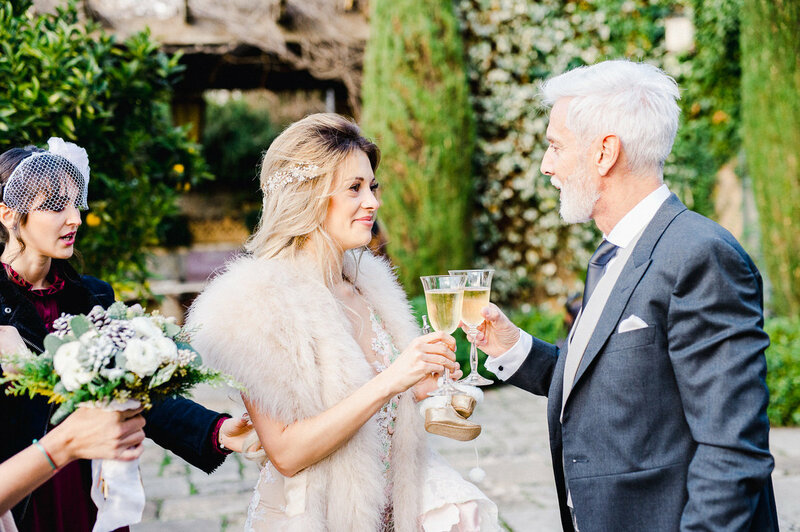 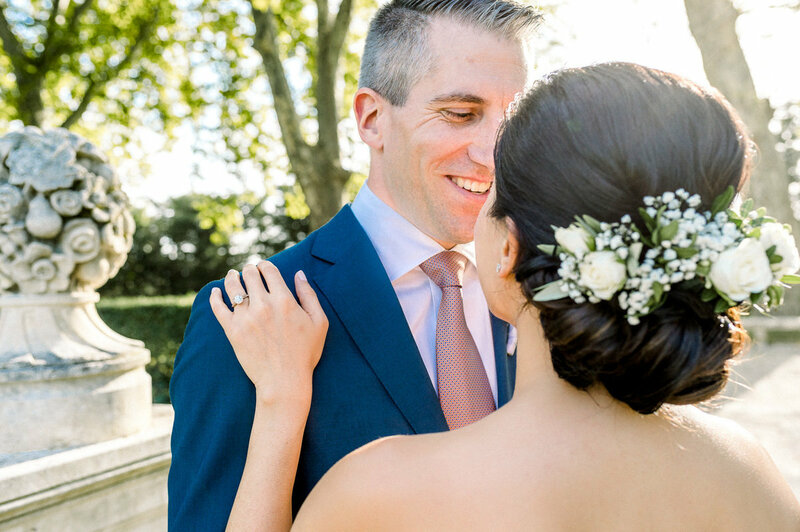 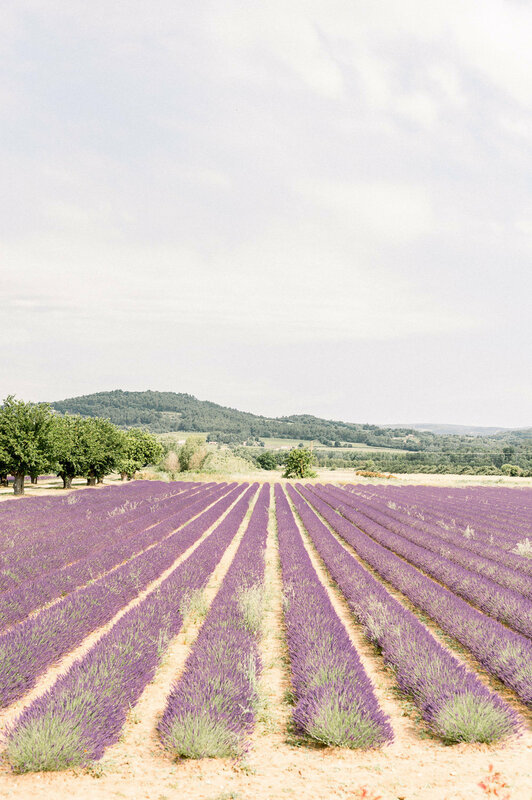 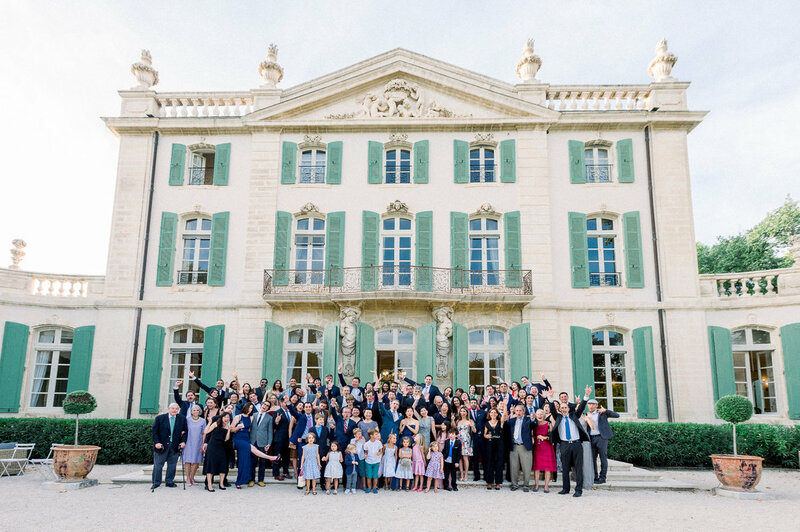 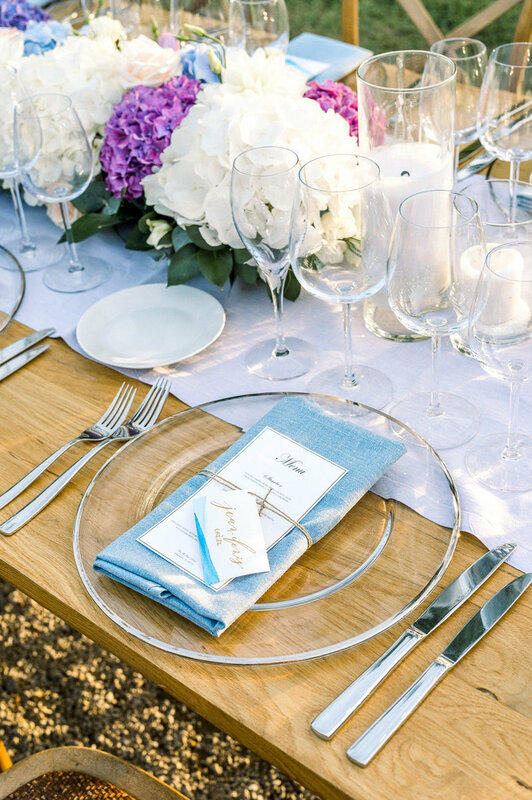 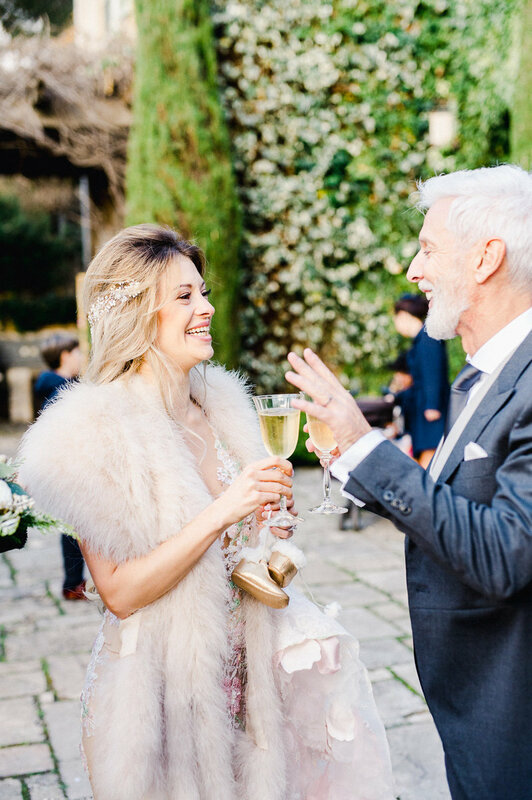 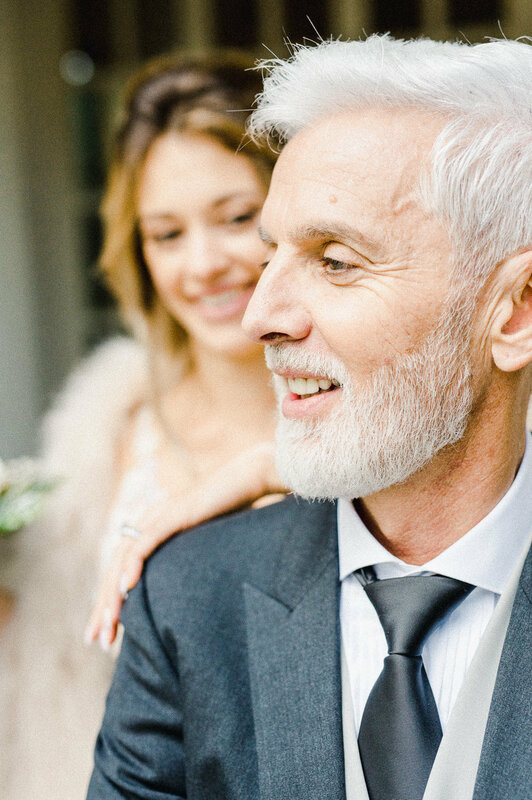 Léa and Marc live in America and chose a destination wedding location in Léa’s home country of France to celebrate their union. 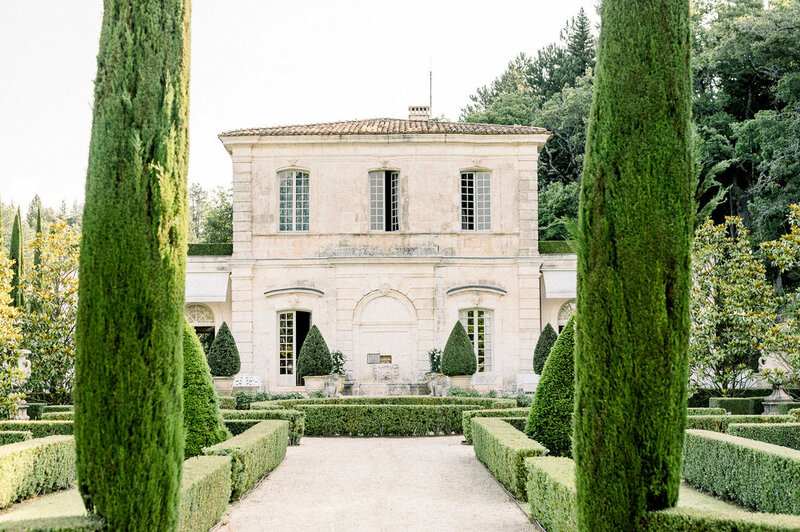 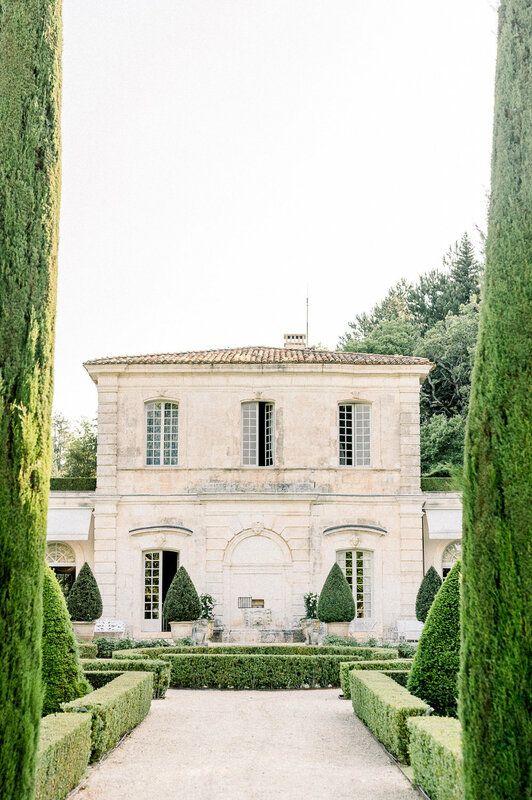 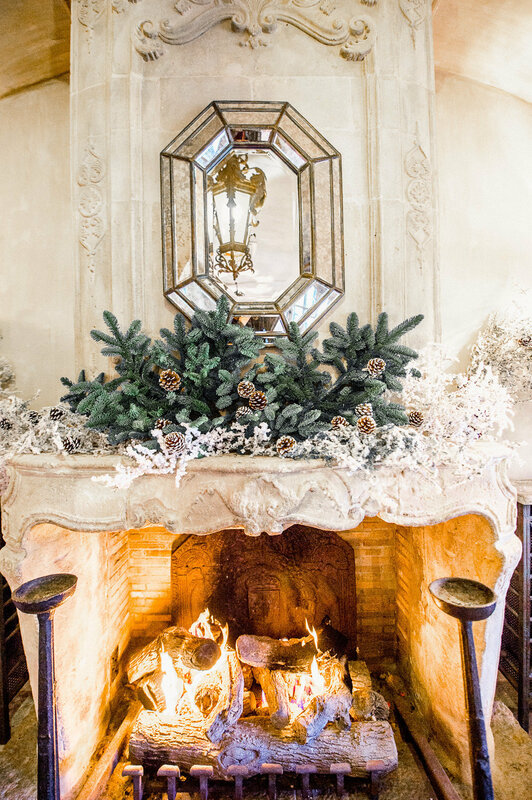 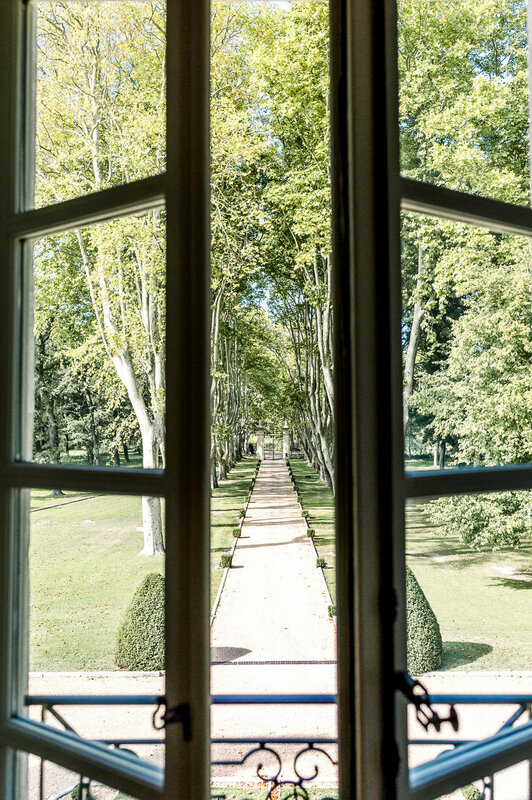 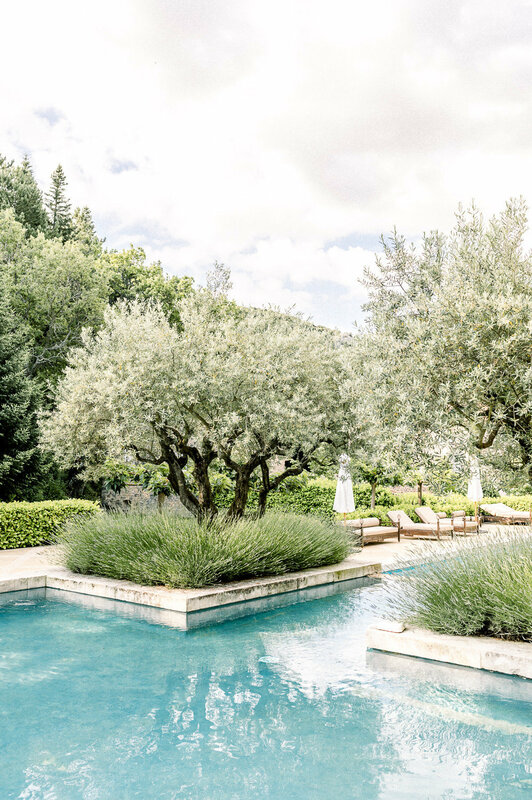 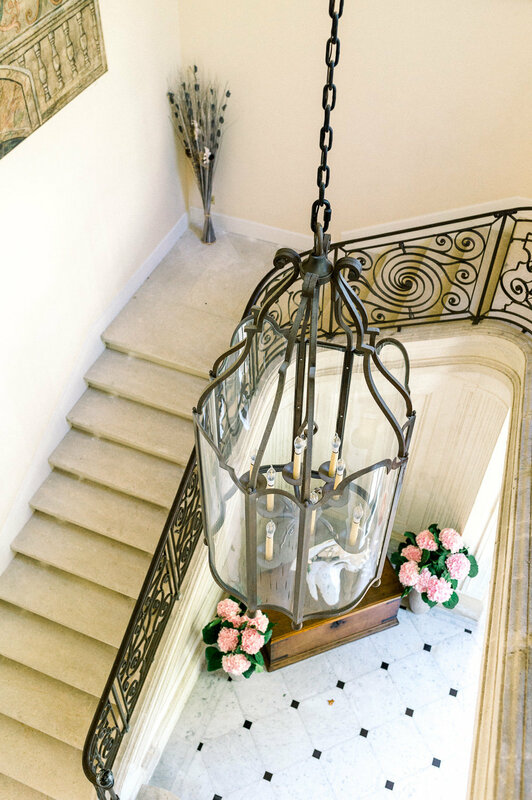 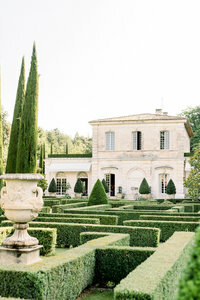 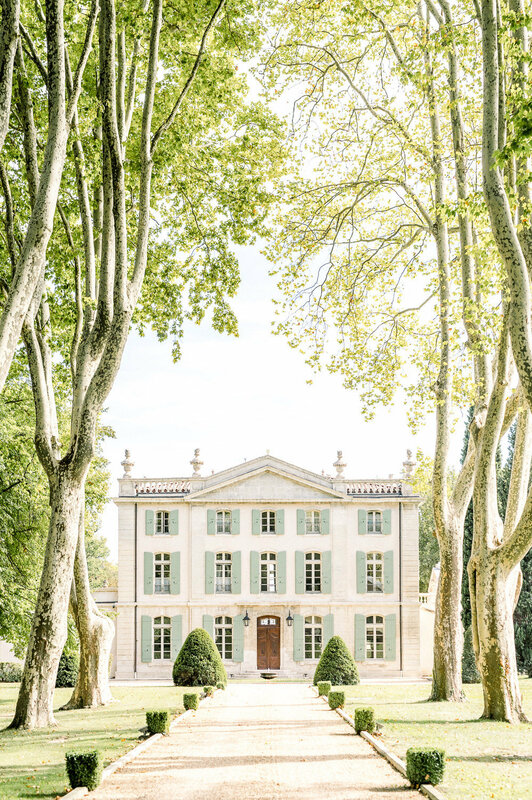 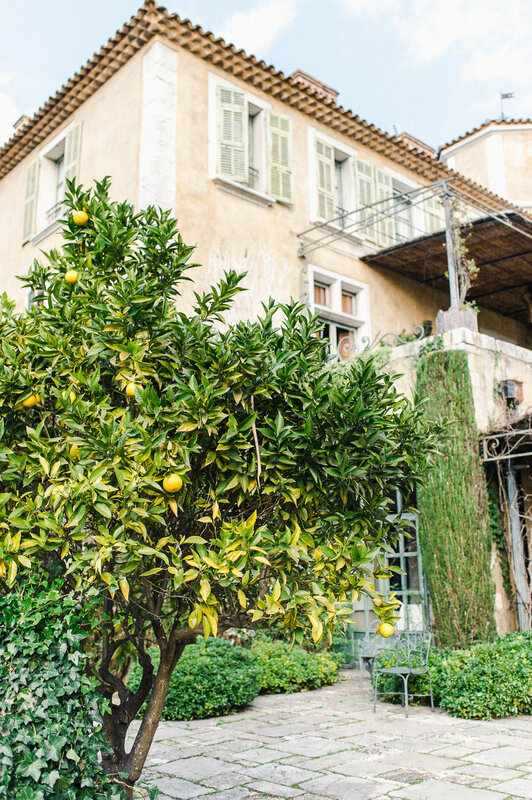 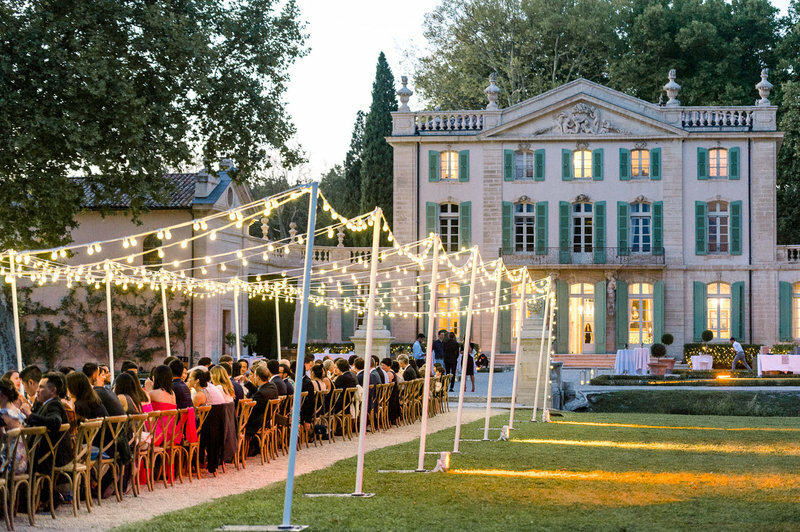 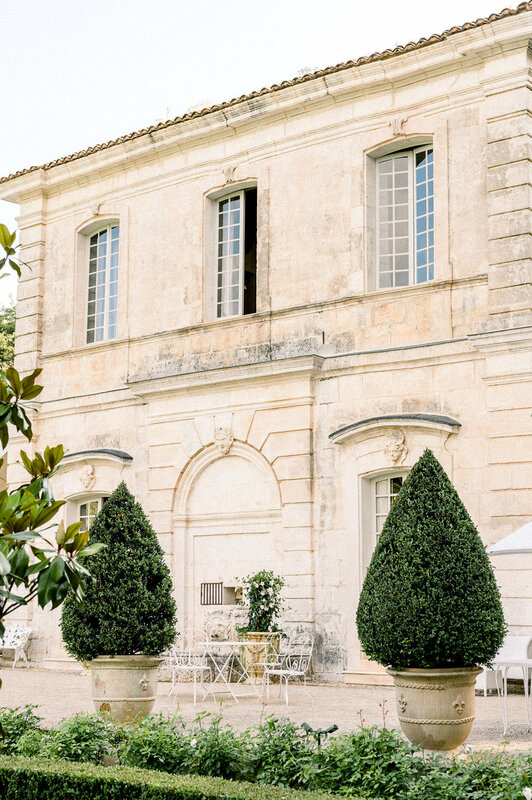 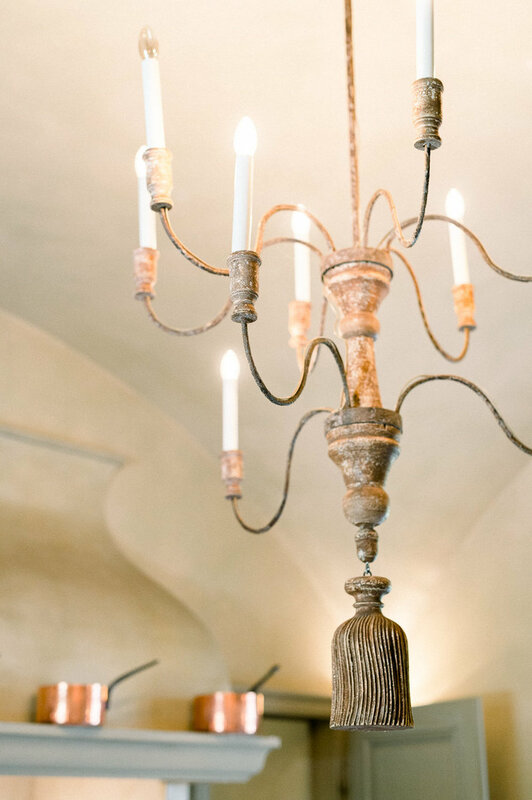 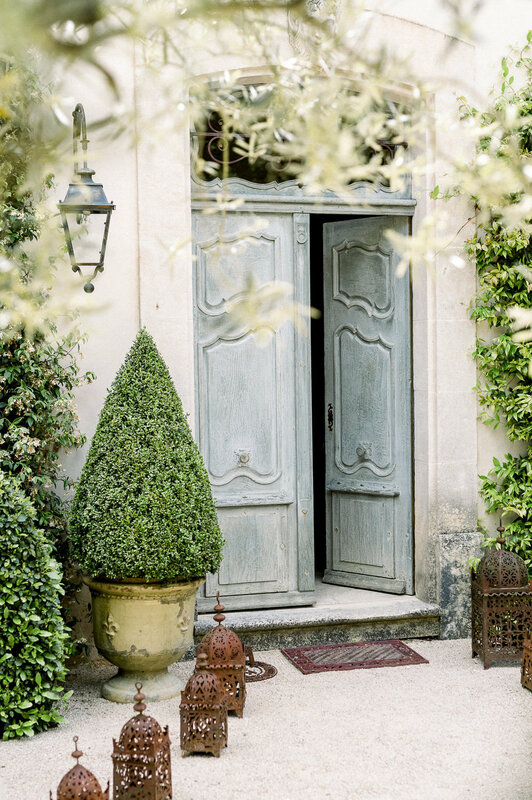 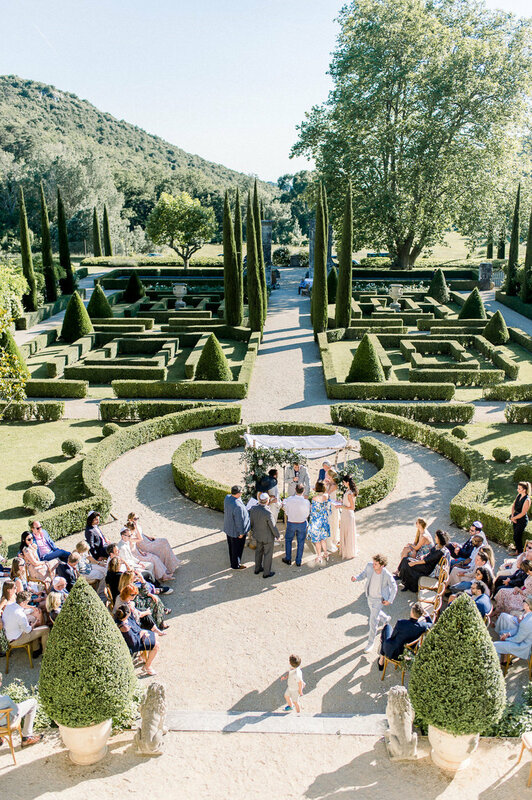 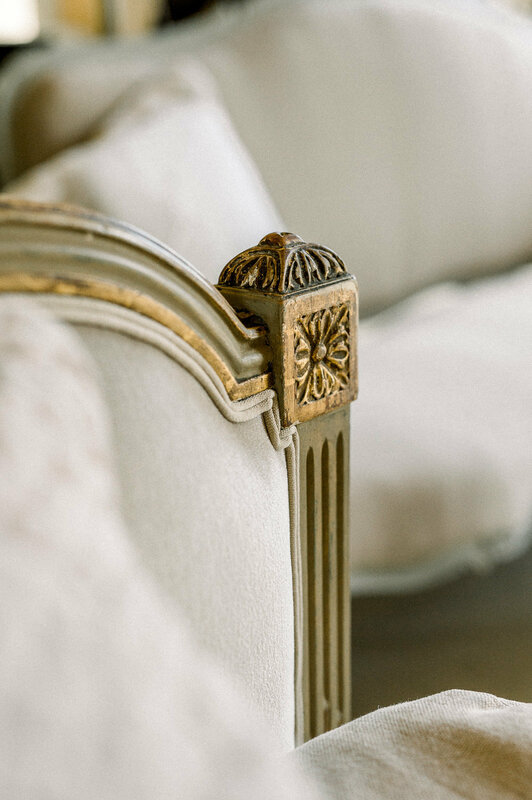 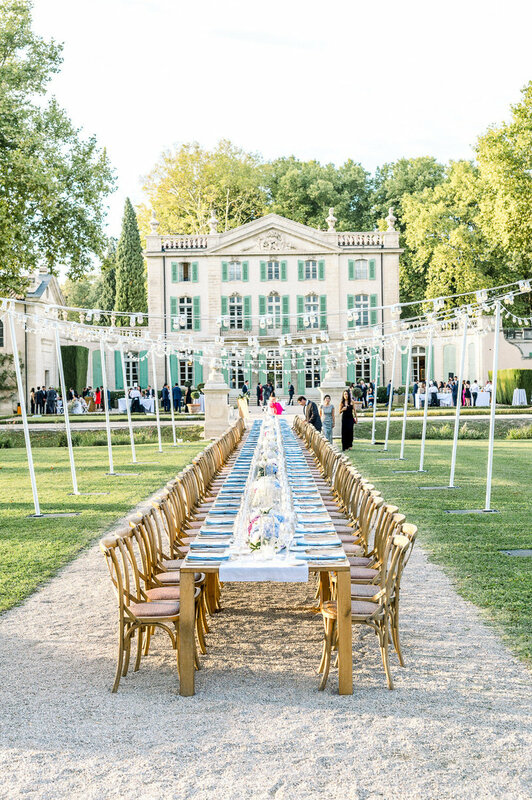 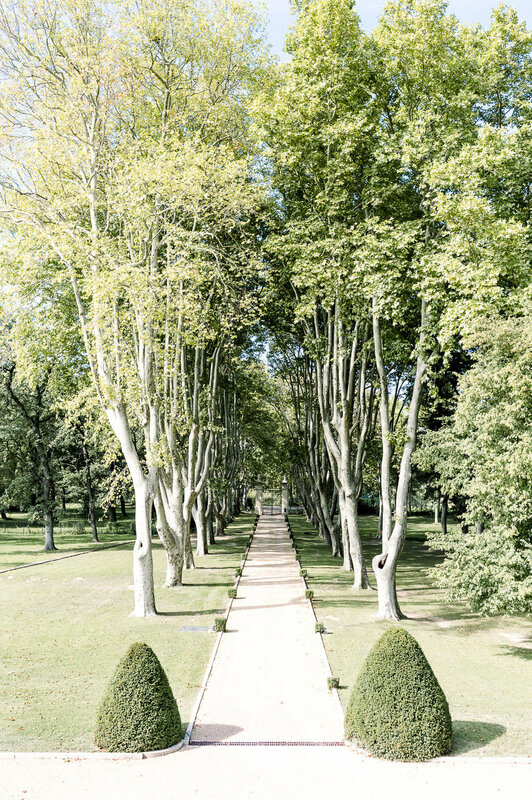 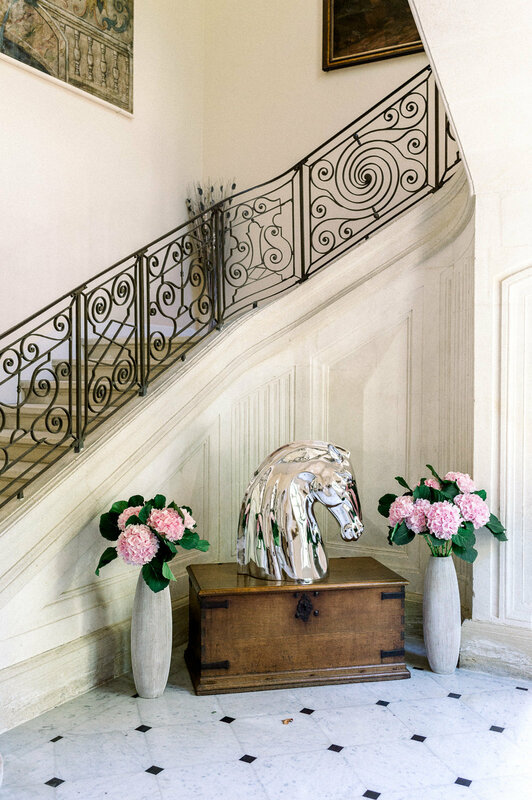 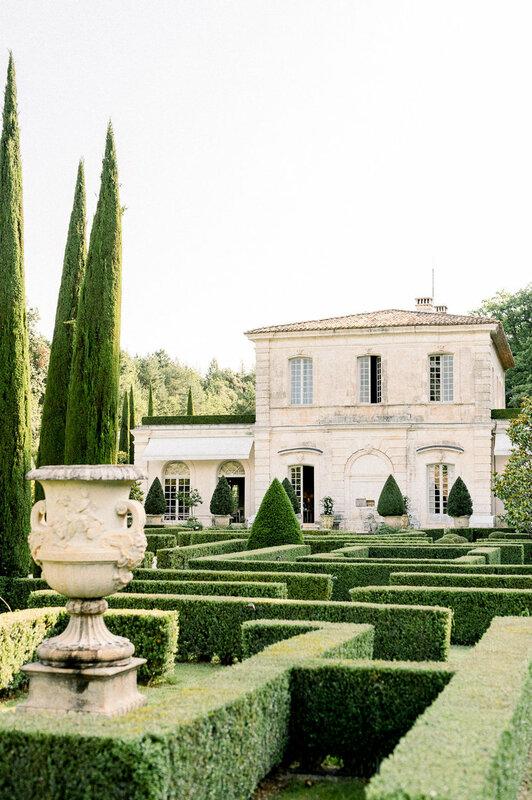 Set in the heart of Provence, this private Pavillon is an enormous, luxurious property and former 18th century hunting lodge for the local aristocracy and looks like somewhere straight out of a fairy tale. 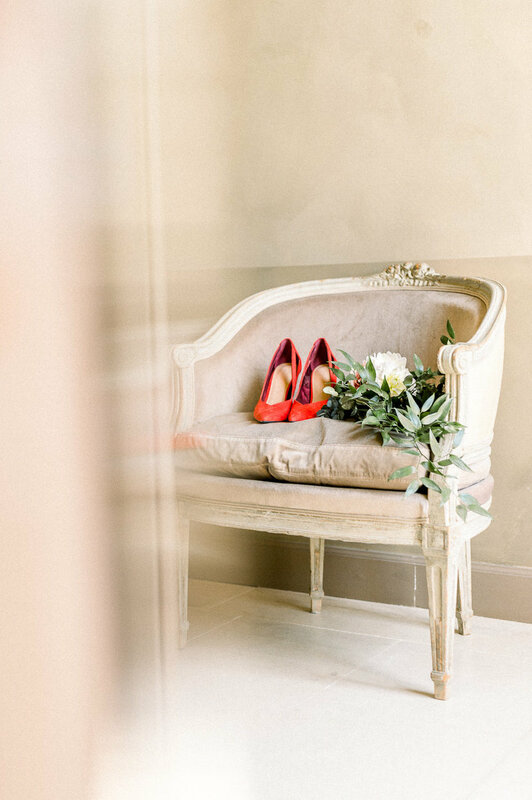 A perfect setting for a wedding of pure enchantment with an ethereal feel and coloured in a palette of greens from the lush vegetation and the light, airy tones of delicate whites and dreamy pastels from the beautiful flower arrangements, the bridal party dresses and the groom's white suit … with just a dramatic flash of colour coming from Léa’s gorgeous red shoes! 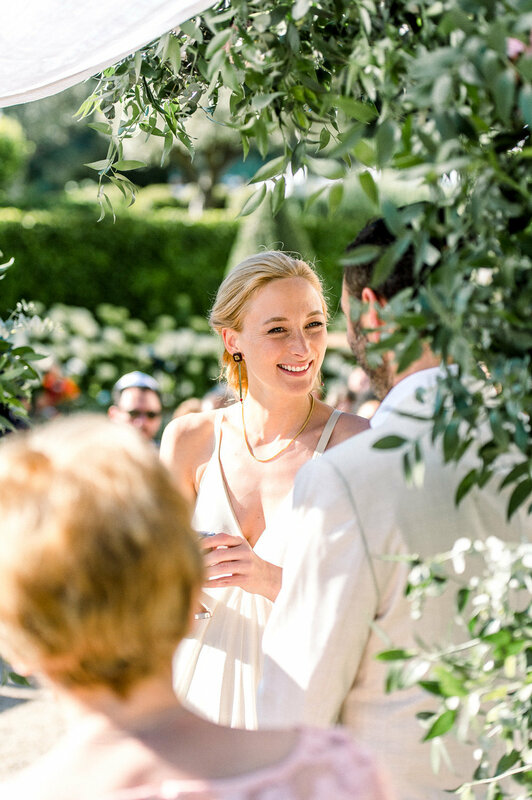 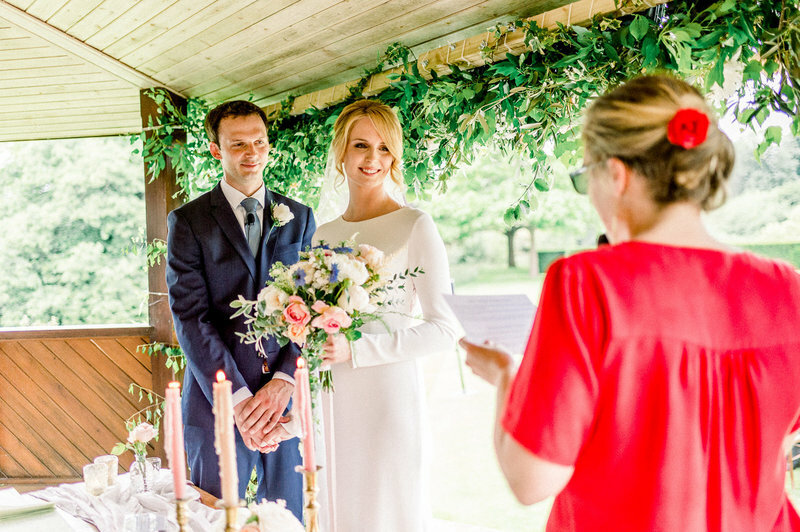 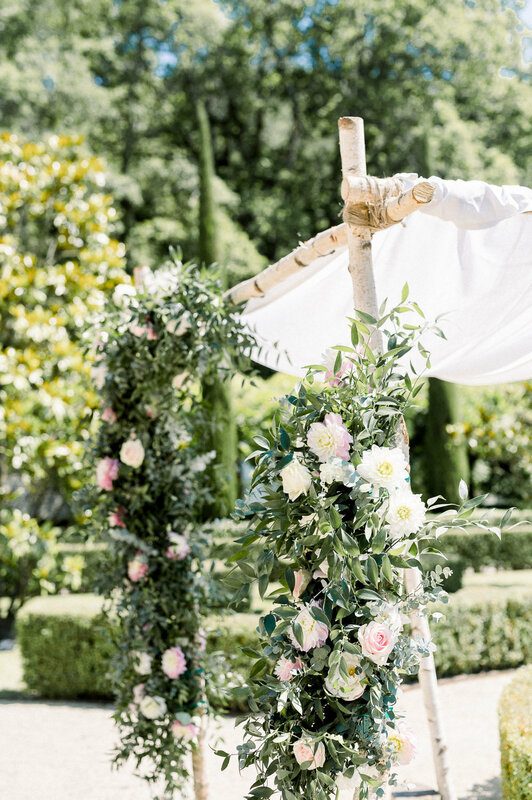 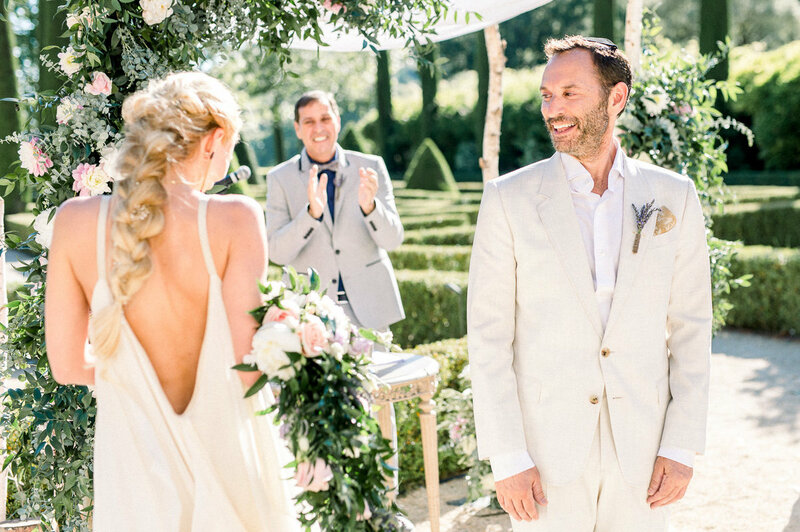 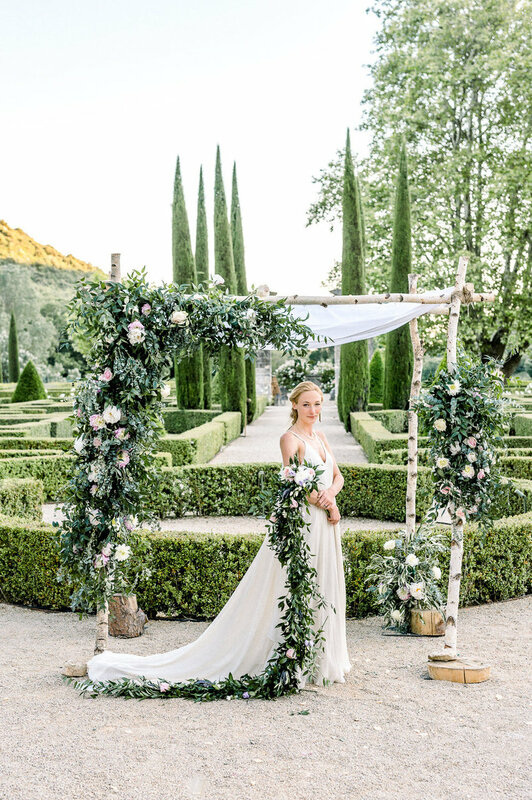 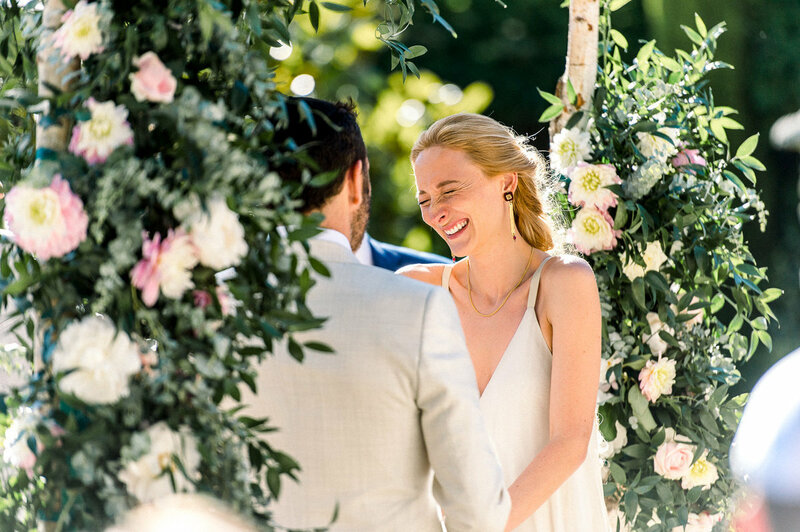 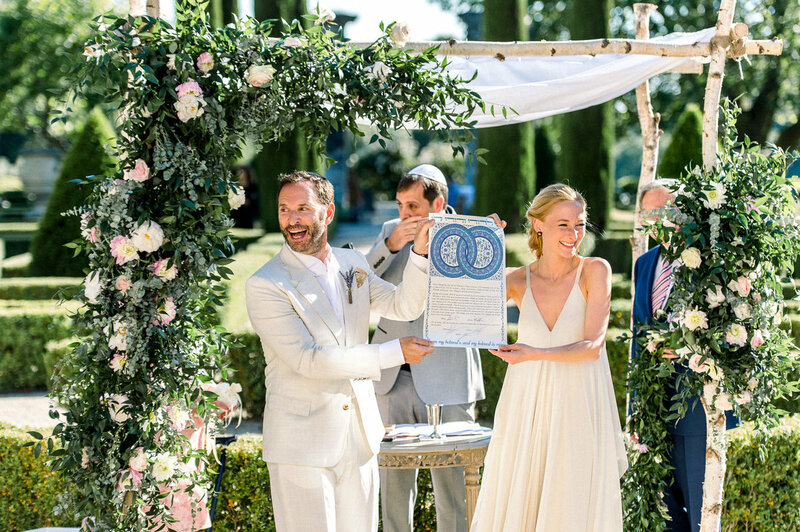 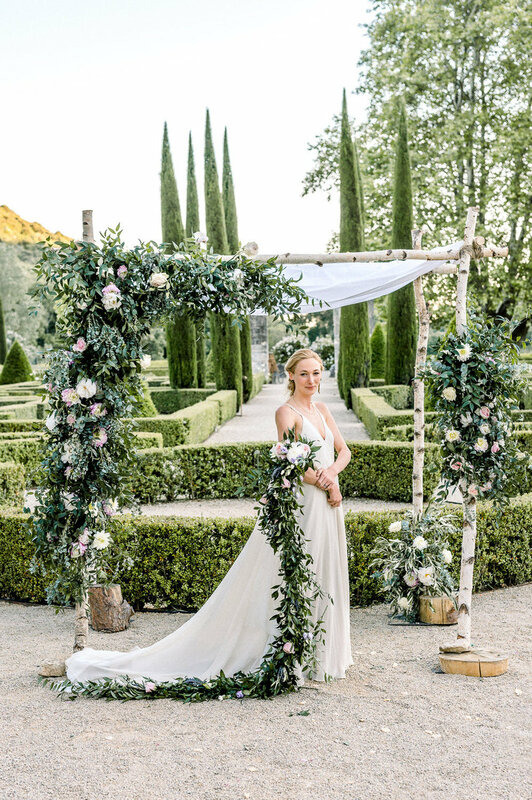 In keeping with Jewish tradition, Léa and Marc exchanged their vows in an outdoor ceremony under the chuppah, a covered canopy which symbolises the new home they are building together. 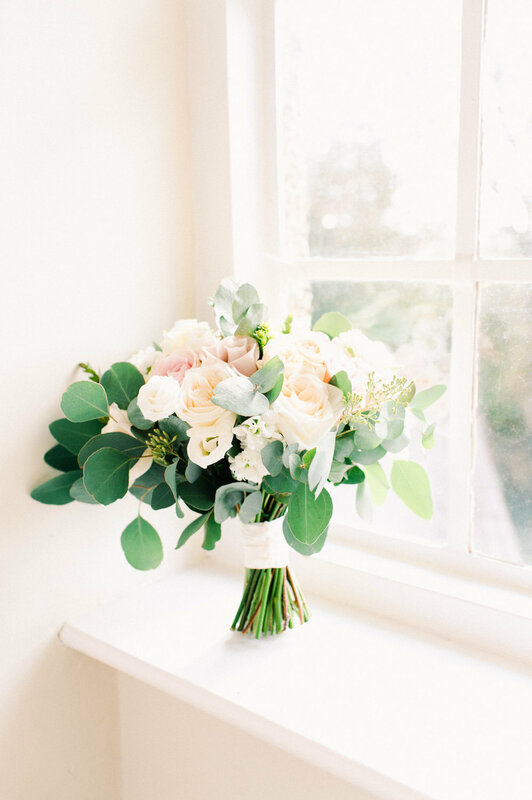 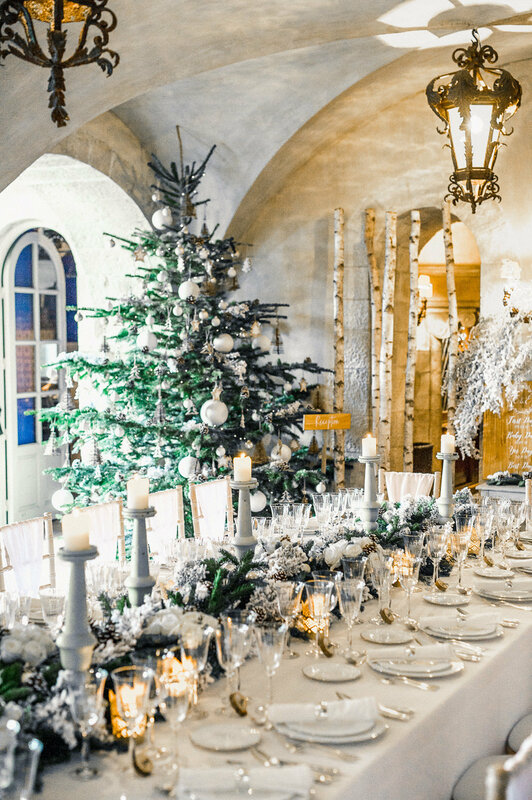 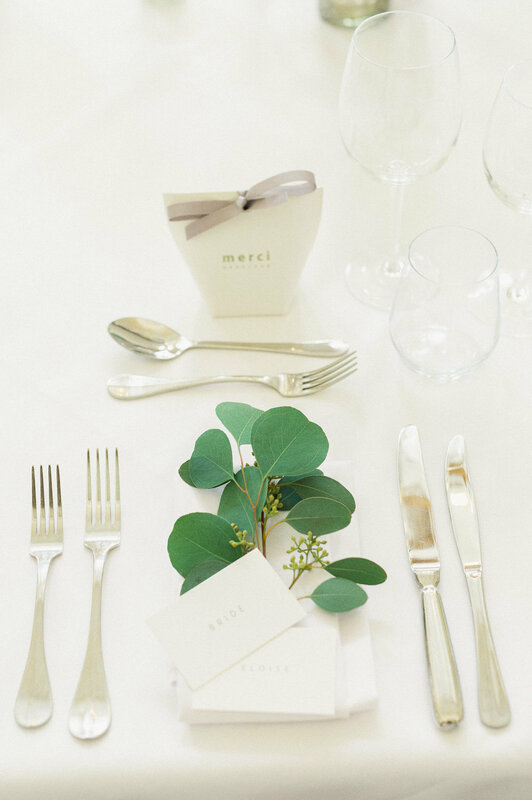 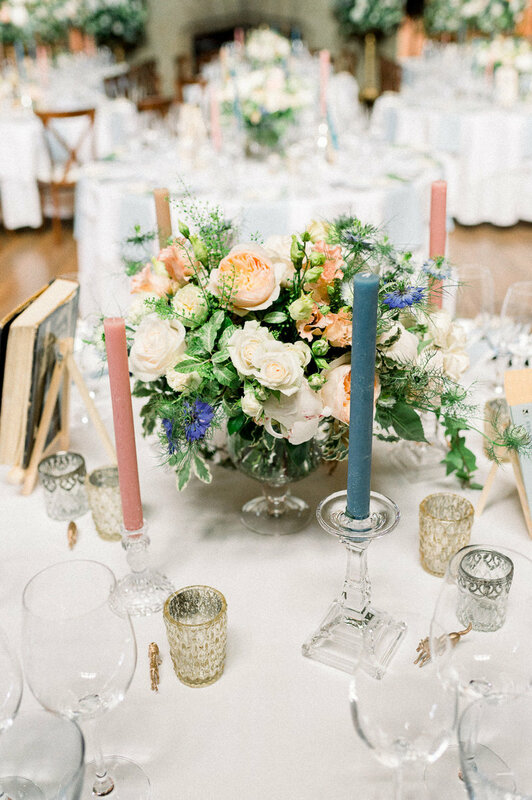 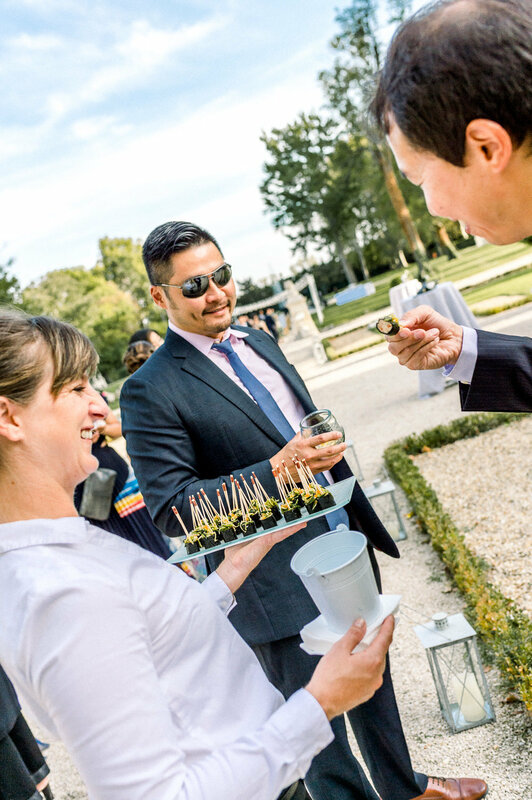 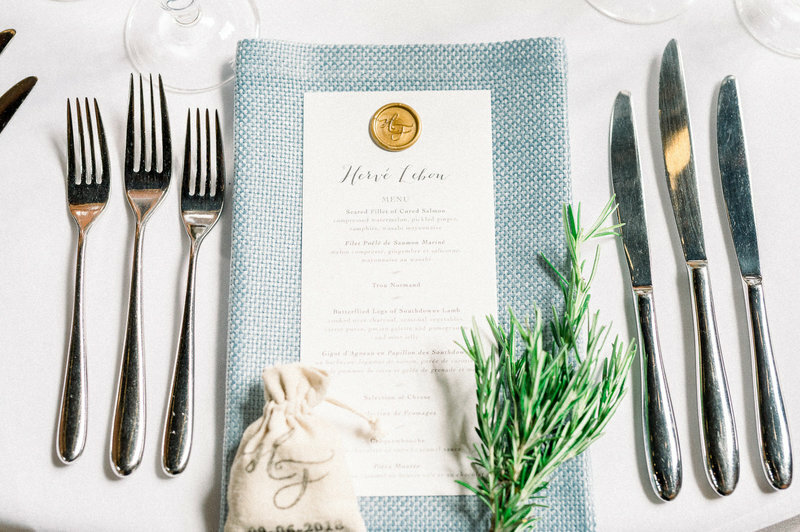 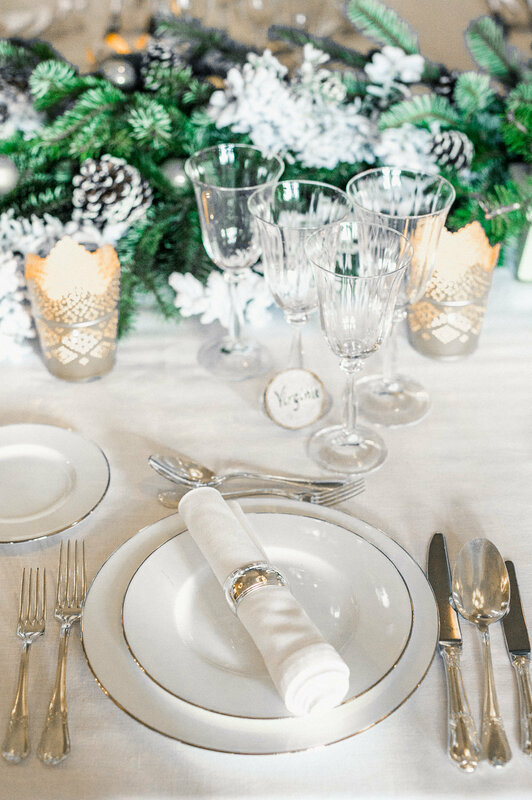 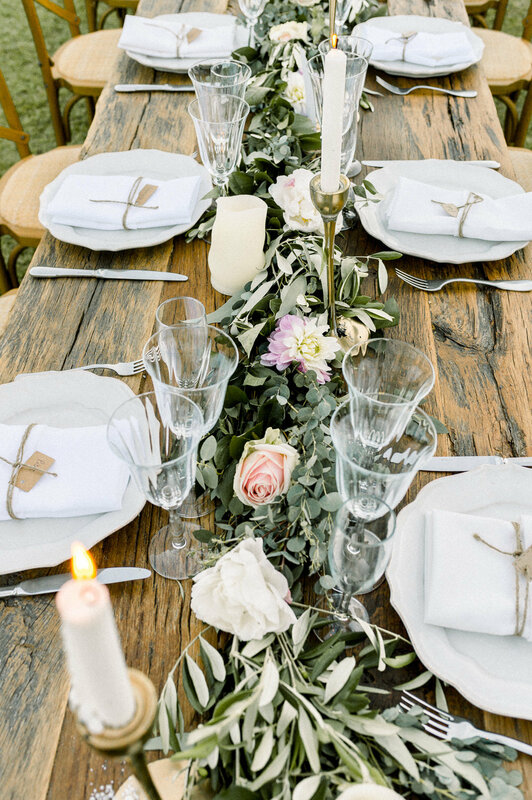 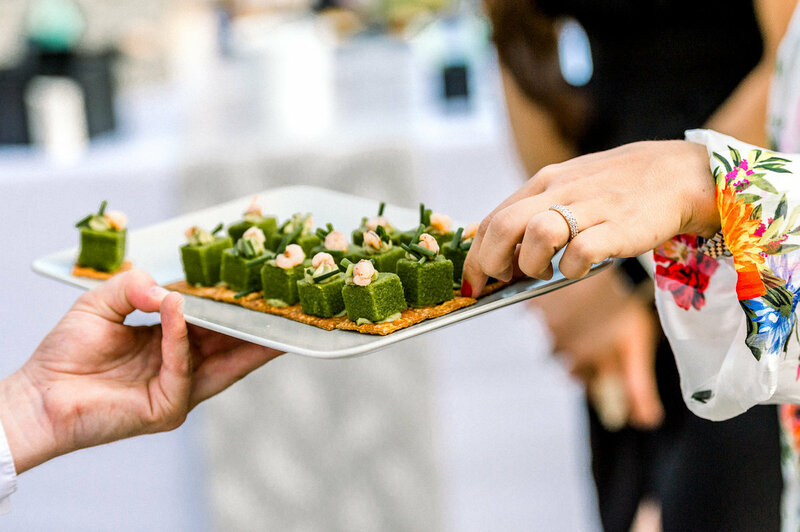 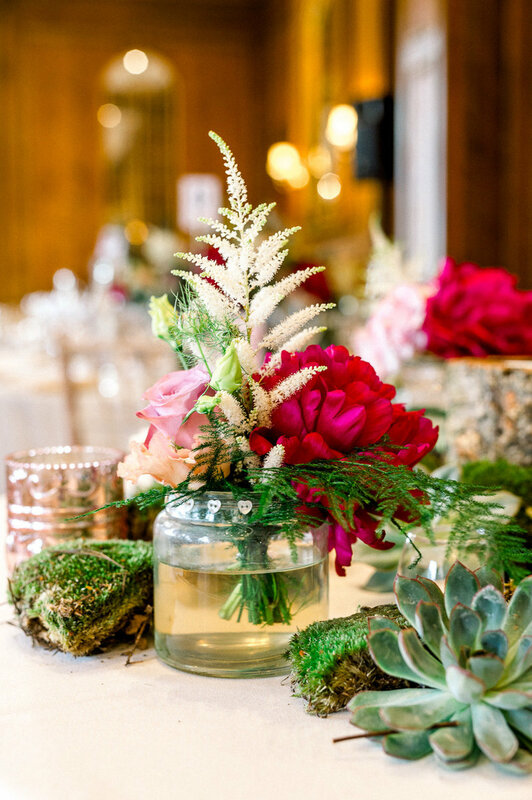 Bravo to Élodie from Label Emotion for her artistic flair and creative skills as the overall theming, colour coordination, table décor and attention to detail everywhere were visually quite stunning. A perfect setting for a wedding of pure enchantment with an ethereal feel and coloured in a palette of greens from the lush vegetation and the light, airy tones of delicate whites and dreamy pastels from the beautiful flower arrangements, the bridal party dresses and the groom's white suit … with just a dramatic flash of colour coming from Lea’s gorgeous red shoes! 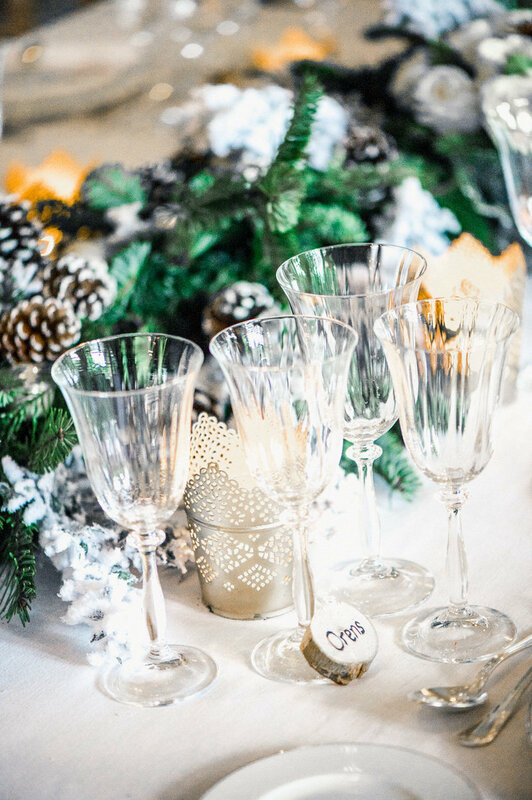 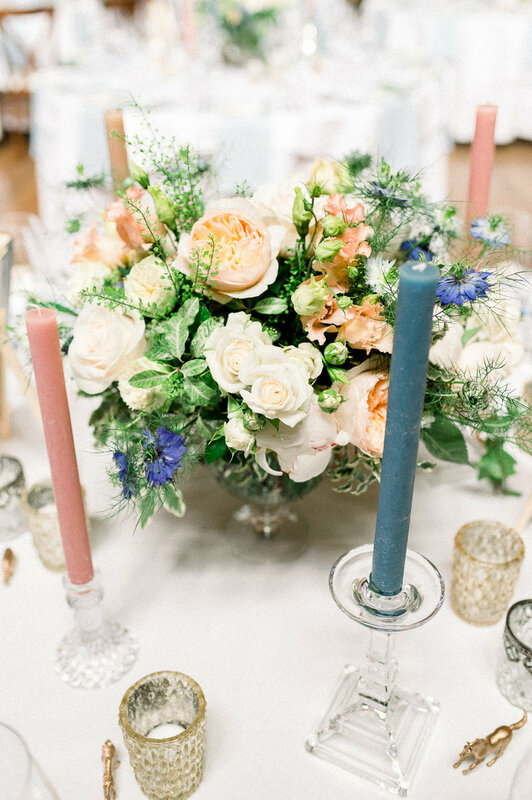 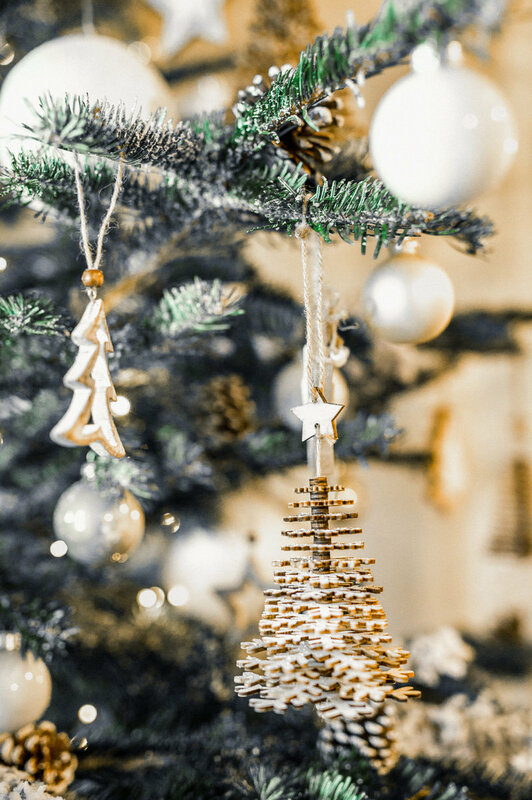 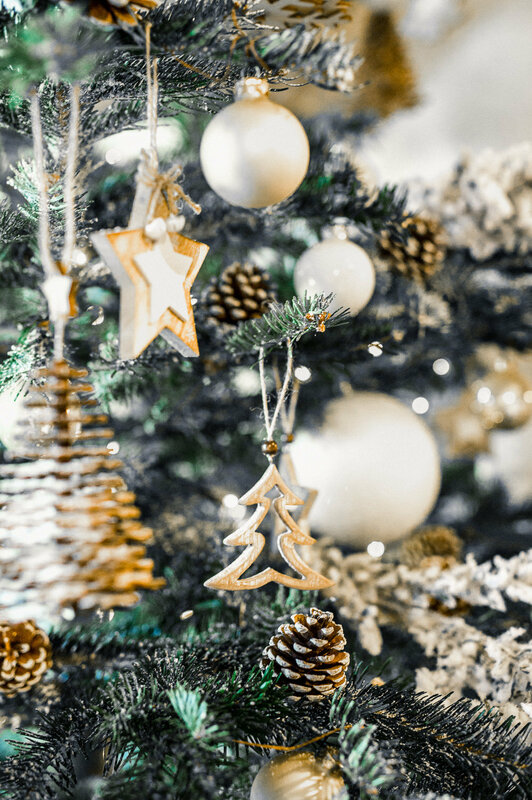 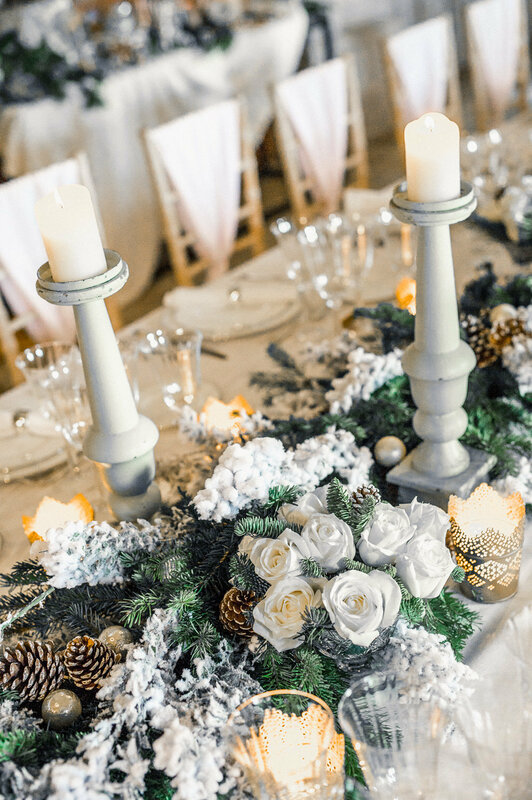 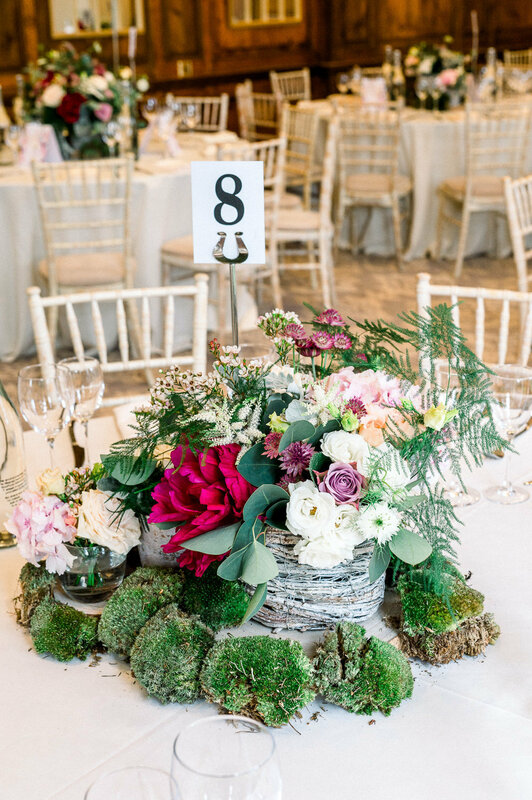 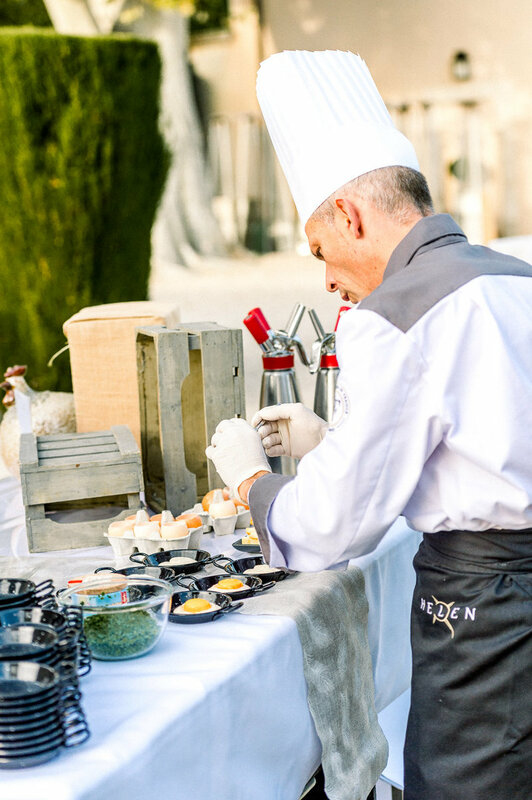 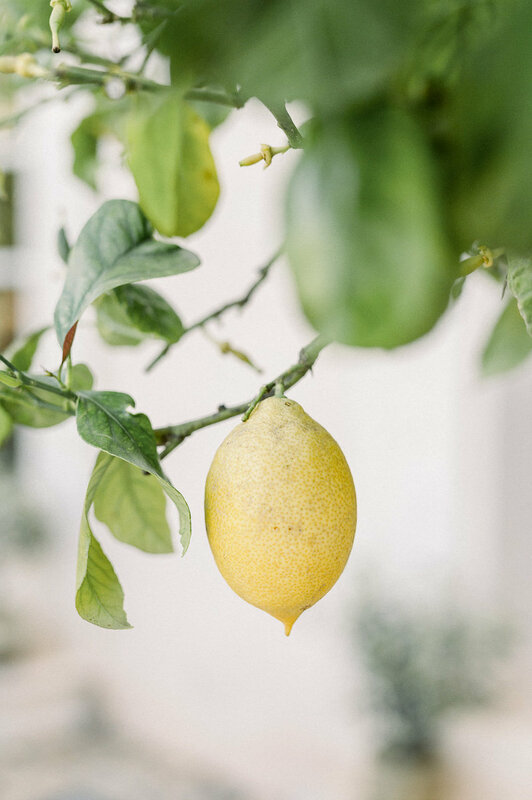 Bravo to Elodie from Label Emotion for her artistic flair and creative skills as the overall theming, colour coordination, table décor and attention to detail everywhere were visually quite stunning. 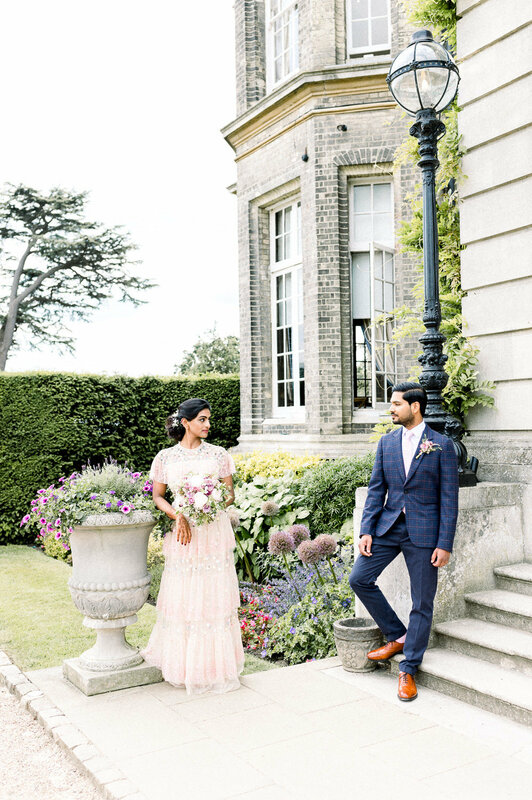 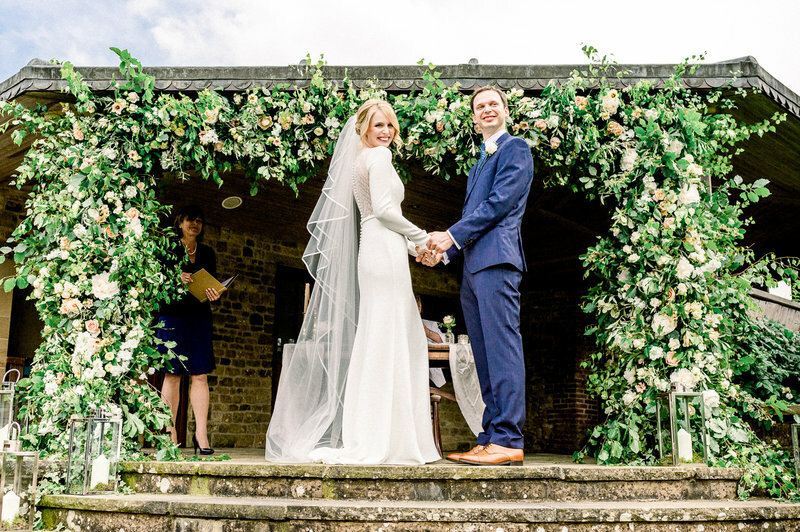 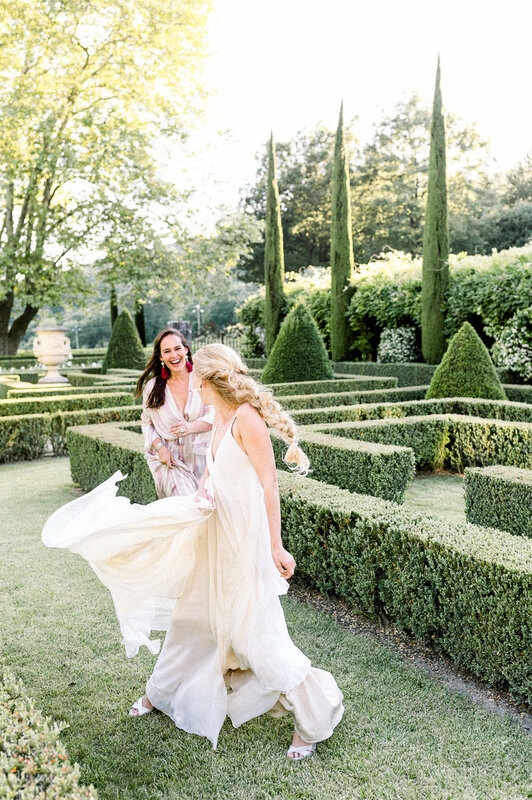 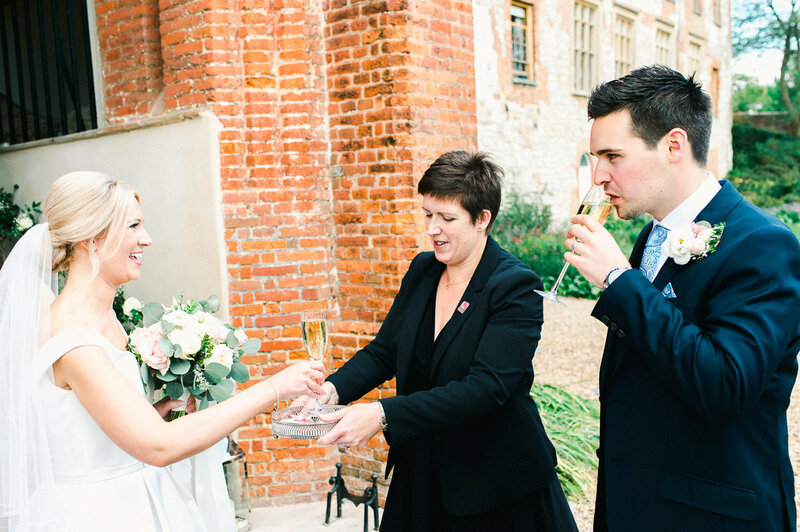 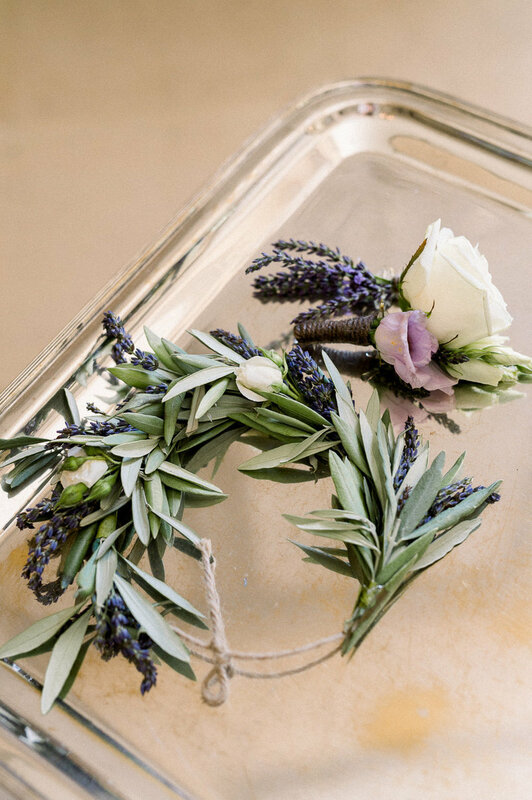 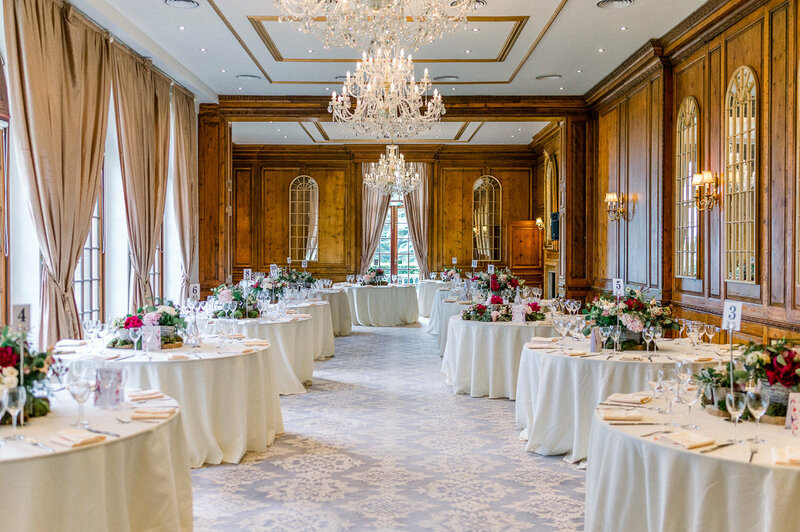 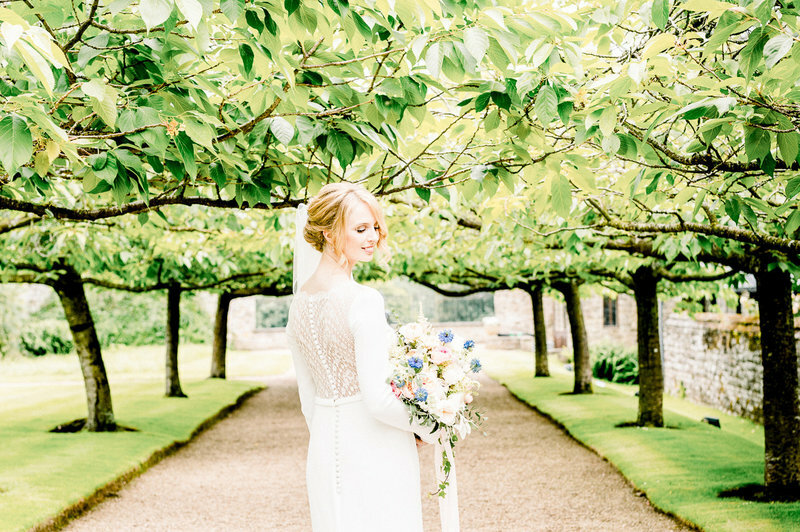 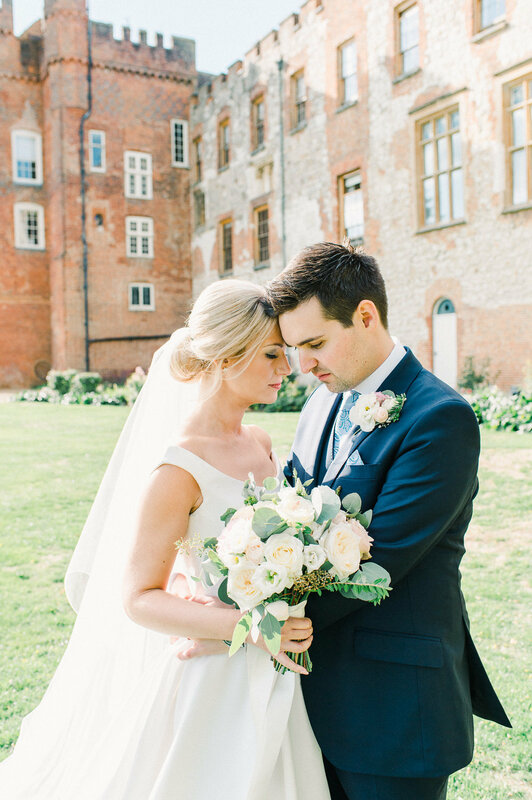 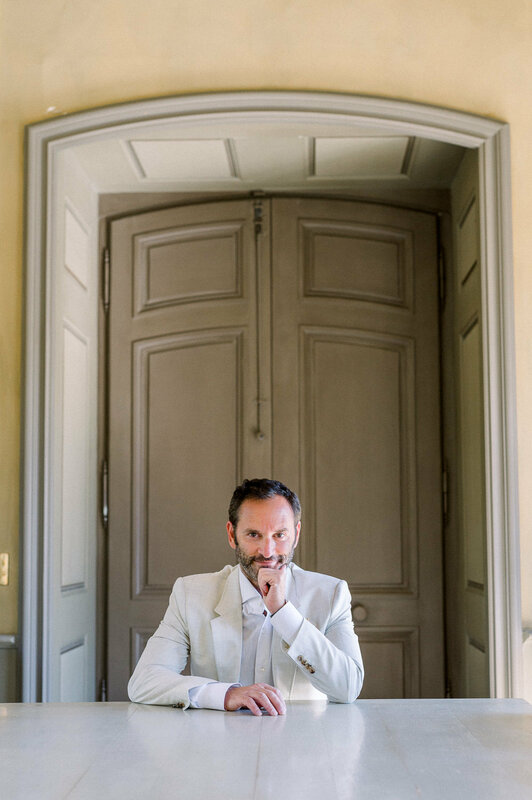 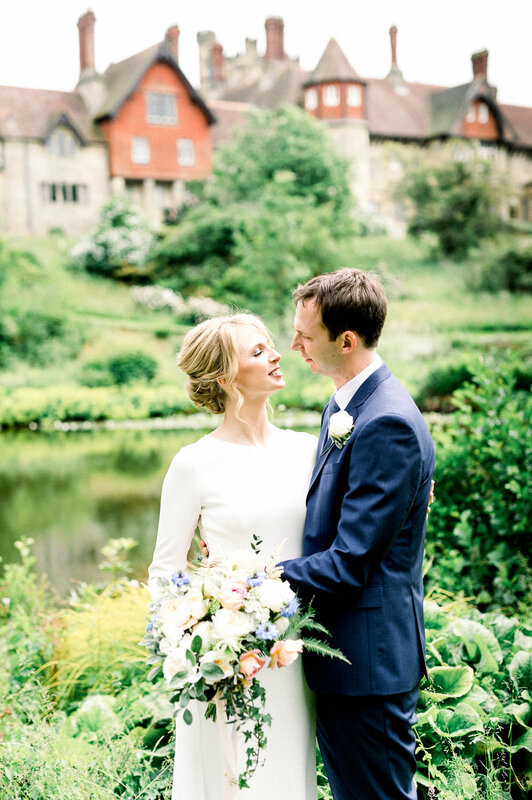 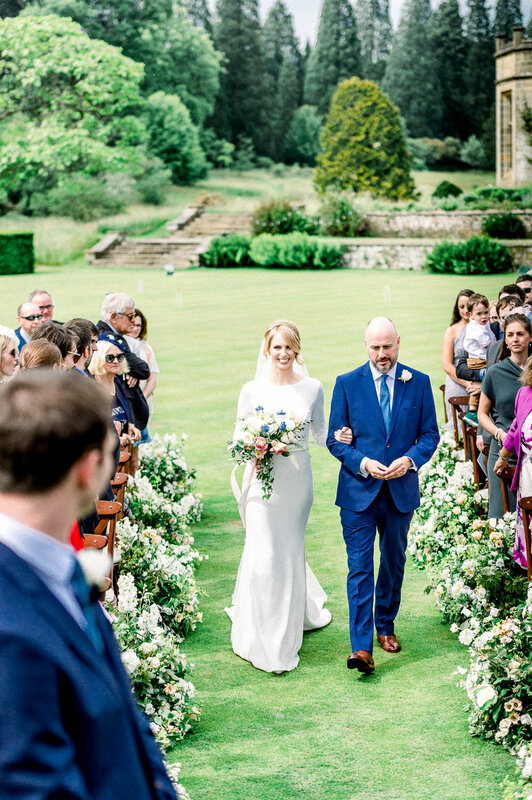 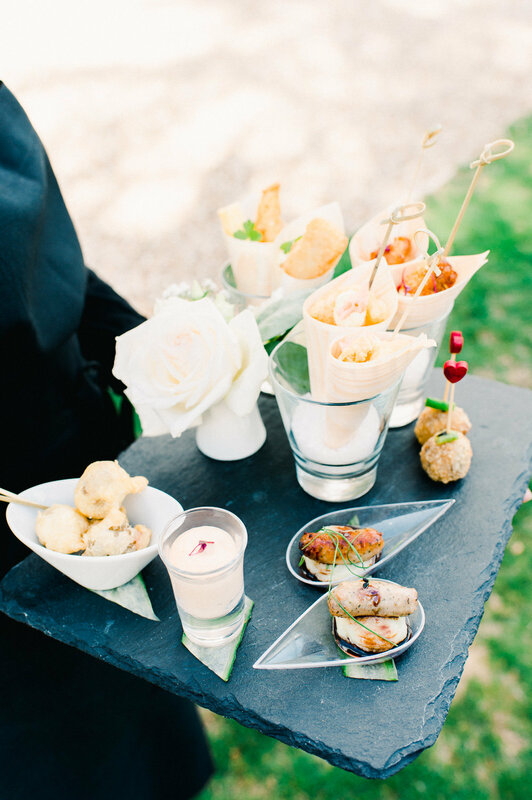 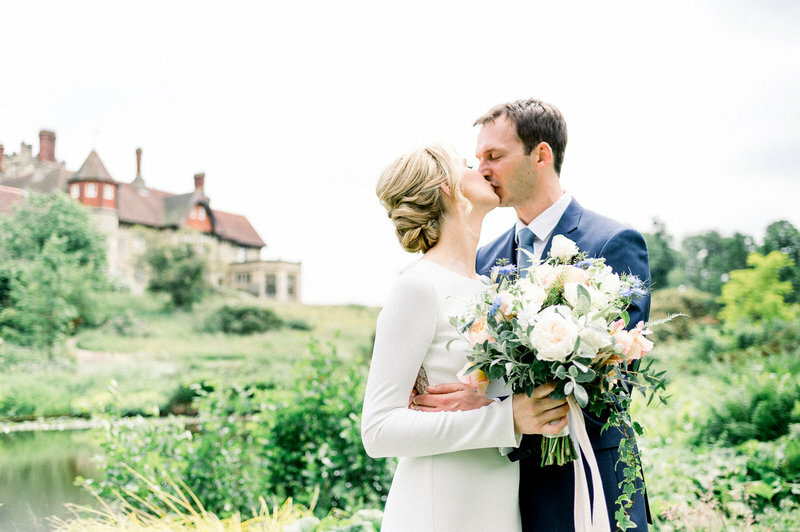 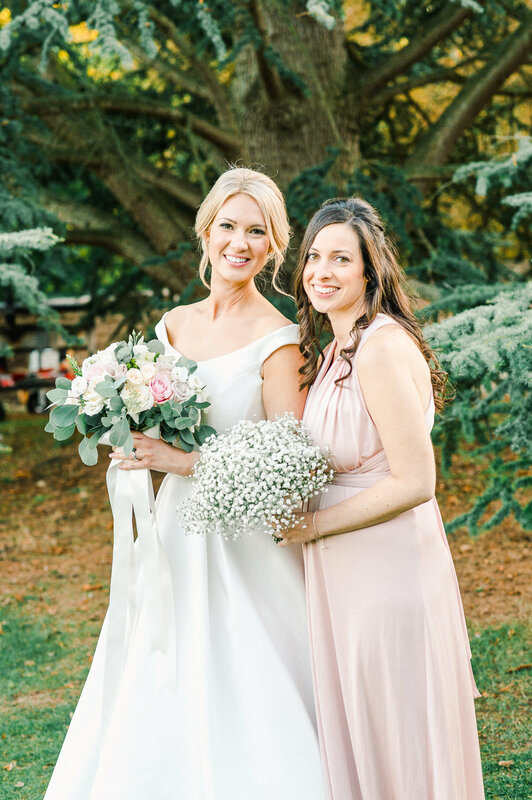 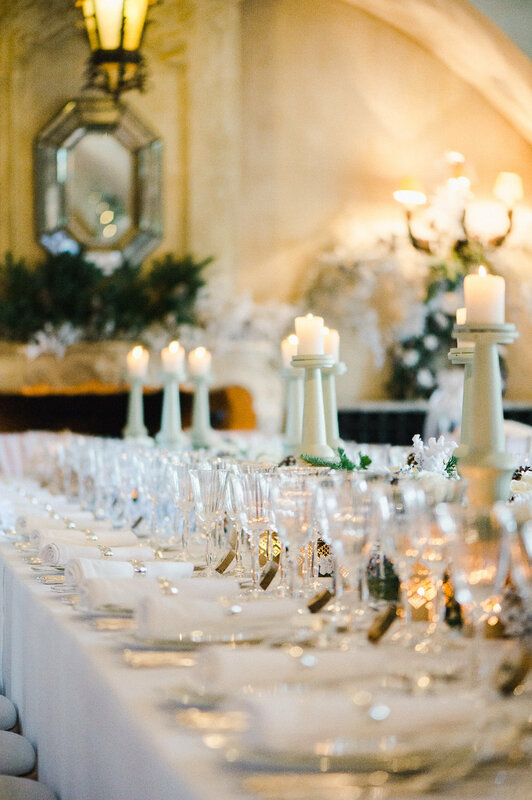 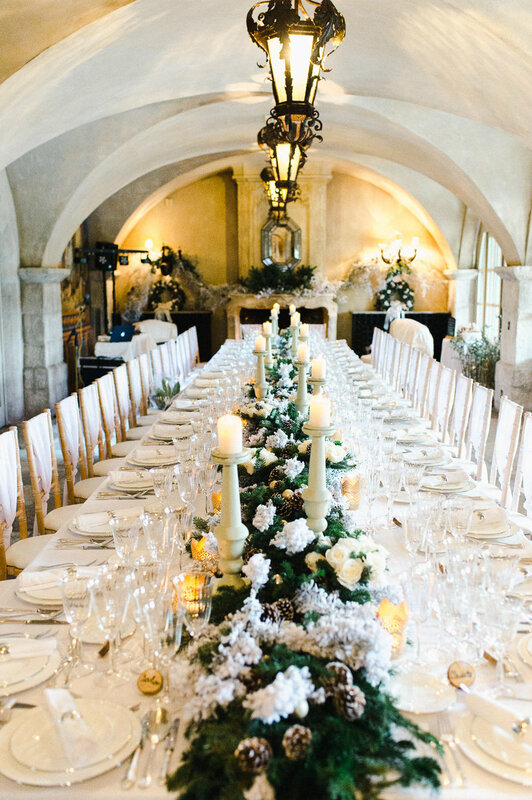 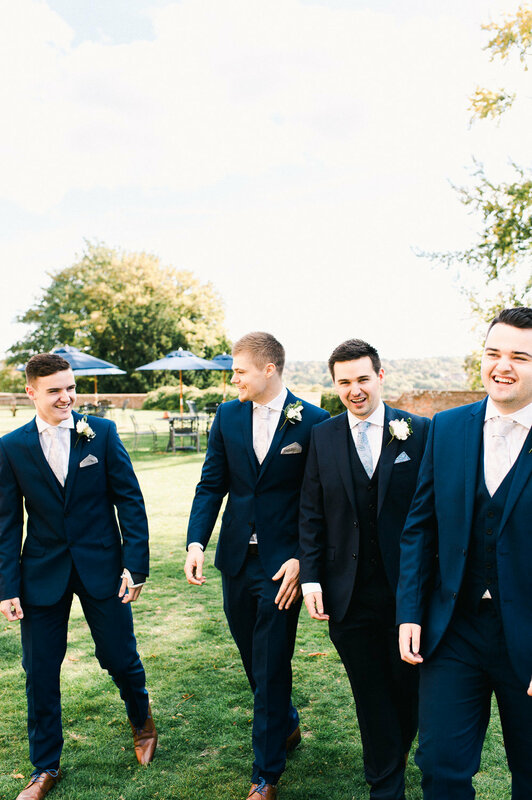 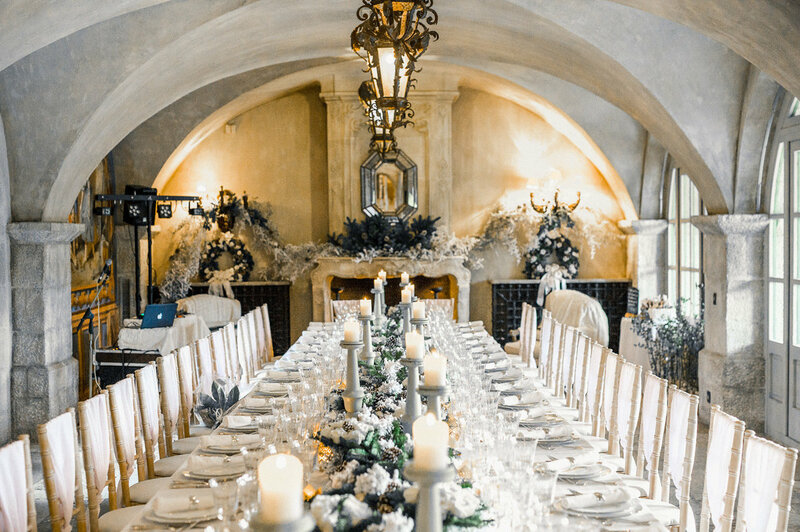 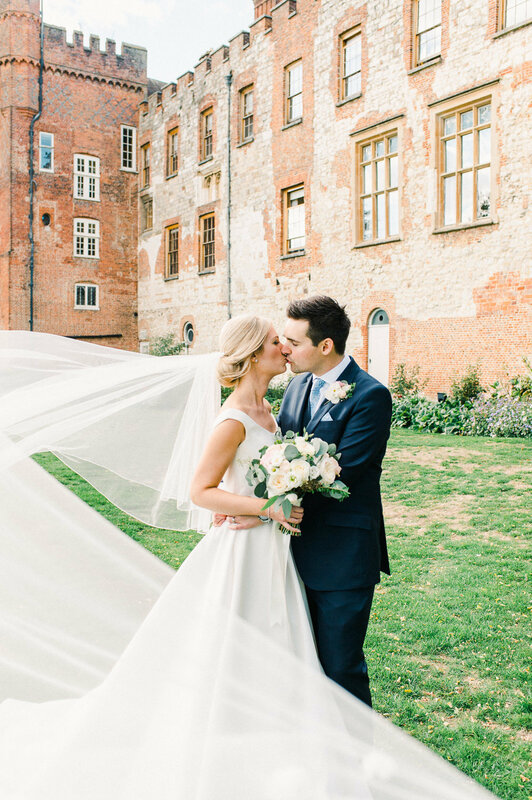 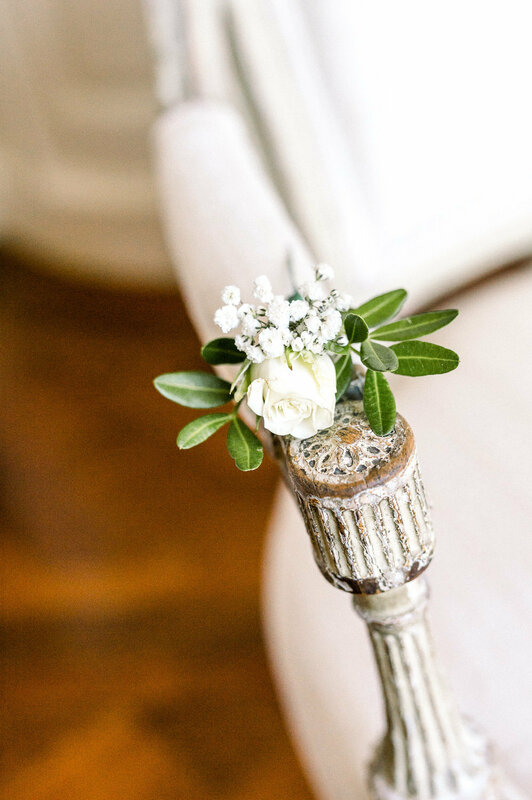 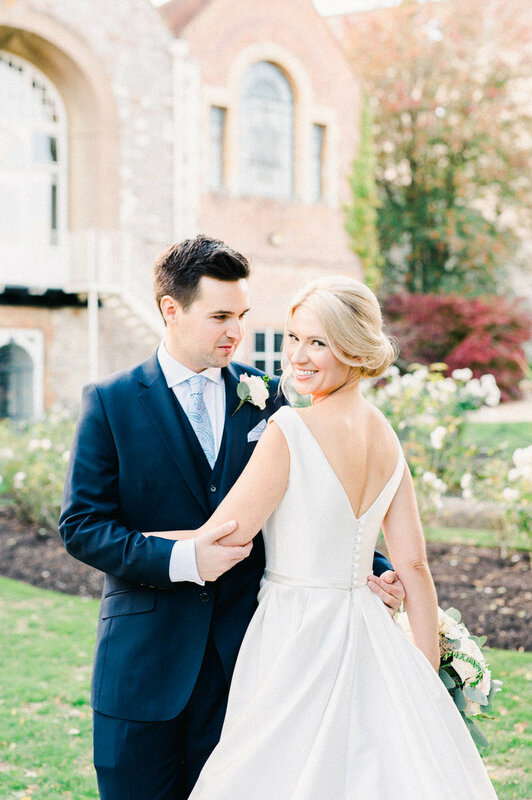 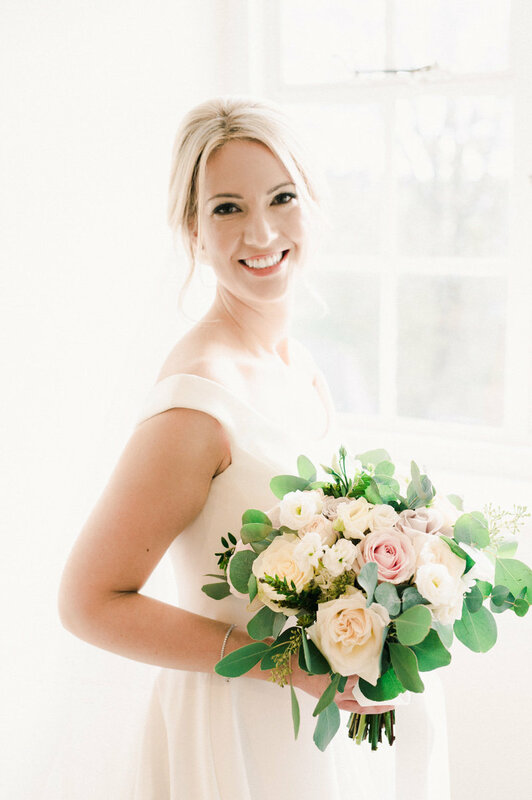 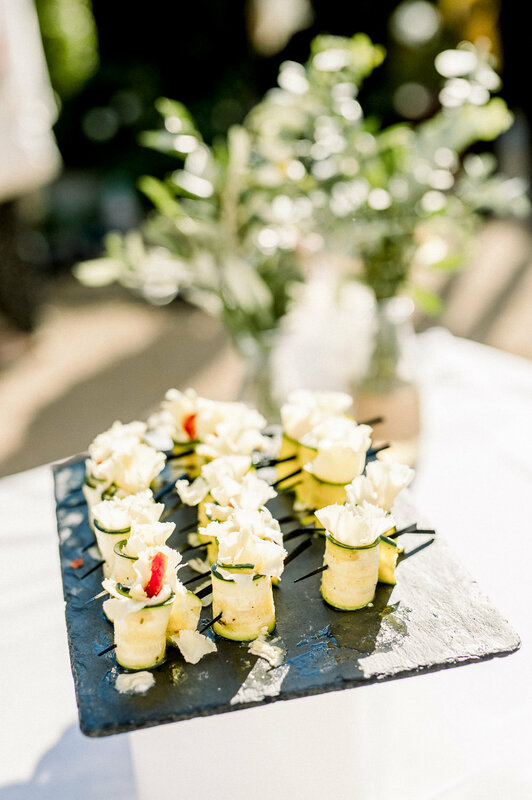 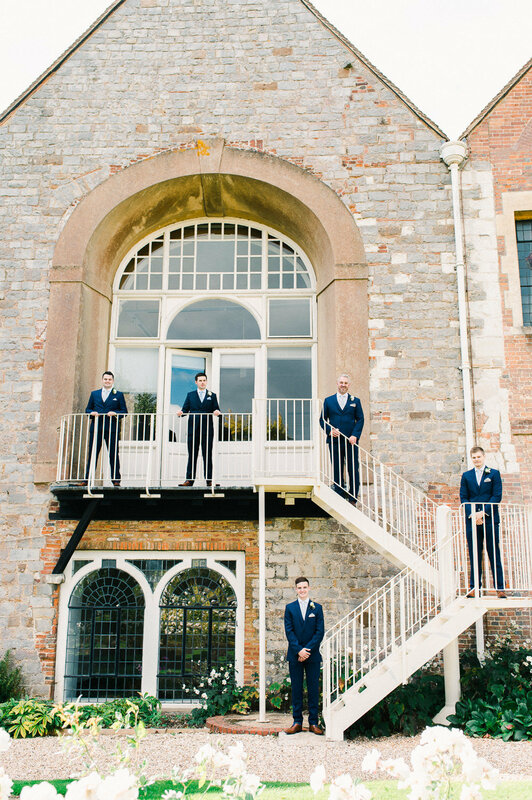 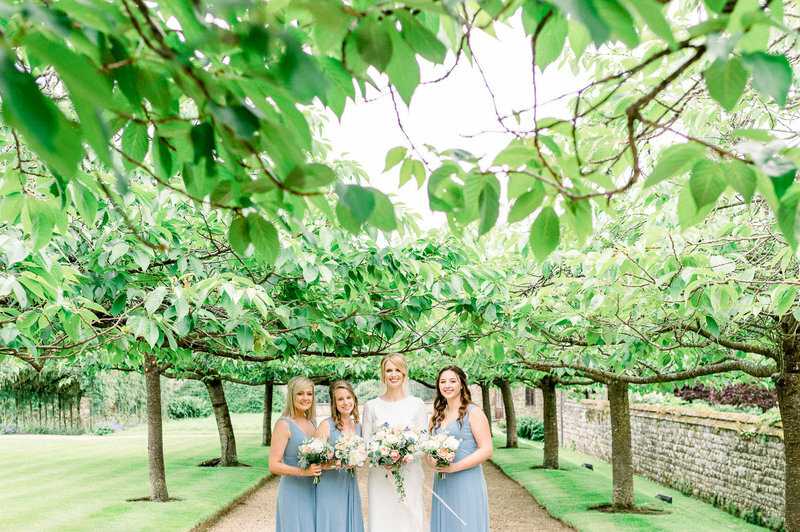 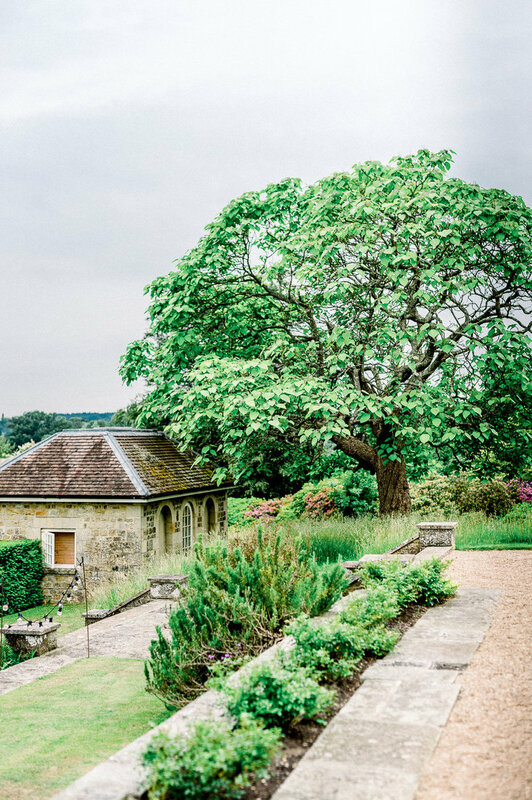 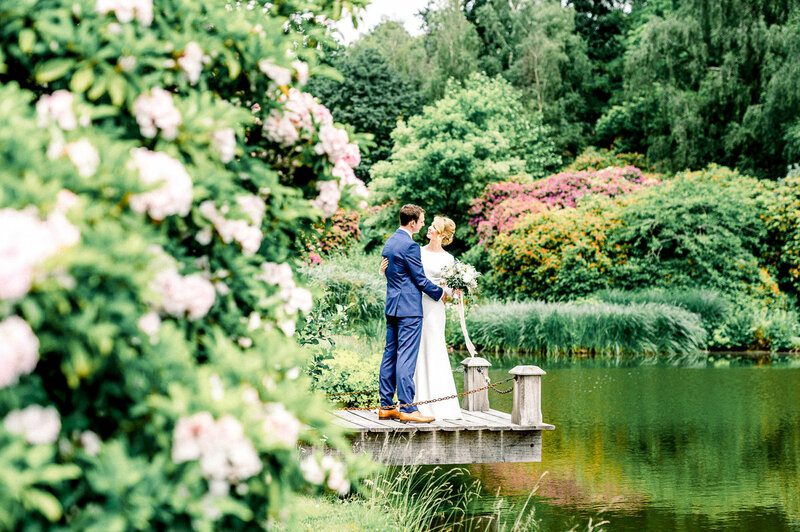 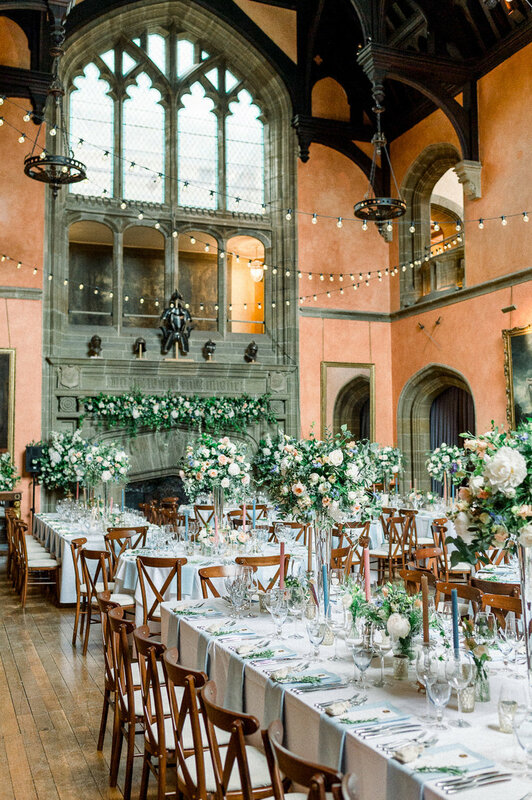 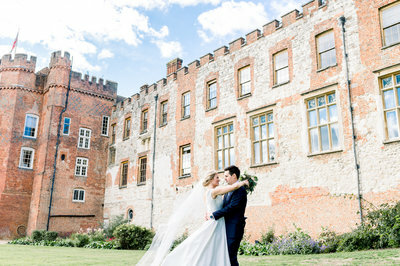 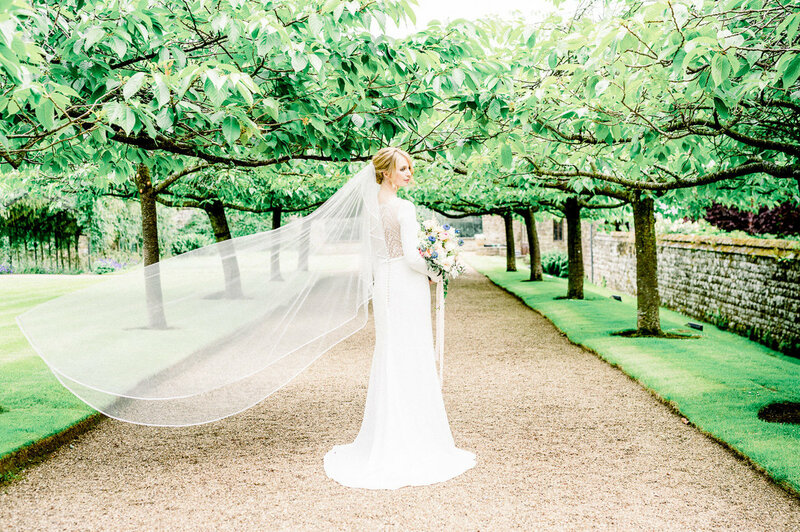 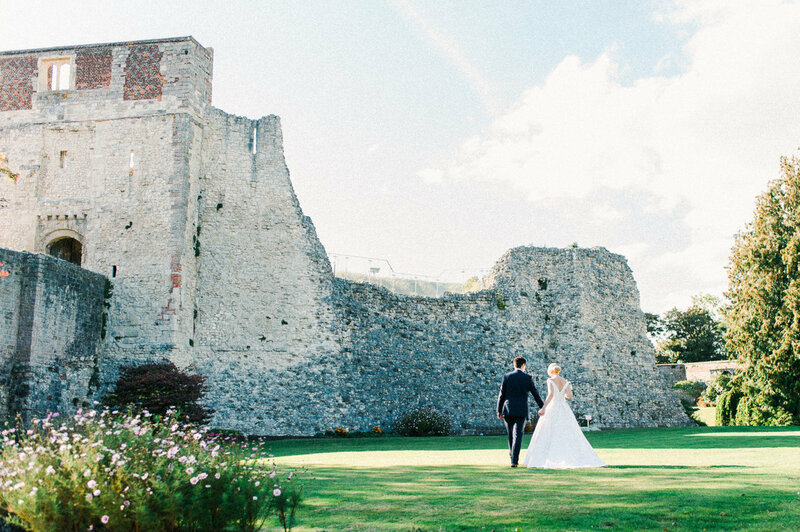 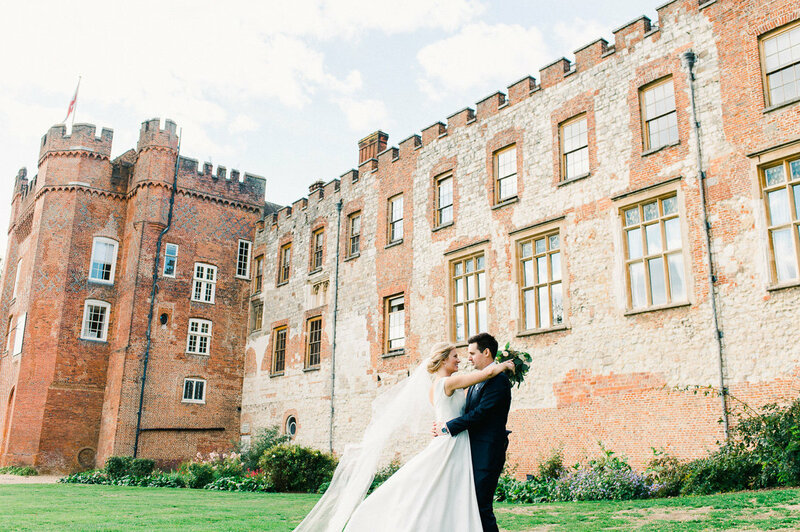 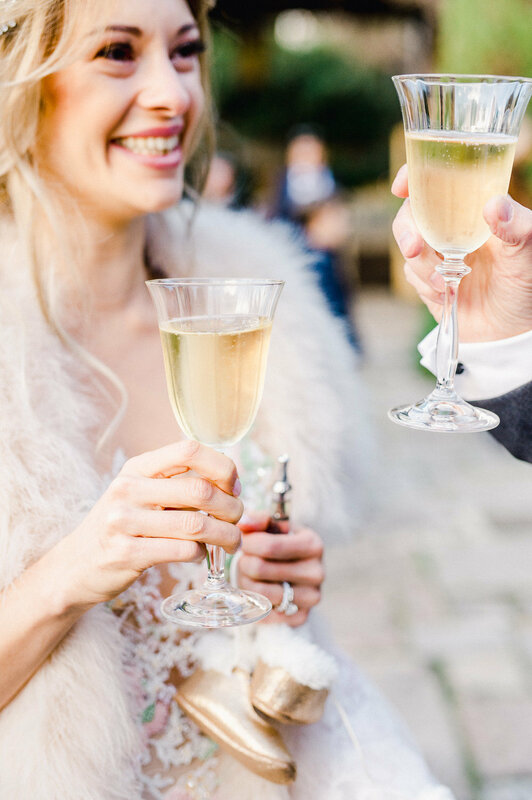 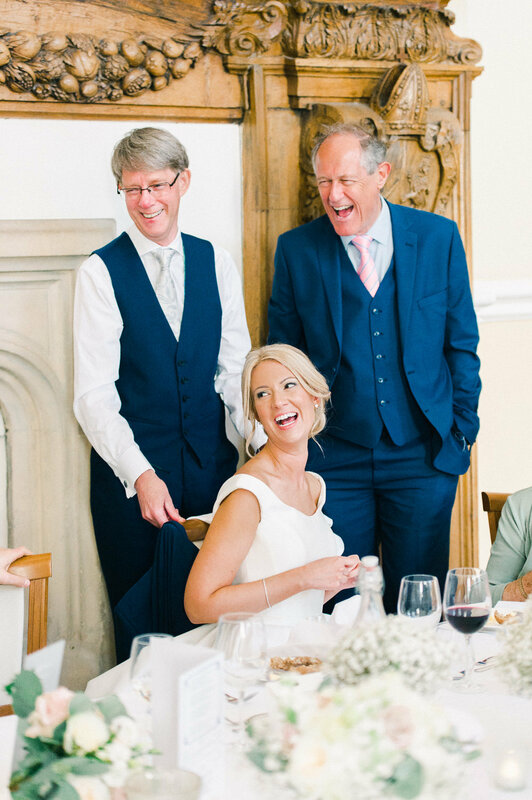 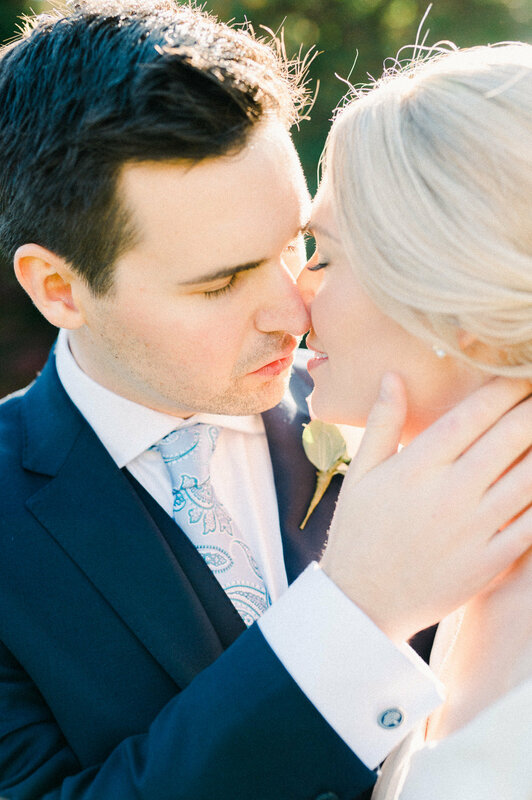 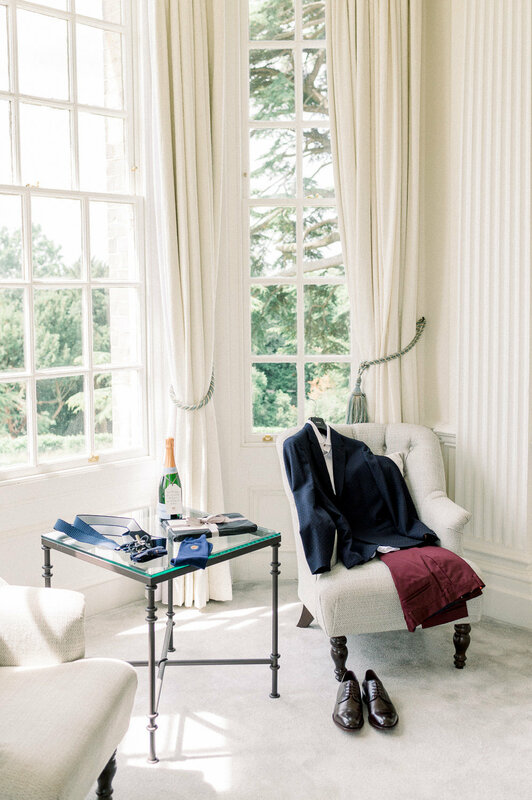 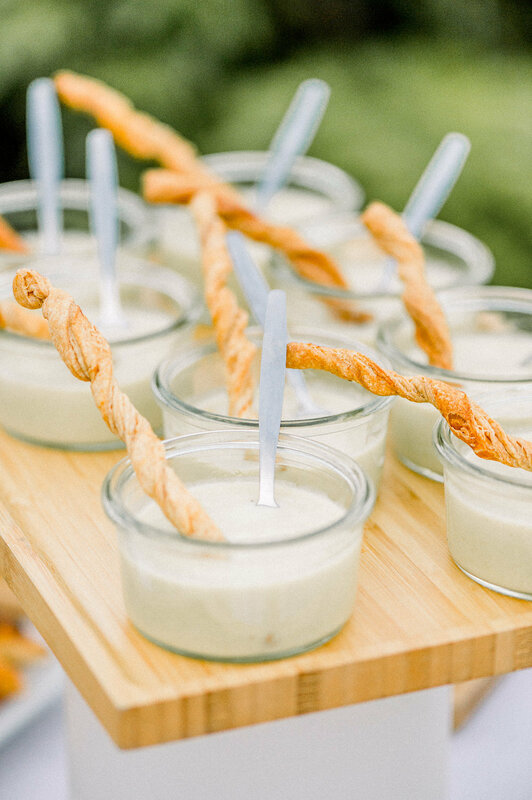 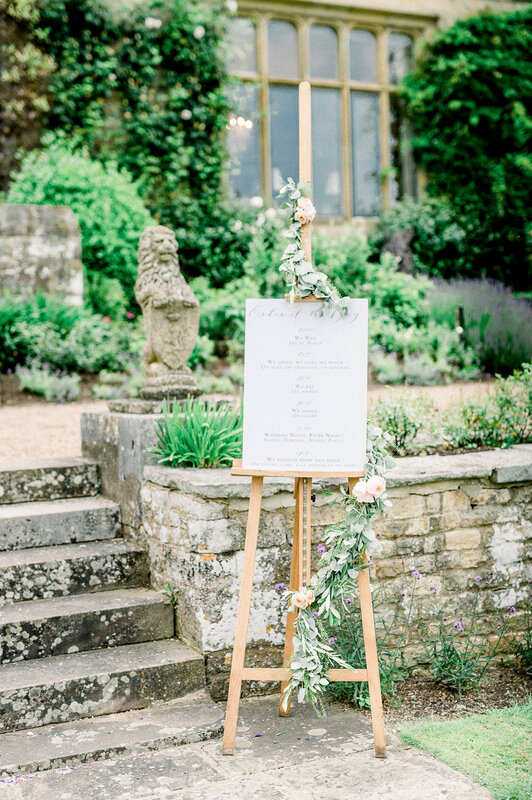 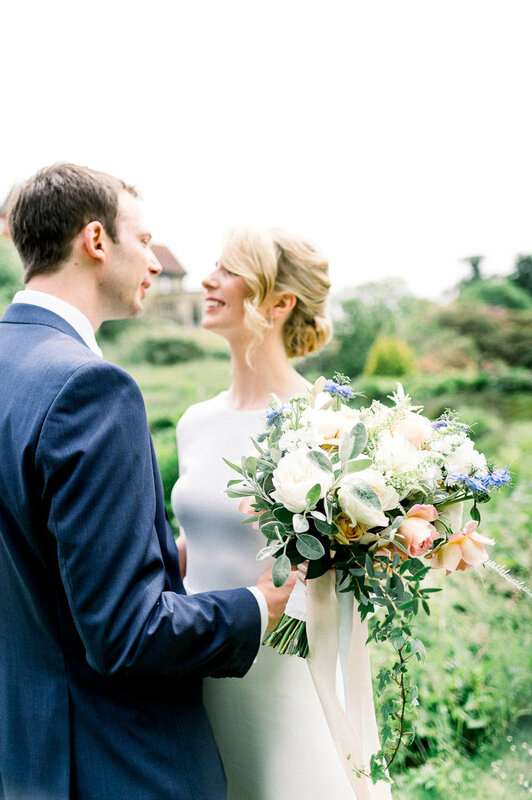 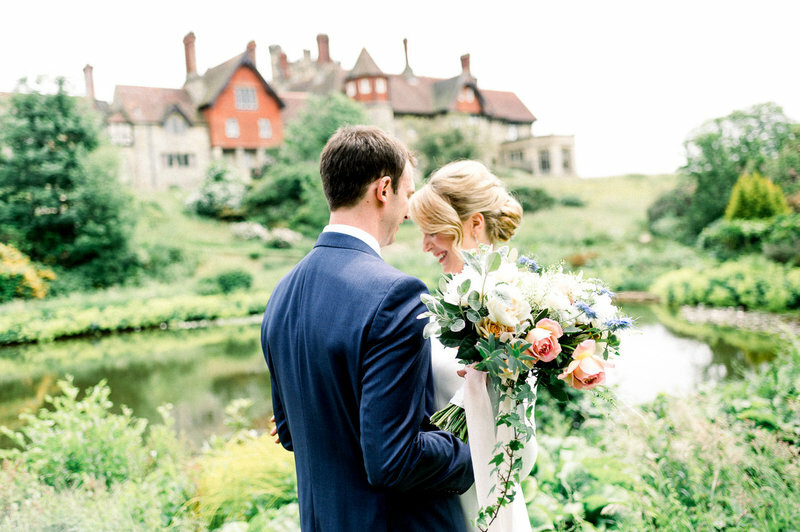 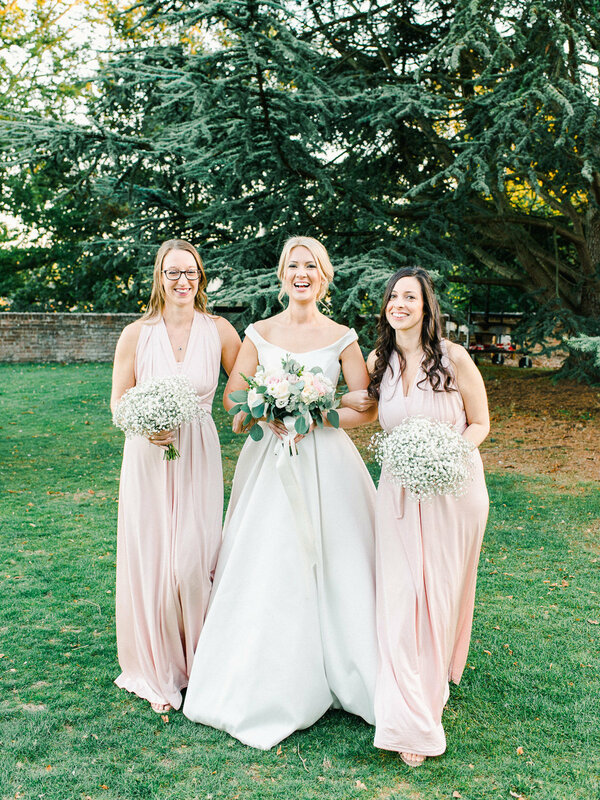 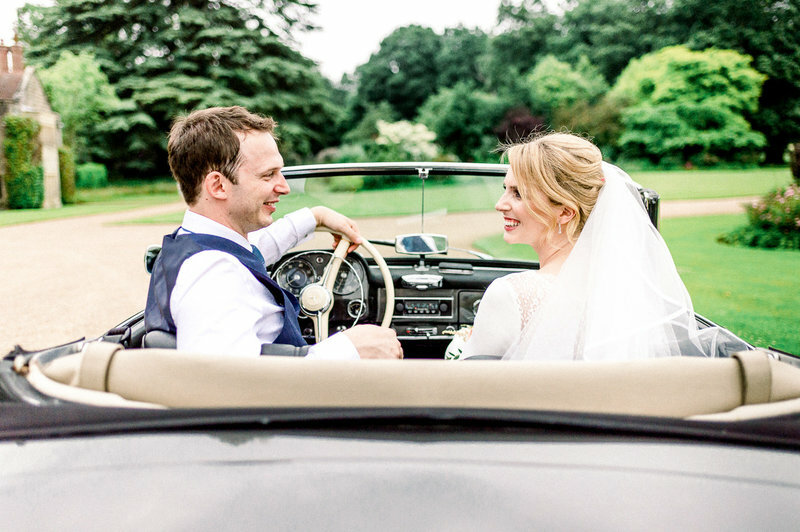 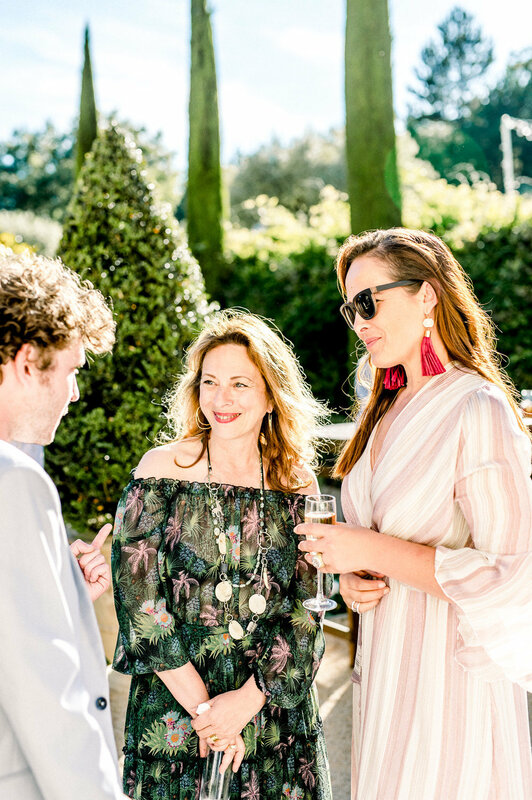 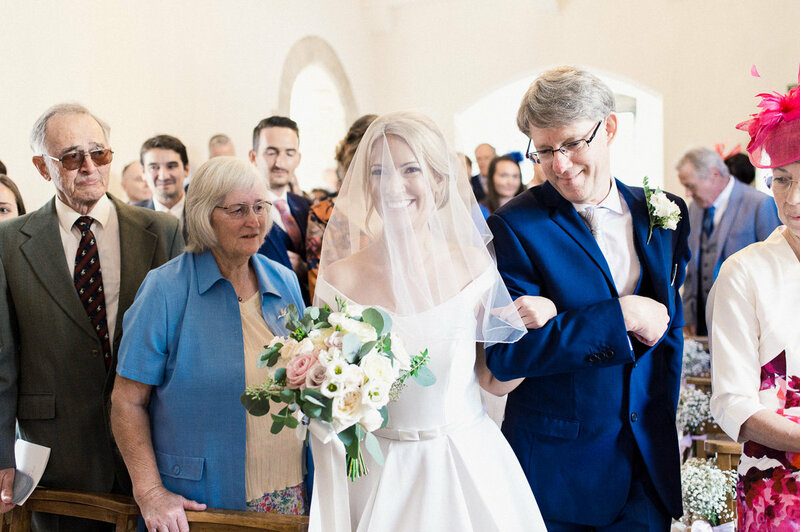 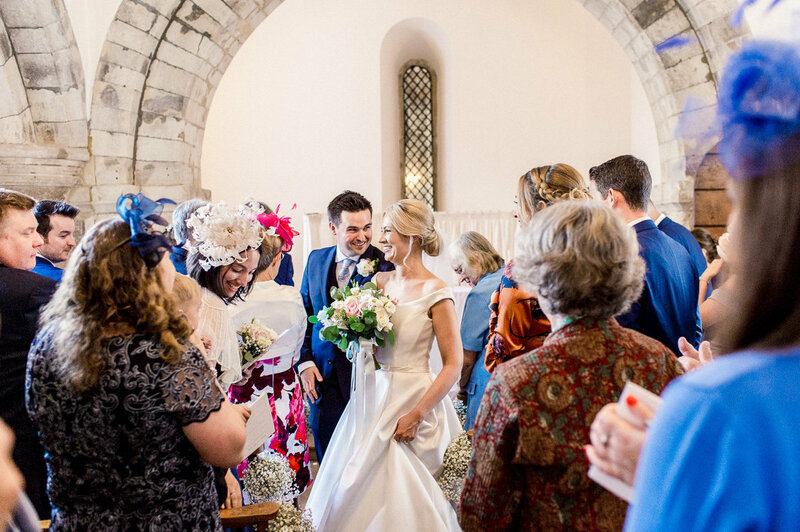 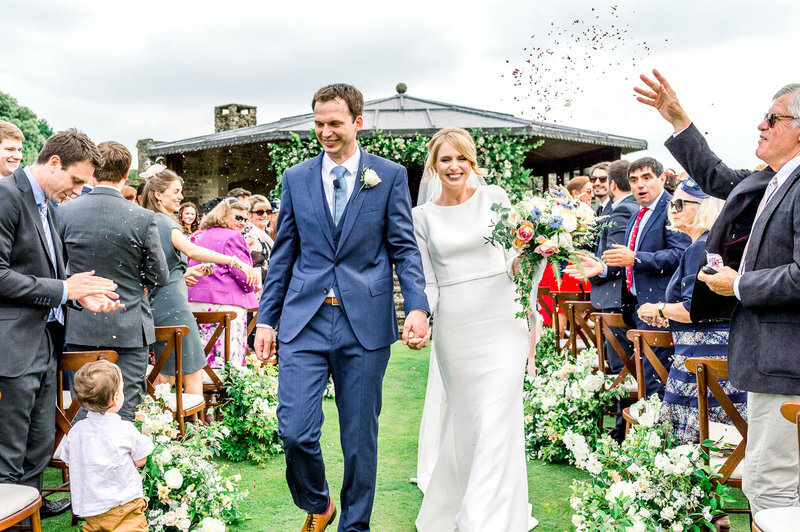 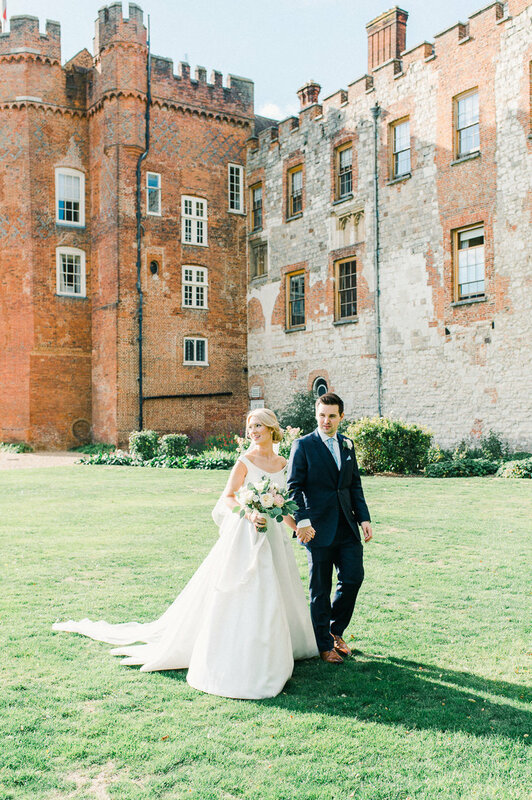 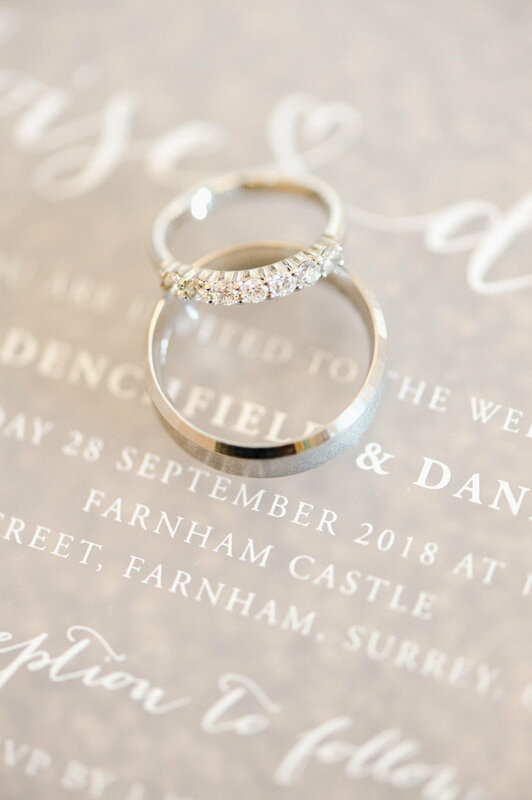 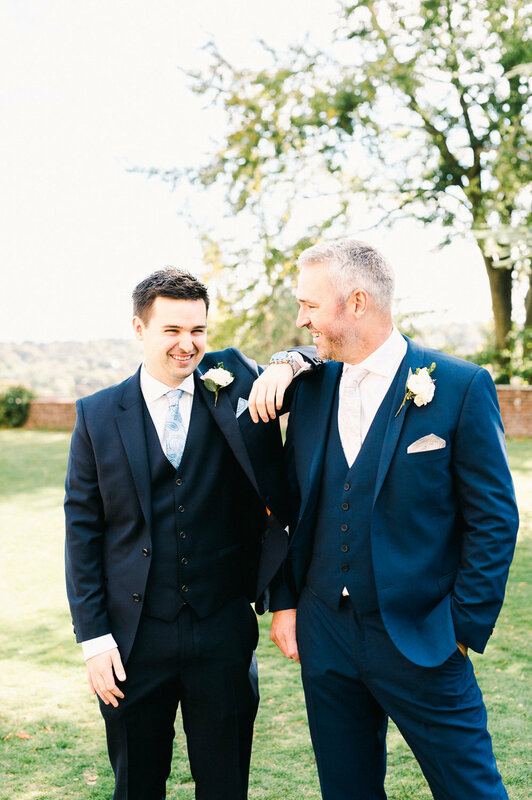 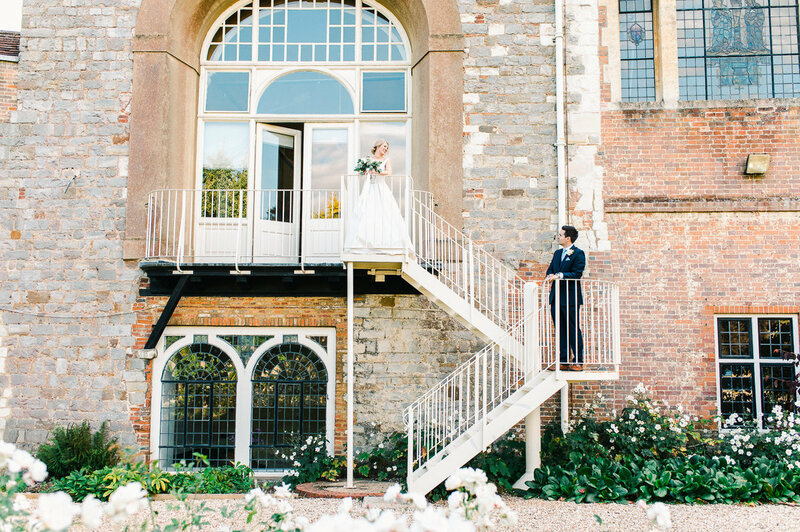 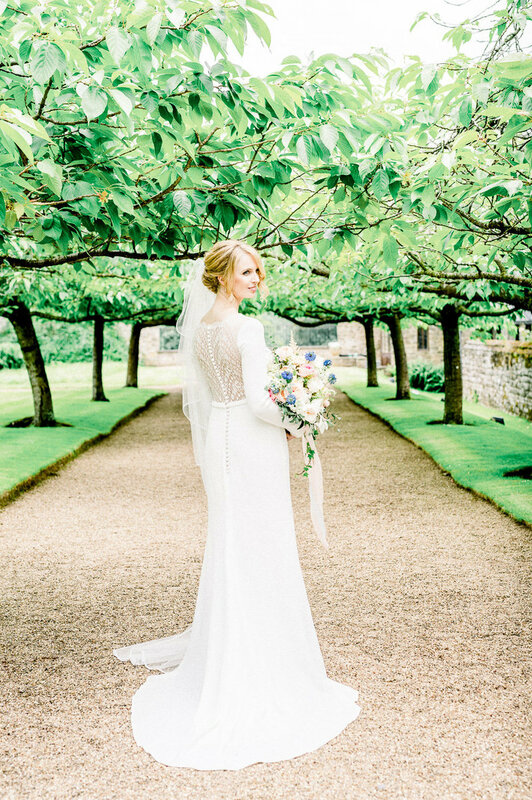 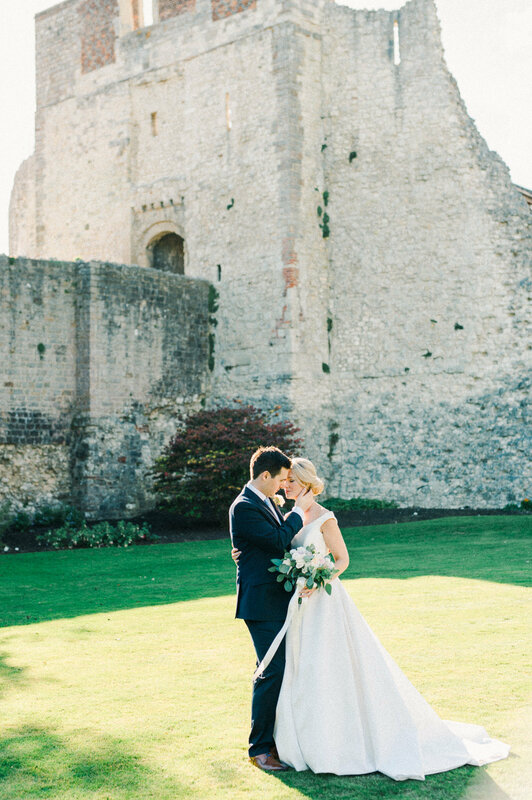 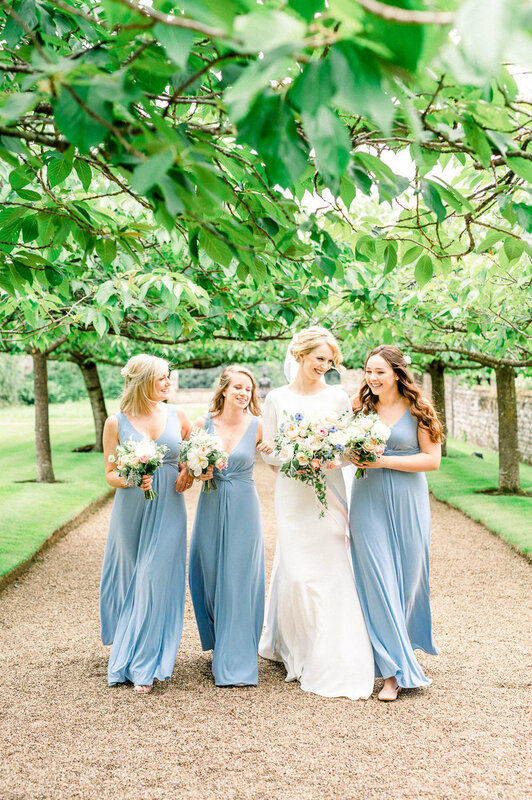 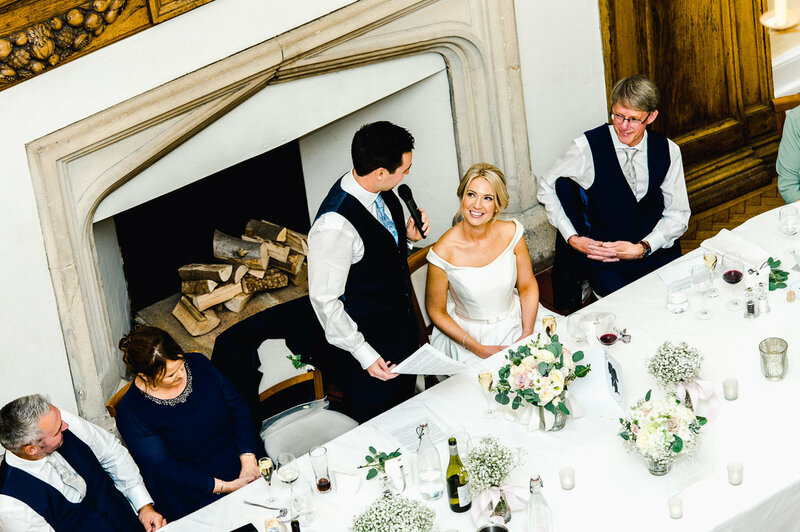 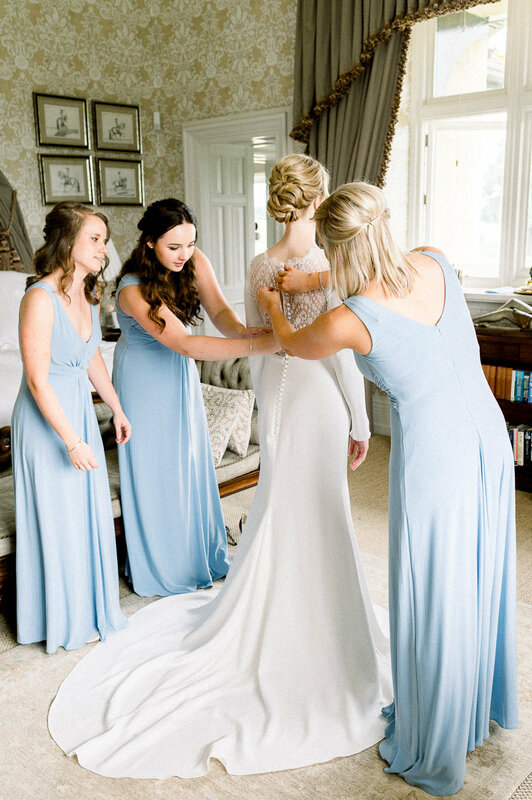 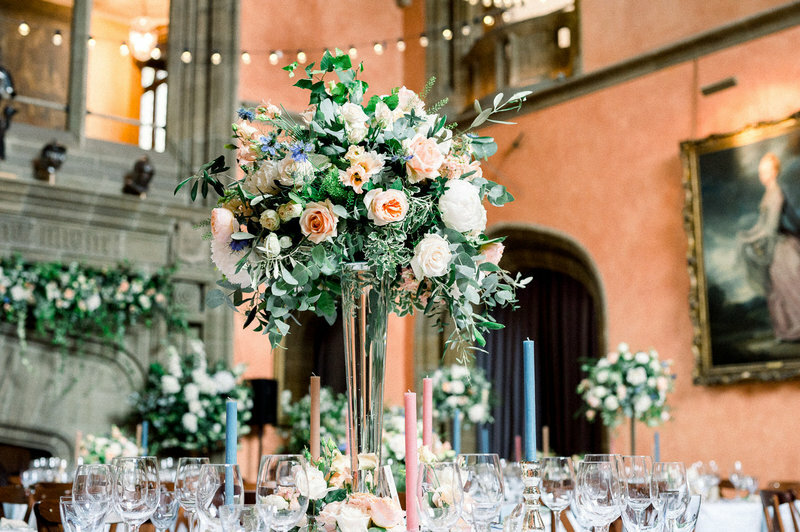 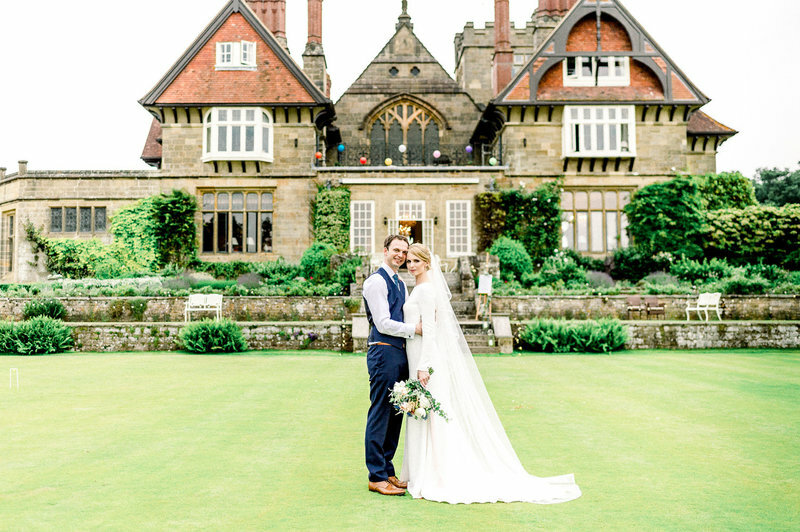 English Hannah and French Josselin chose to celebrate their bicultural wedding in the spectacular period setting and opulence of Cowdray House, located in the heart of the South Downs National Park and with an extensive estate of private gardens, grounds and parkland. 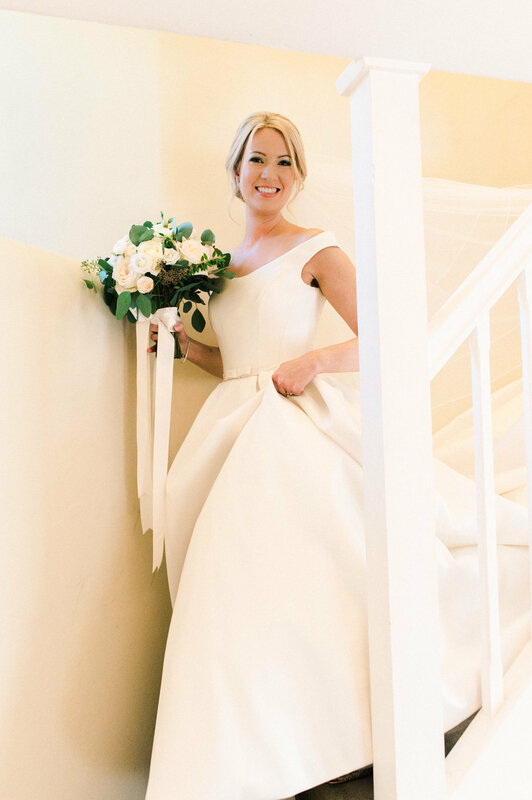 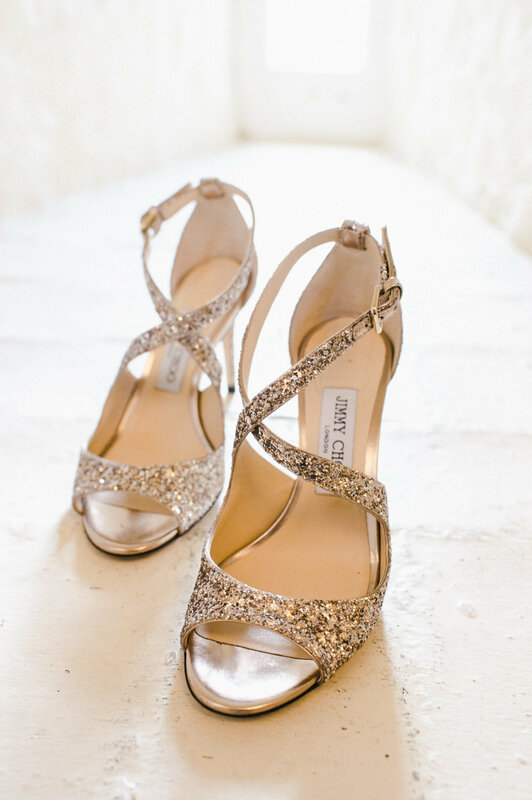 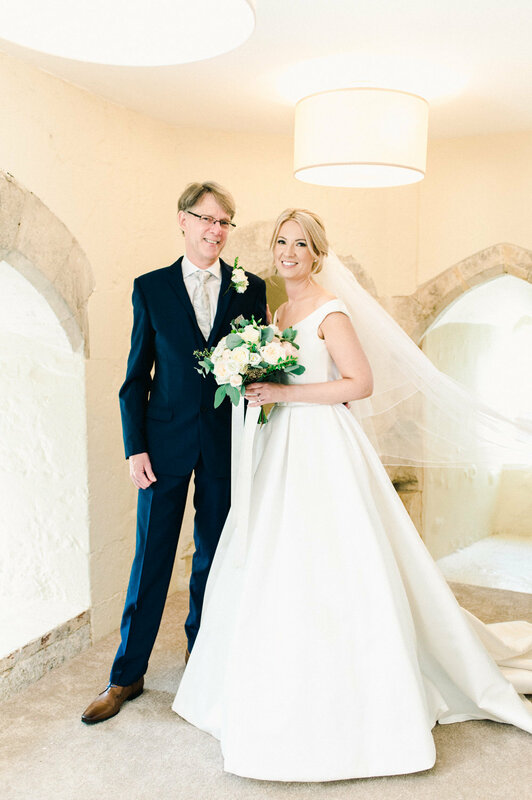 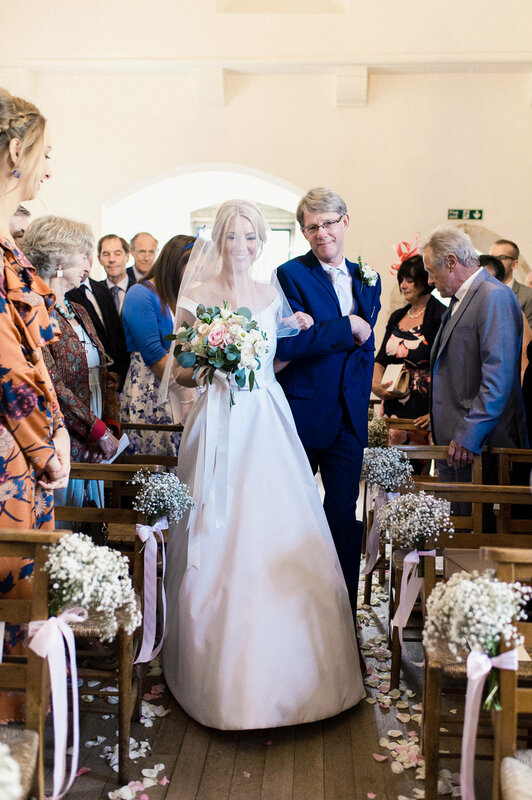 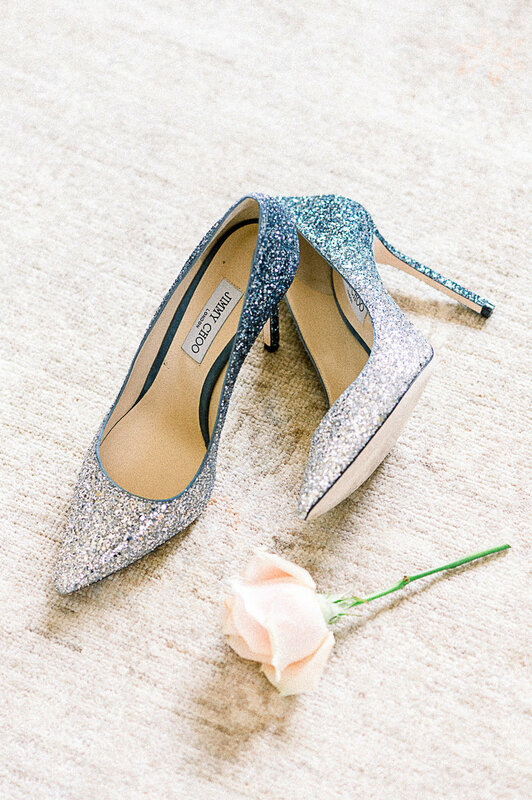 With her statuesque figure and classic beauty, Hannah looked like a movie star and absolutely stunning in her beautiful gown … and look at her Jimmy Choo shoes, aren’t they divine!! In fact, their whole wedding was a photographic delight and the numerous personal touches and attention to all the little details a true feast for the eyes - from the profusion of gorgeous flower arrangements throughout and their explosion of colour and perfume, to the lovely original design of the wedding stationary and luxe of the table decoration and tall floral centrepieces. 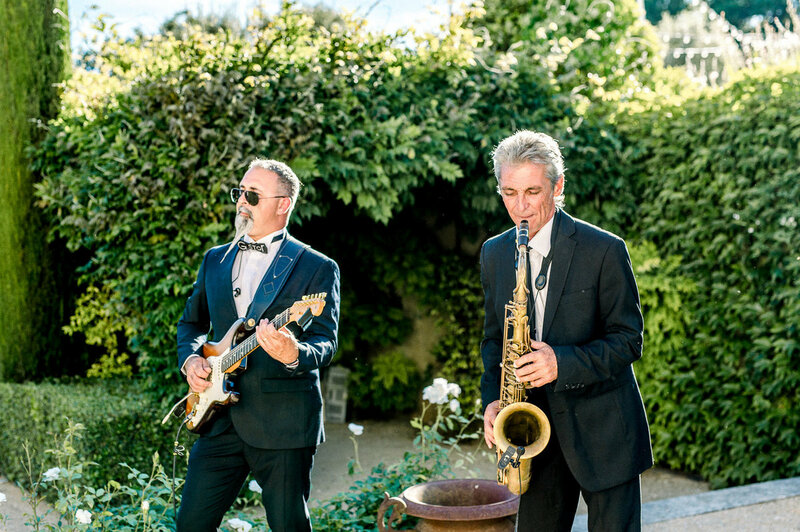 Kai and Jean-Denis live in San Francisco. 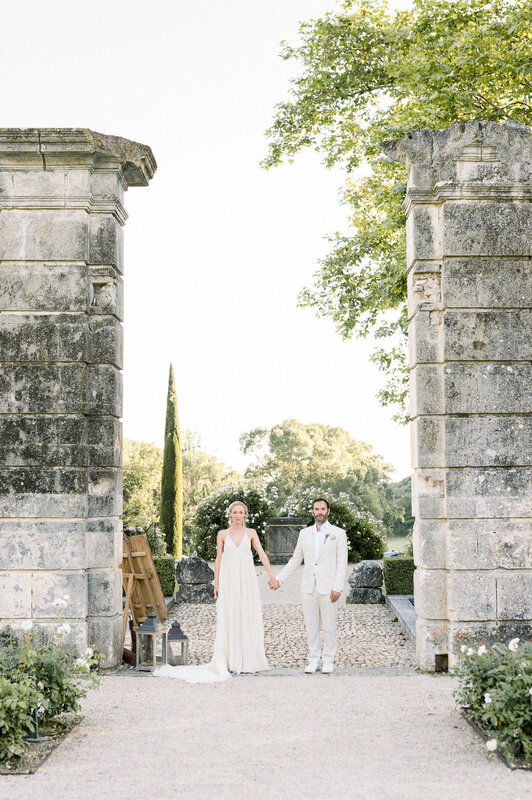 Although they got married in the US, they wanted to have a special celebration together with family and friends in Jean-Denis’ home country and chose to exchange their vows and rings during a lovely romantic outdoor ceremony in the gorgeous setting of the Château de Tourreau surrounded by vineyards in the heart of Provence, with a sweeping driveway lined with century-old trees, beautiful interiors and elegant formal gardens. 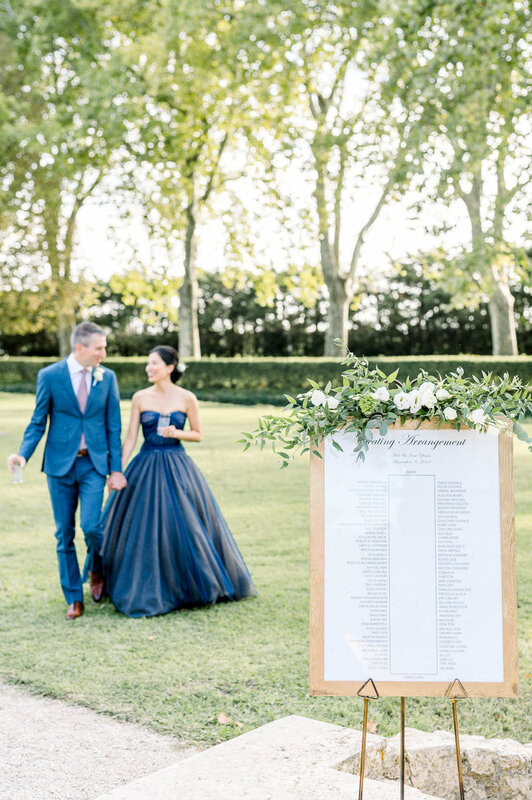 Kai looked absolutely stunning in her gorgeous Prada shoes and exquisite blue designer dress by J. Mendel, a favourite with A-list stars and renowned for elegant gowns using pleated panels, chiffon layering and panelled bodices. 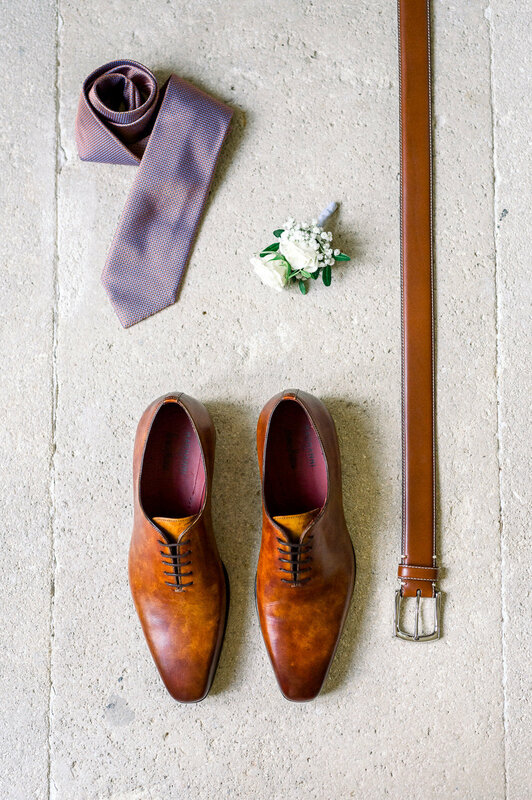 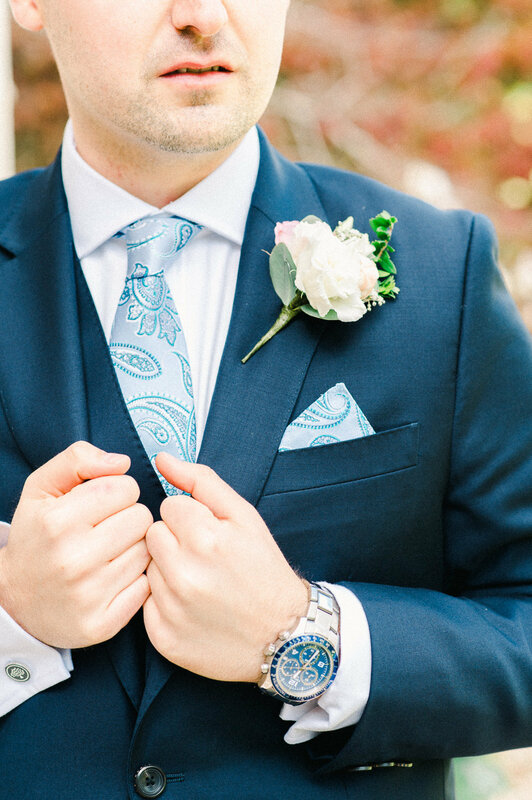 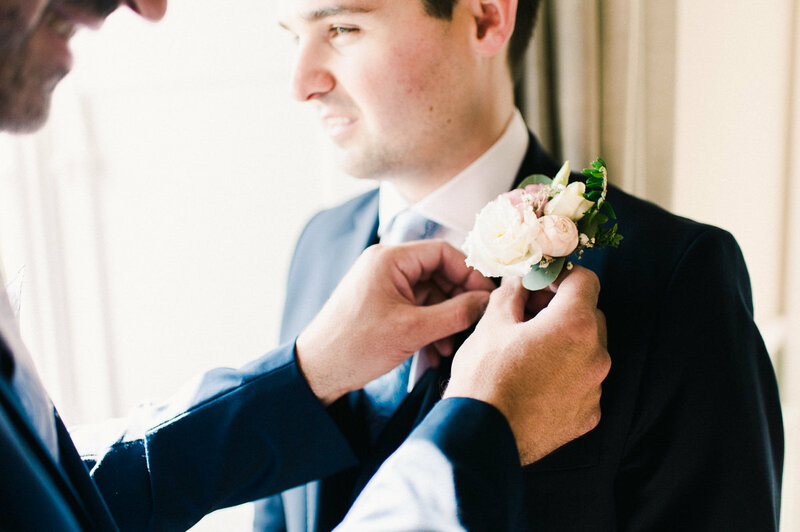 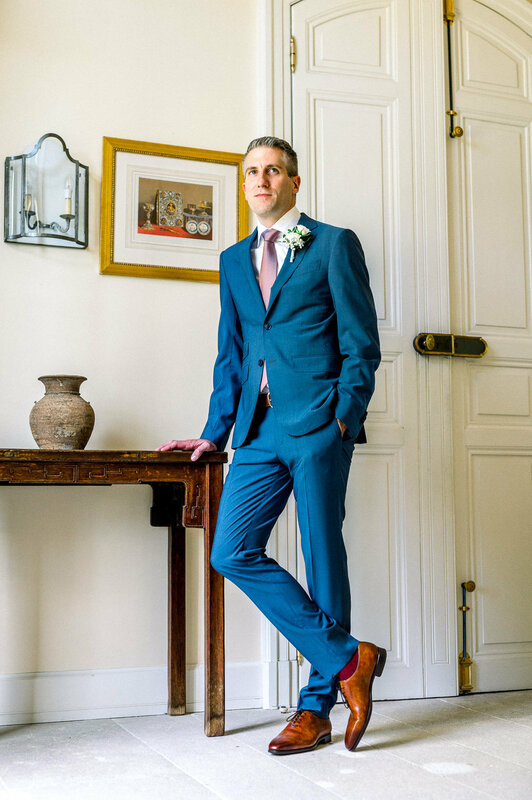 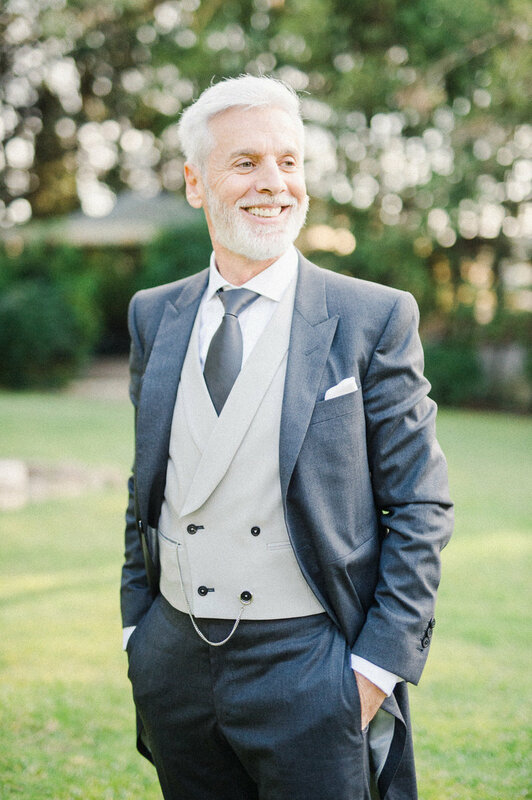 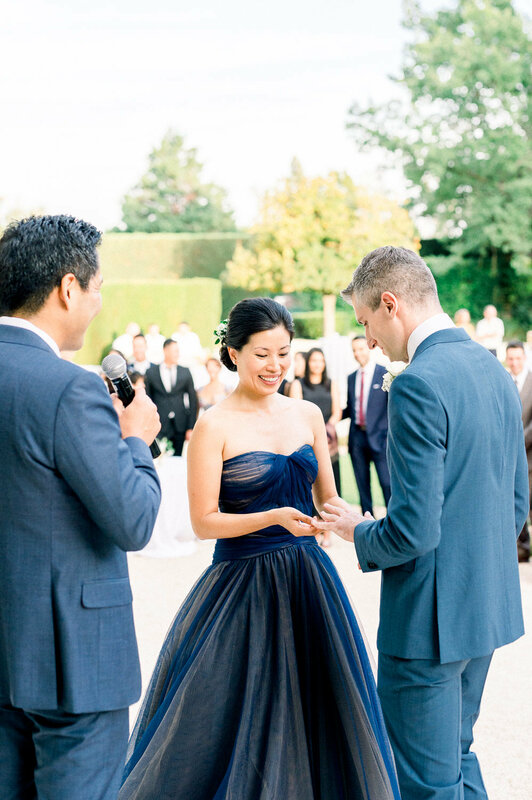 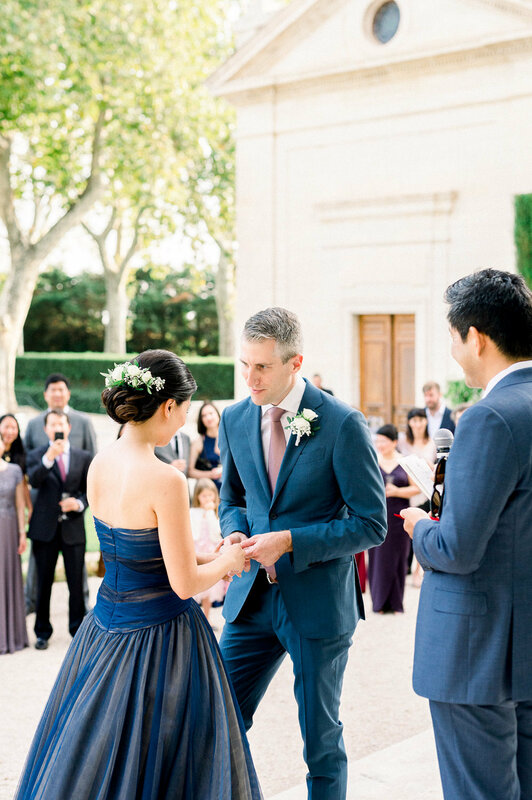 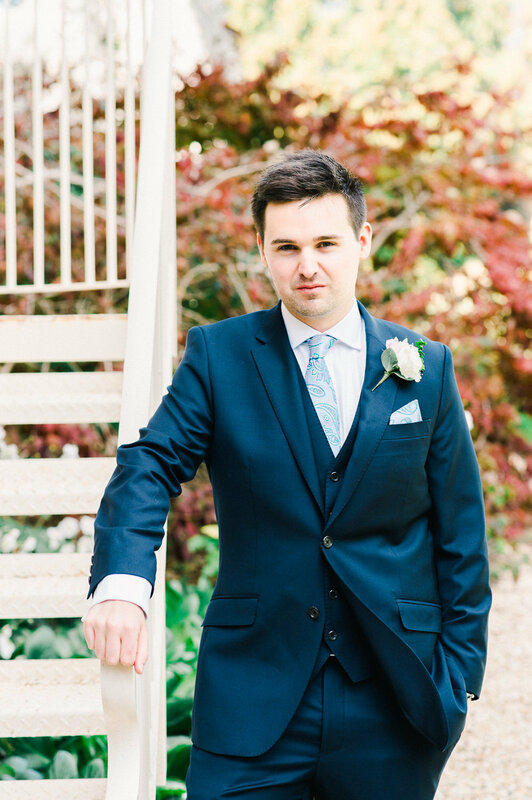 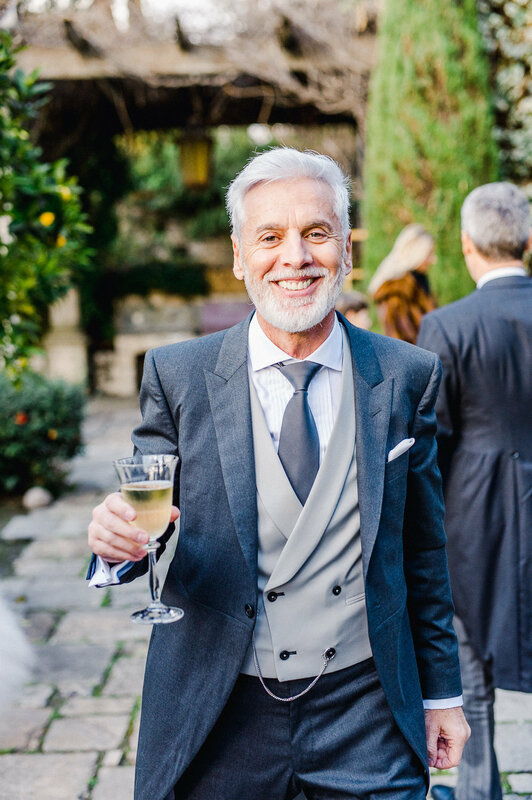 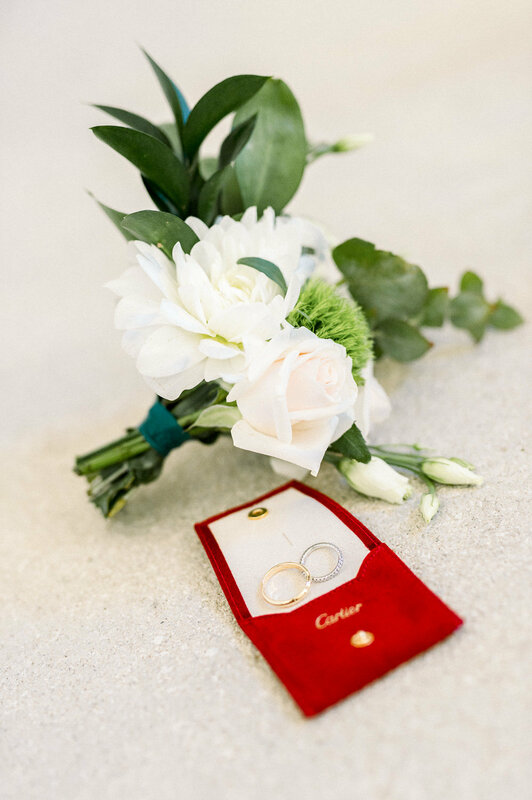 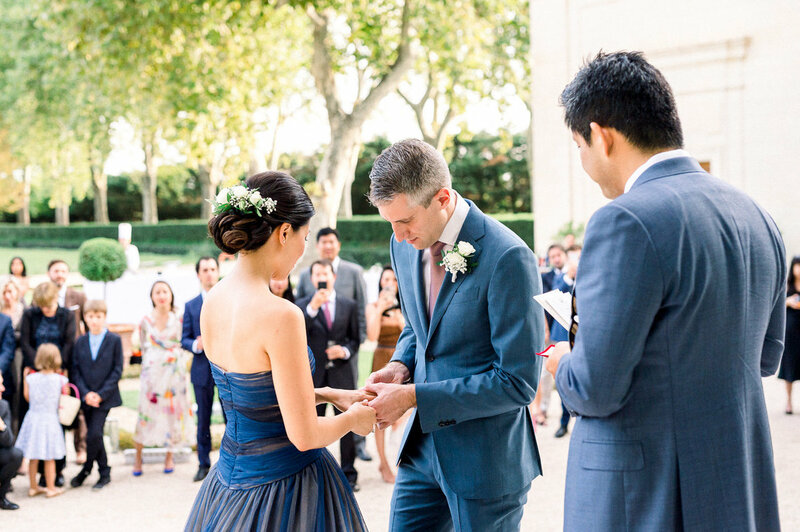 Jean-Denis also wore blue with a smart, tailored suit by the Italian menswear brand, Ermenegildo Zegna, whose founder had a dream to make “the most beautiful fabrics in the world.” Both bride and groom wore rings by luxury French master jeweller, Cartier. 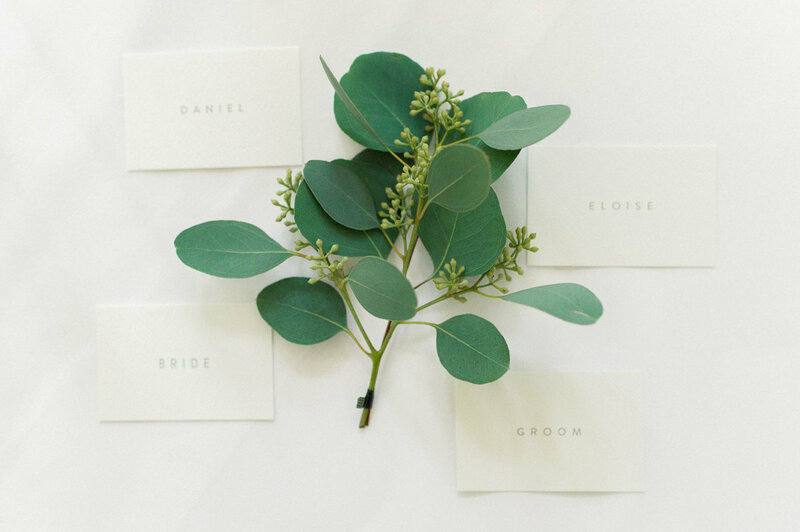 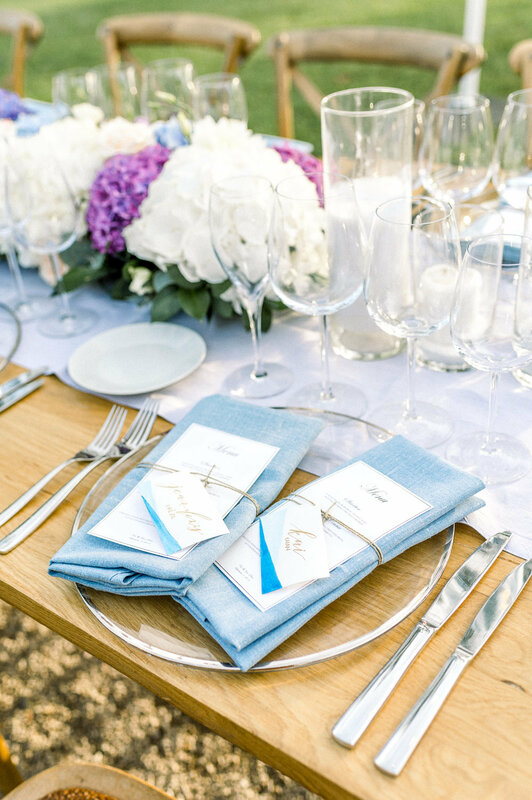 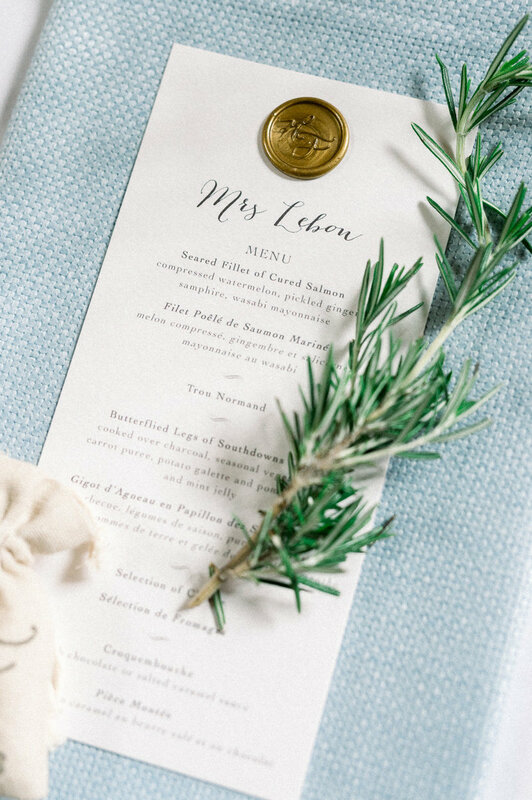 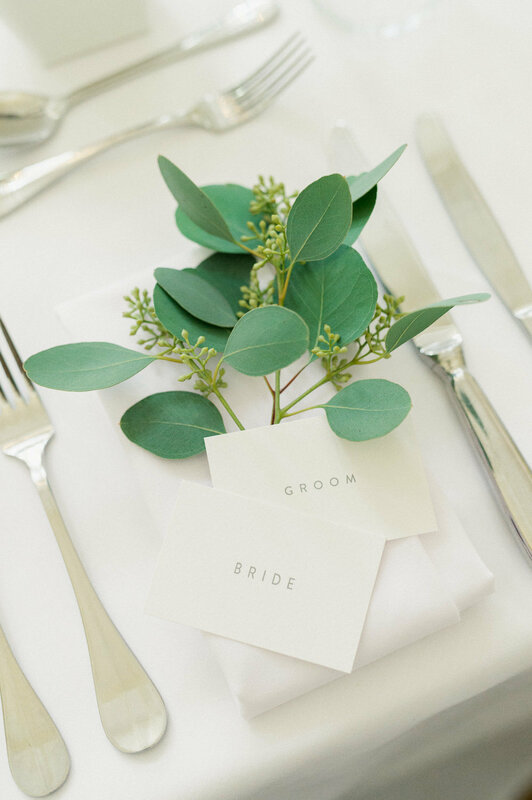 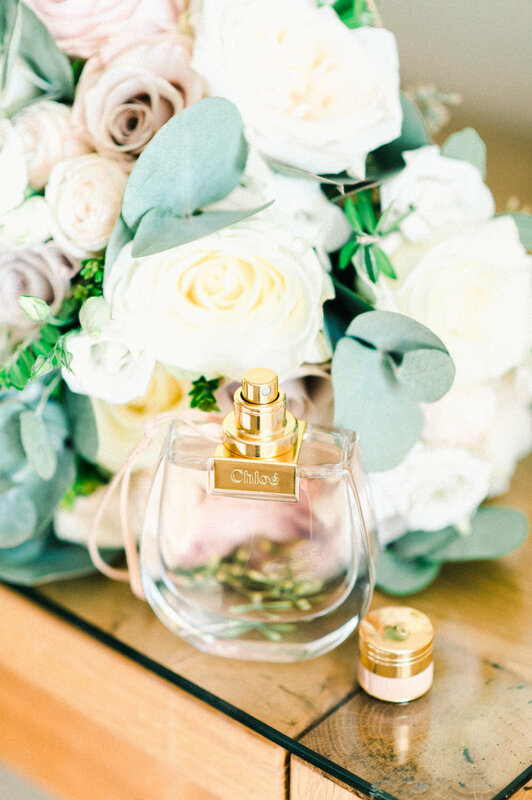 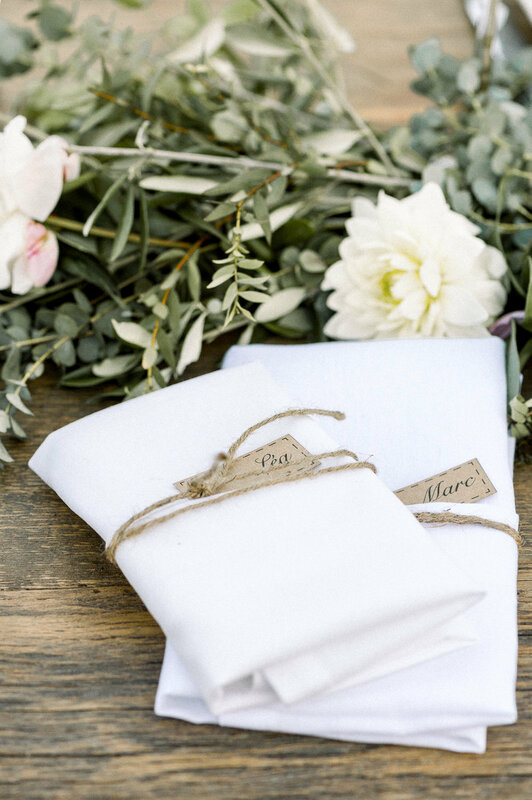 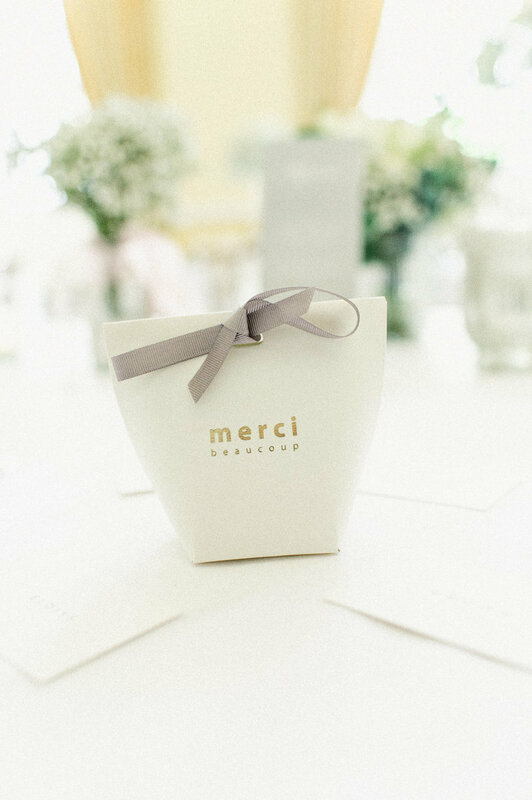 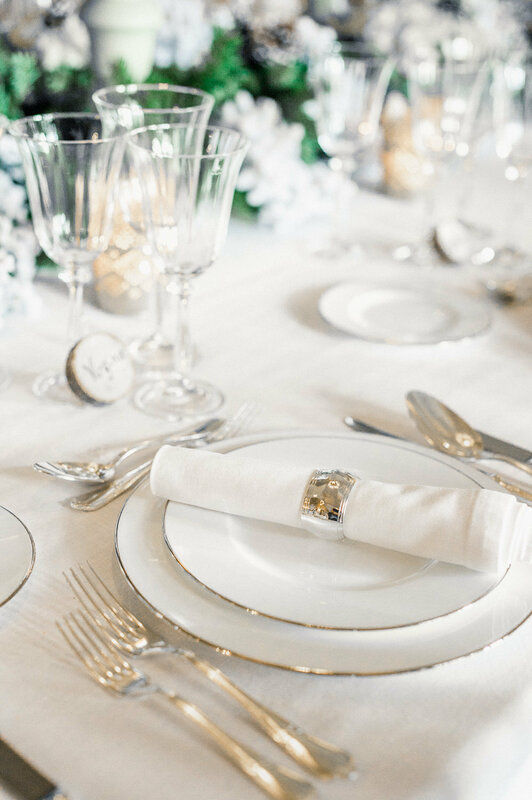 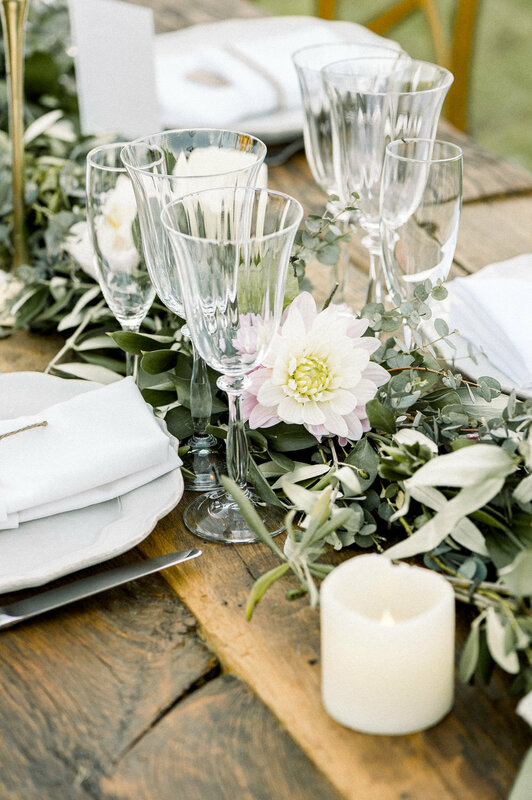 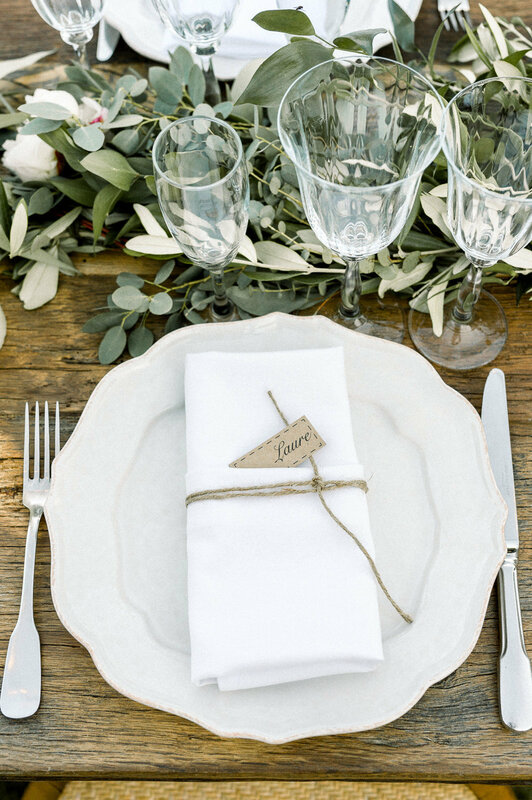 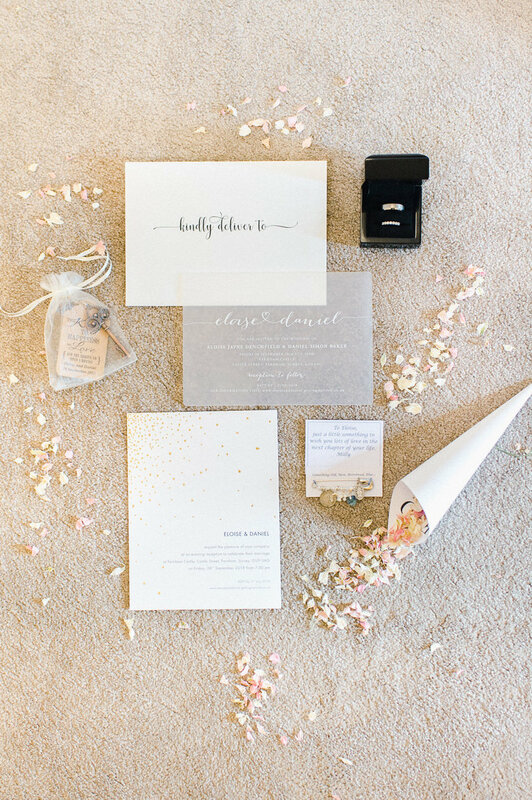 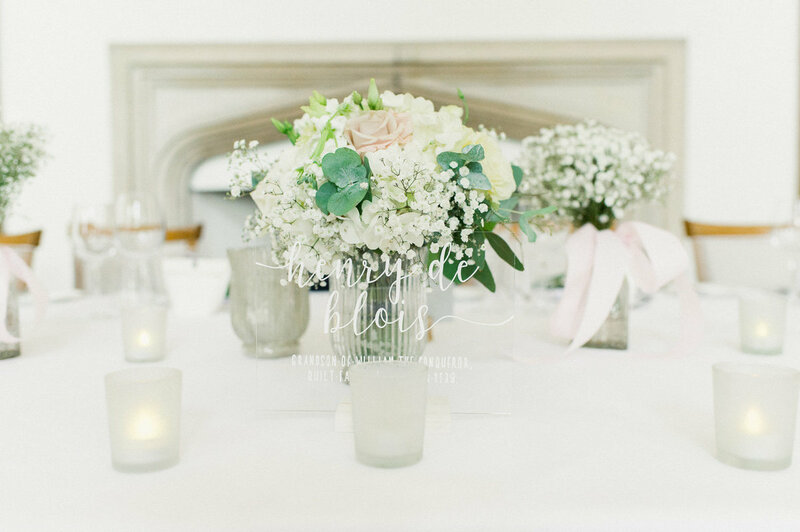 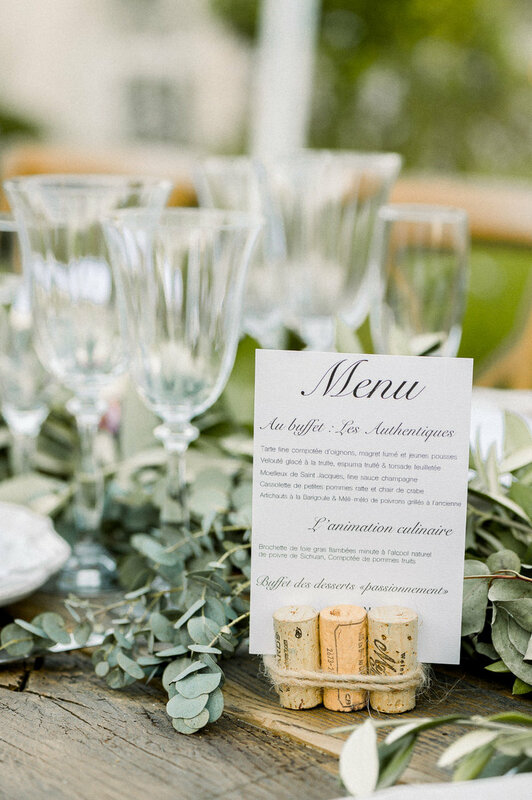 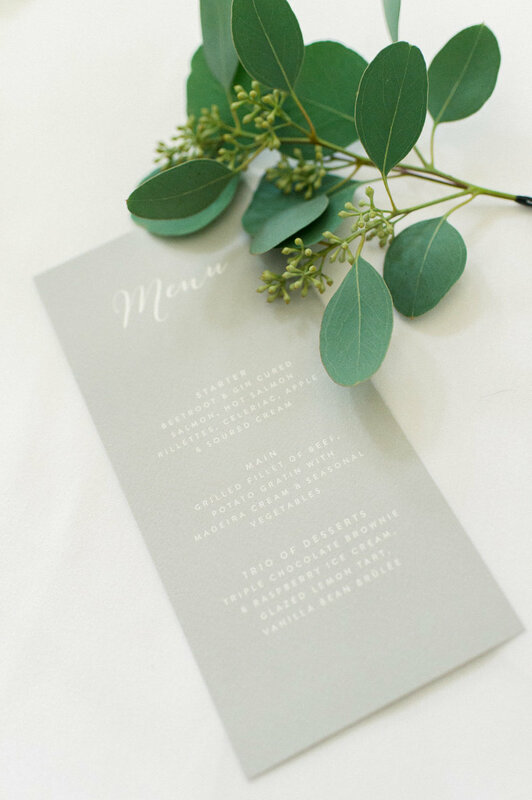 As usual Label‘ Emotion Wedding Planners delivered a perfectly organised and beautifully decorated event with loving attention given to every detail. 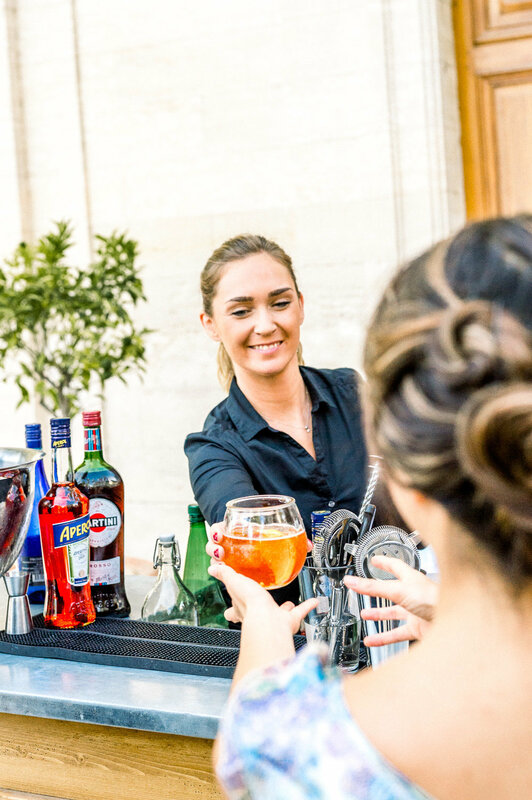 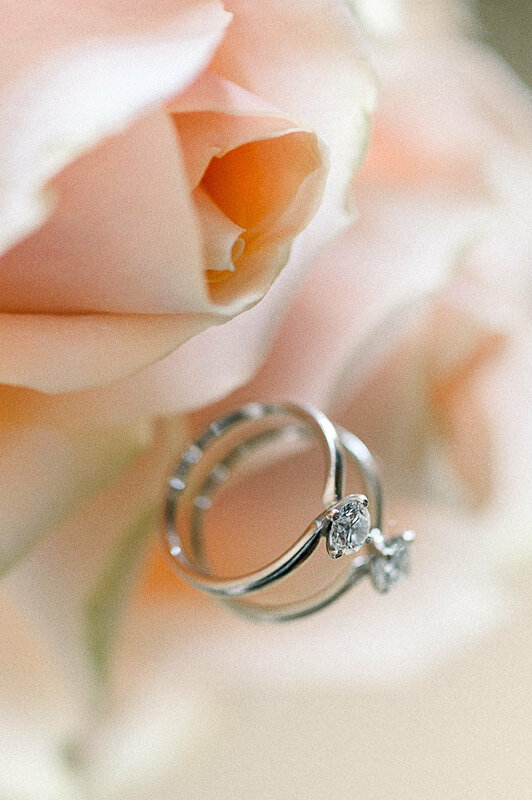 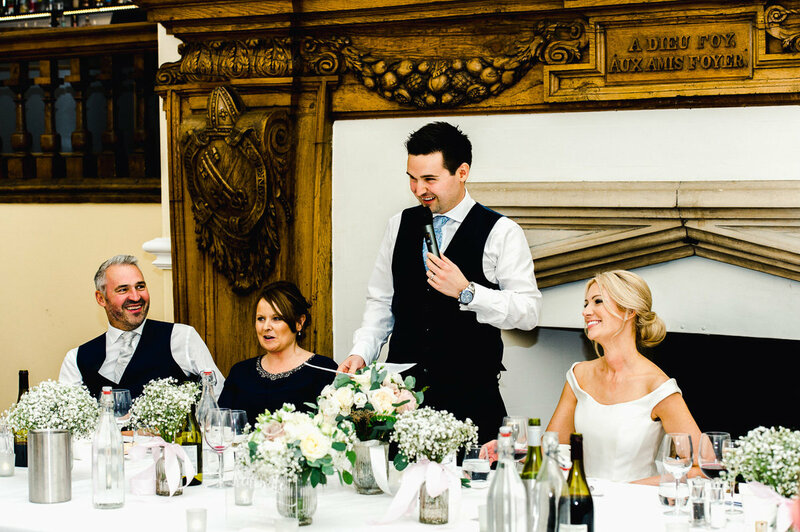 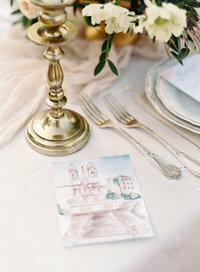 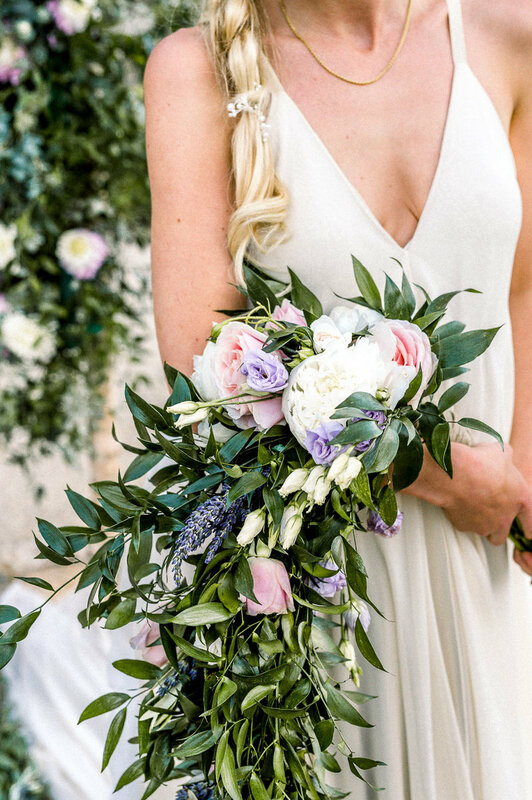 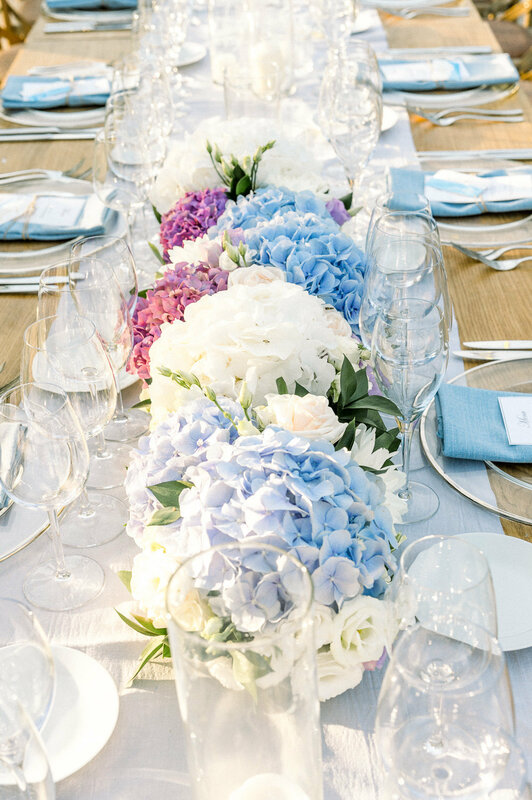 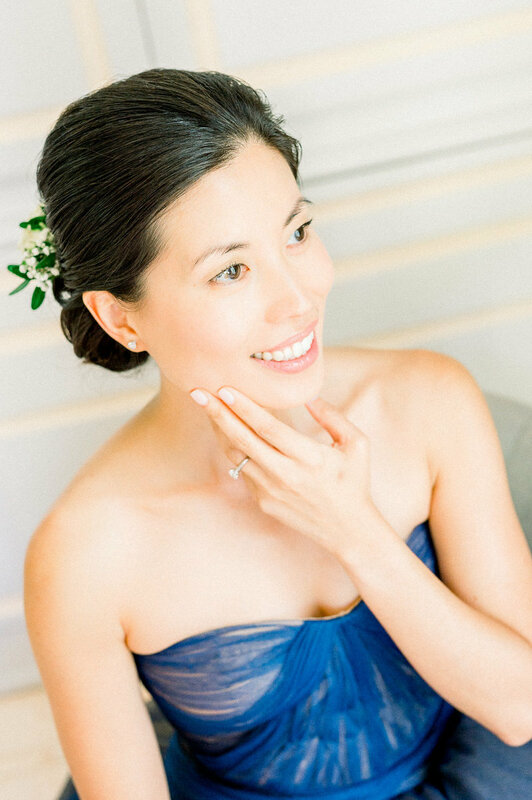 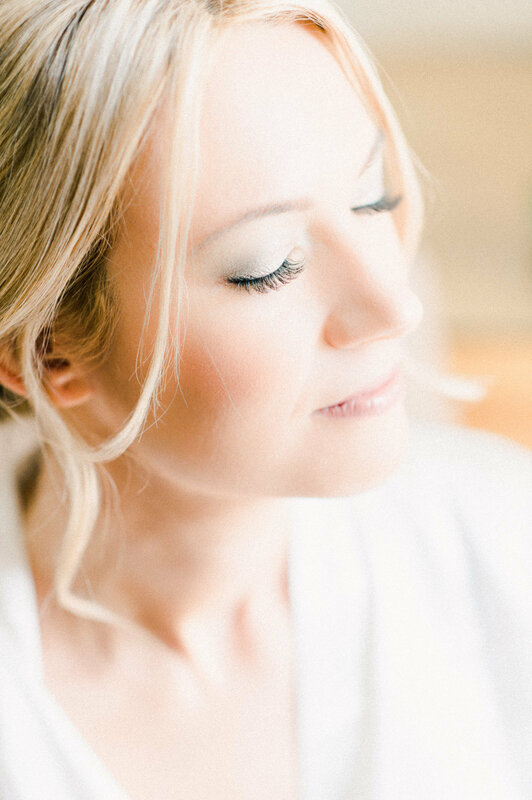 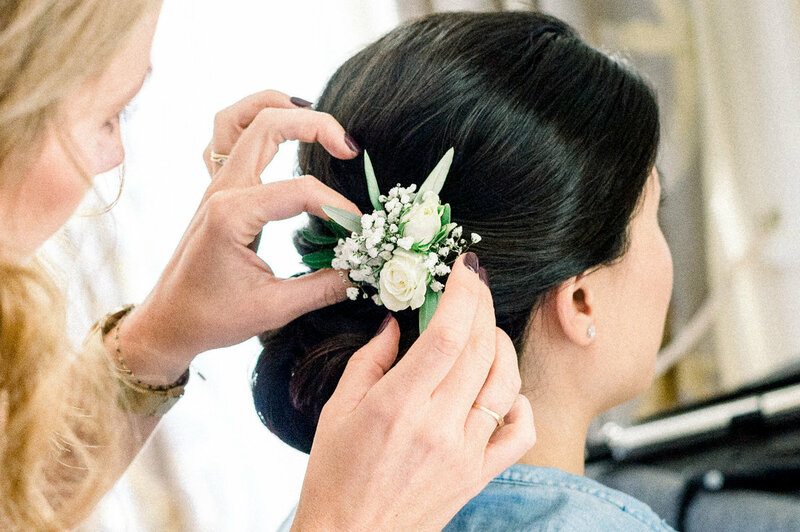 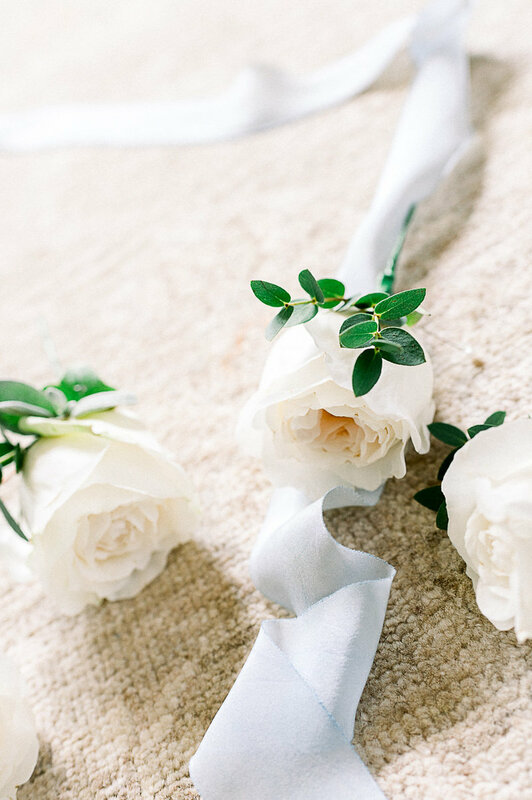 It’s always such a pleasure to work with its team of highly creative and talented wedding experts. 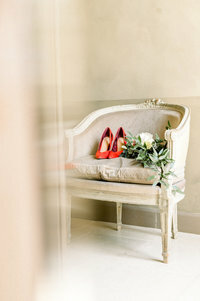  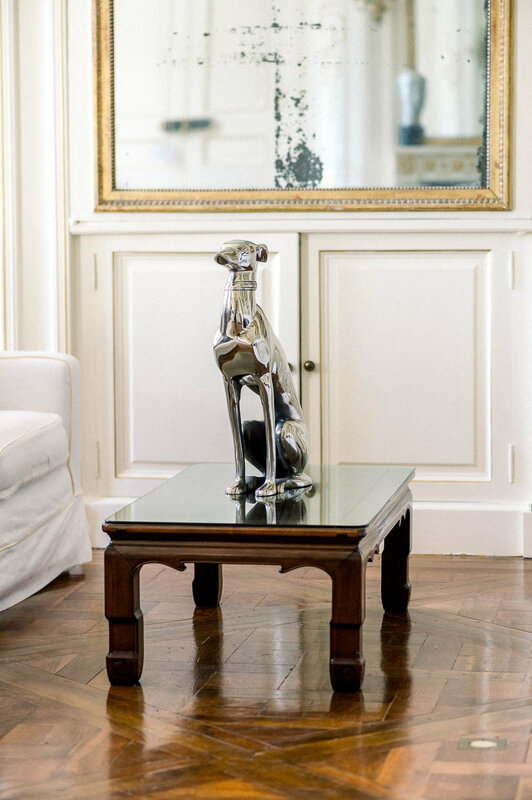 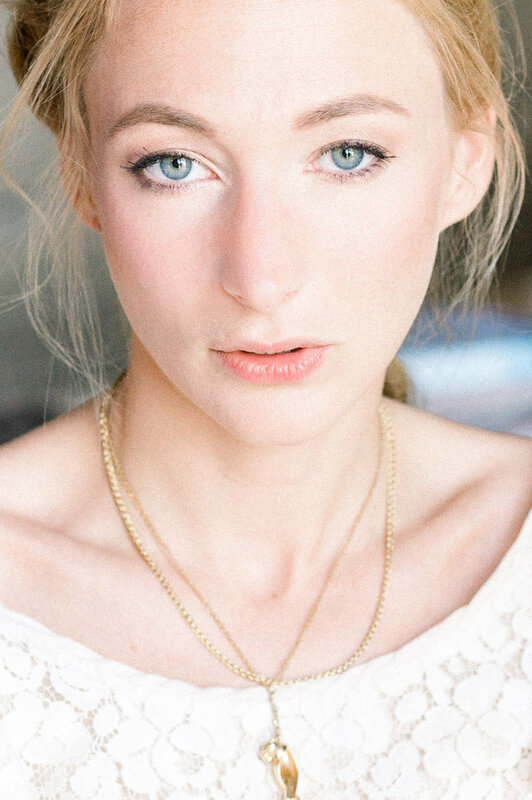 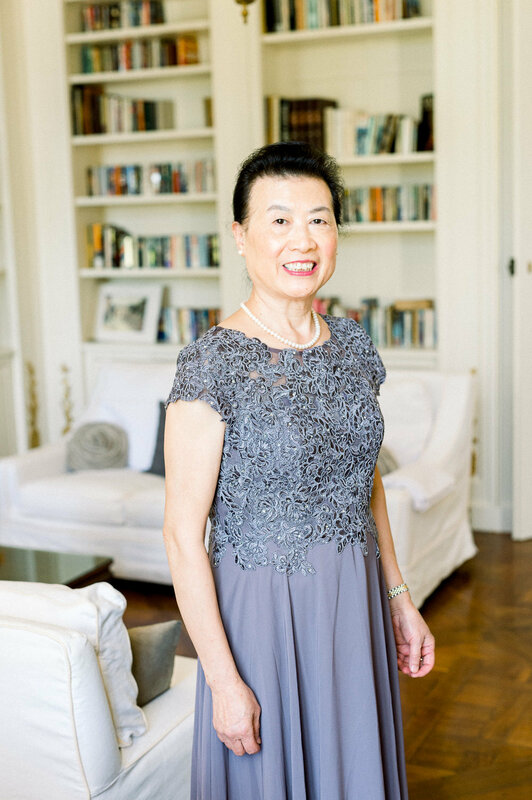 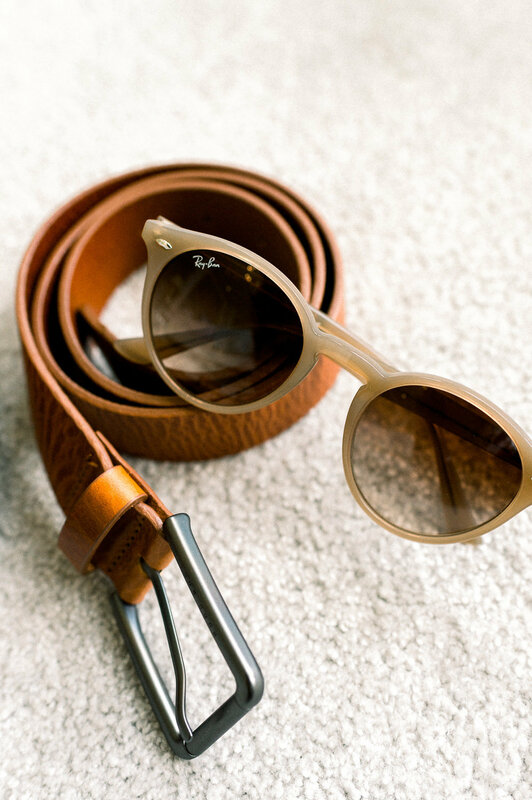 Have you enjoyed looking at the images in my portfolio? 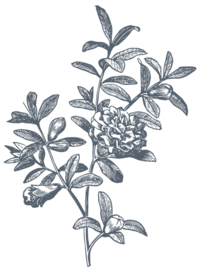 Want to find out more or have some questions? 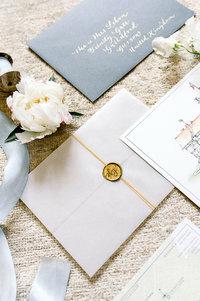 Please complete a few contact details below and I will send you a document with further information.